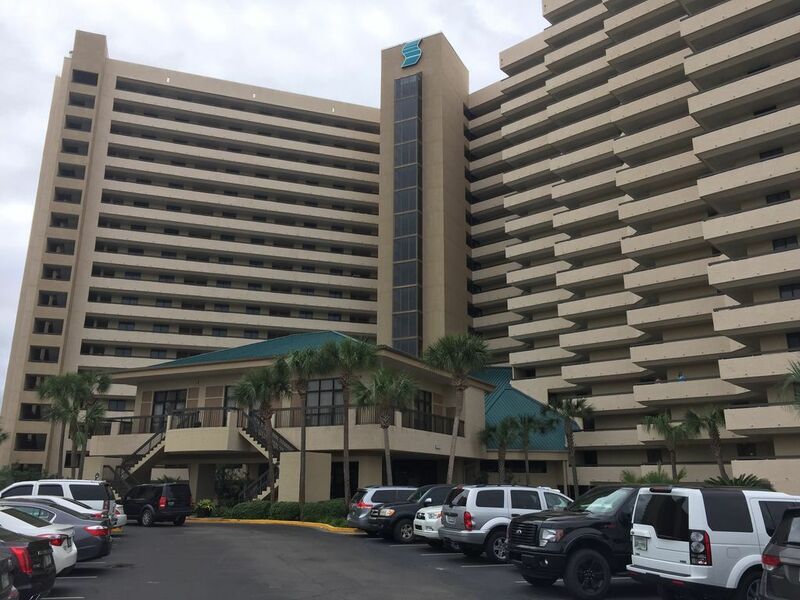 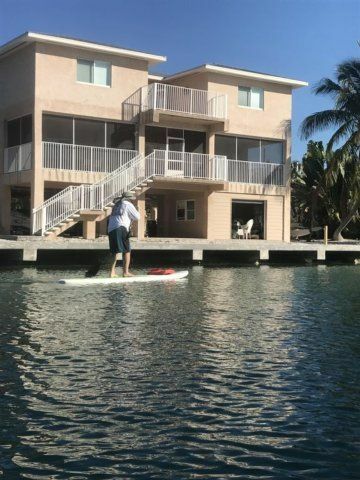 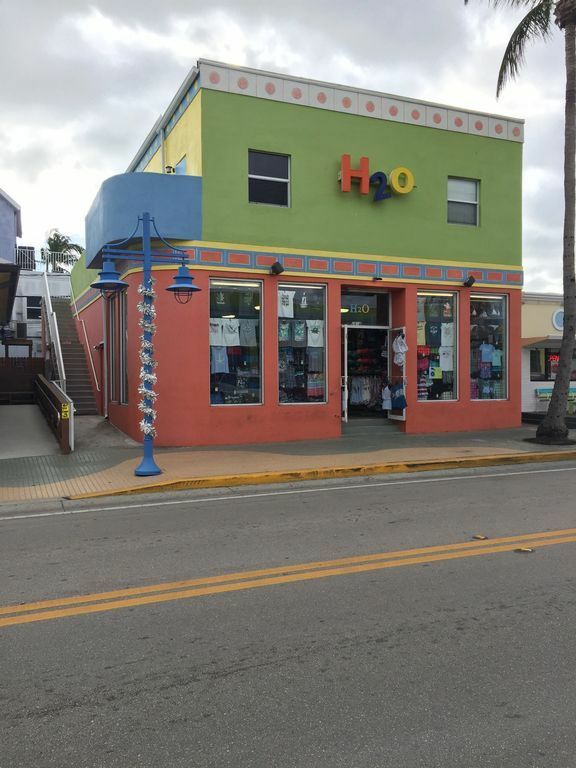 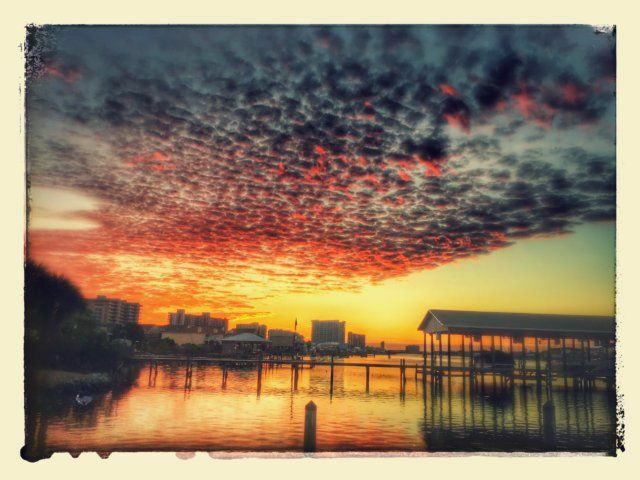 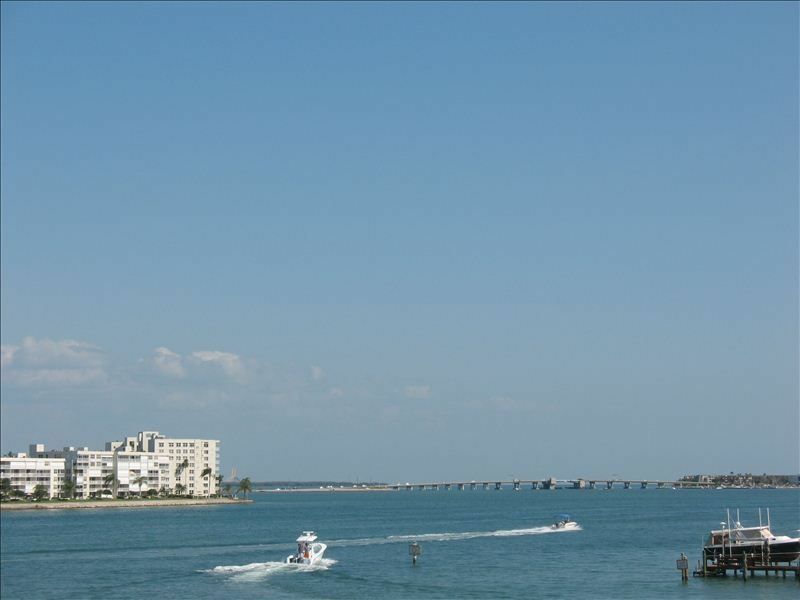 Always remember, at Canaveral towers, you don't want to be on too high of a floor like 7, 8, or 9 because you feel removed (too far up, too high) from the ocean. 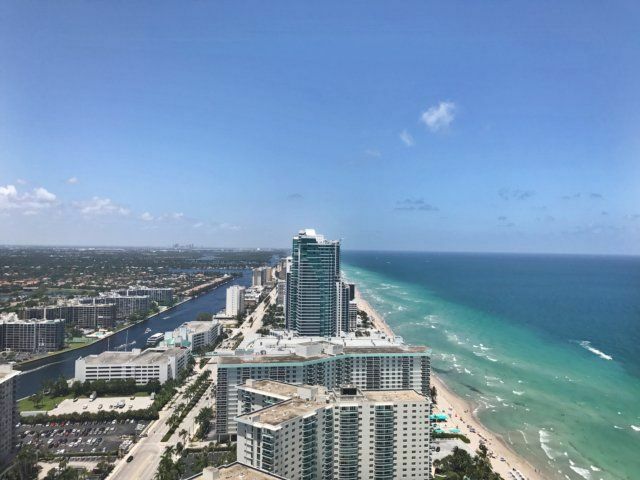 You also don't want to be on lower floors, (too far down, too low), like on floors 1, 2, or 3, with limited, too far away, or no view of the ocean. 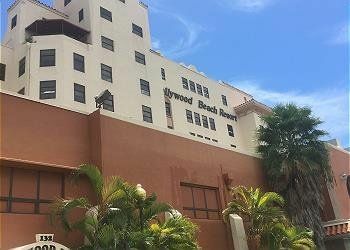 Knowing the building, this is our opinion. 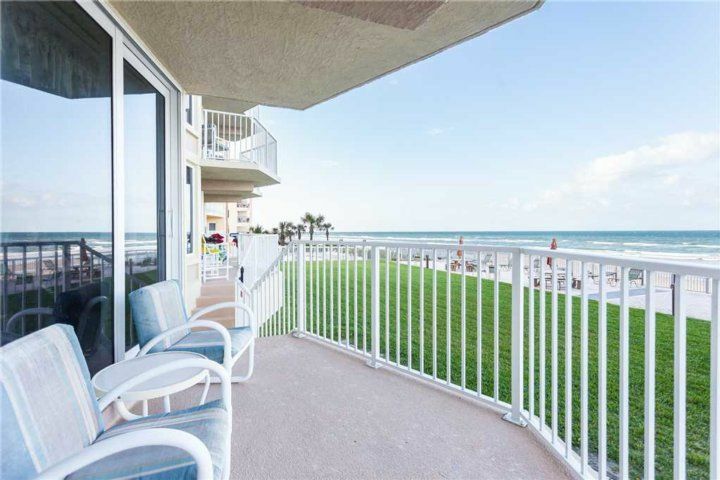 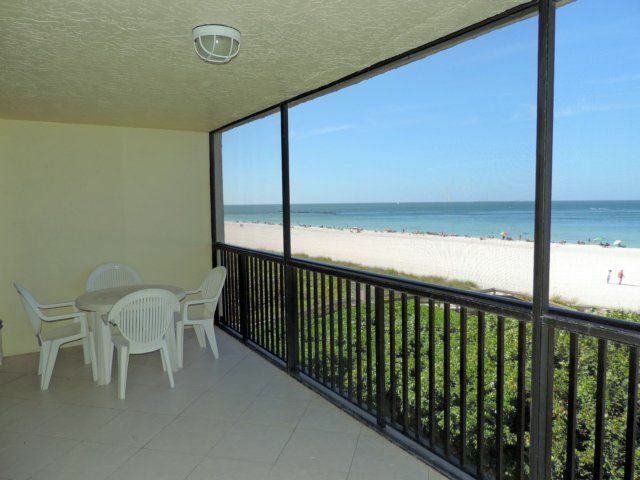 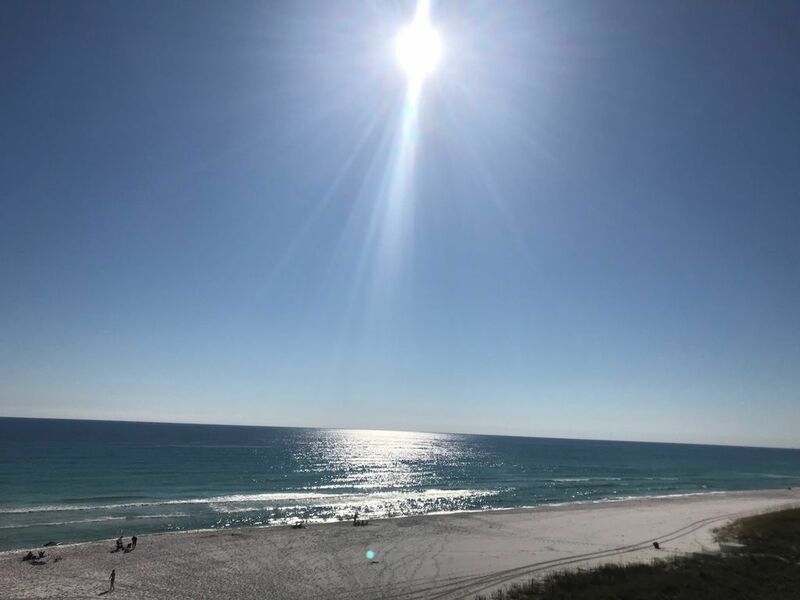 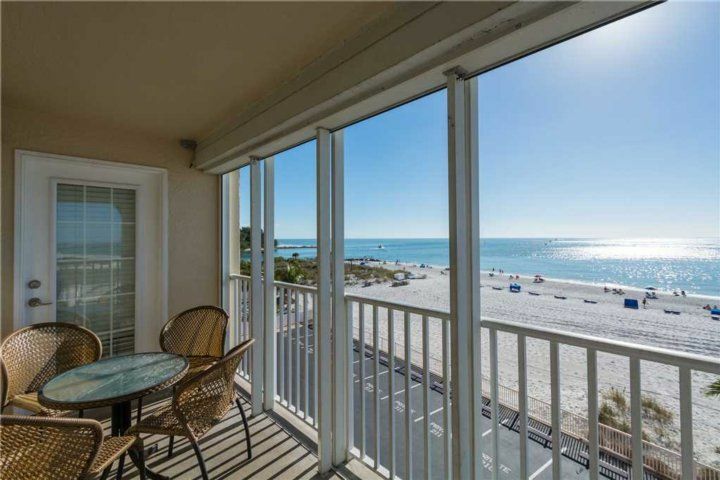 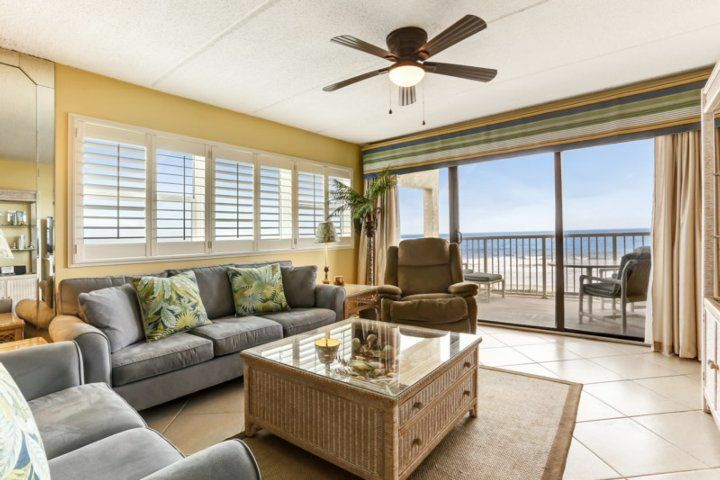 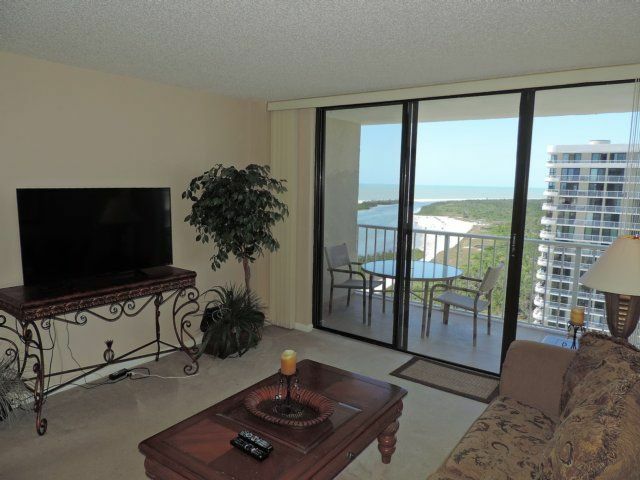 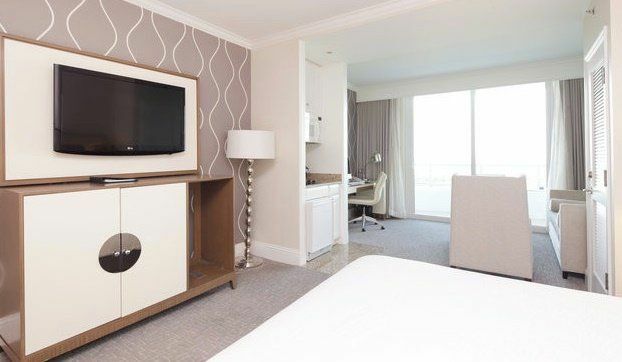 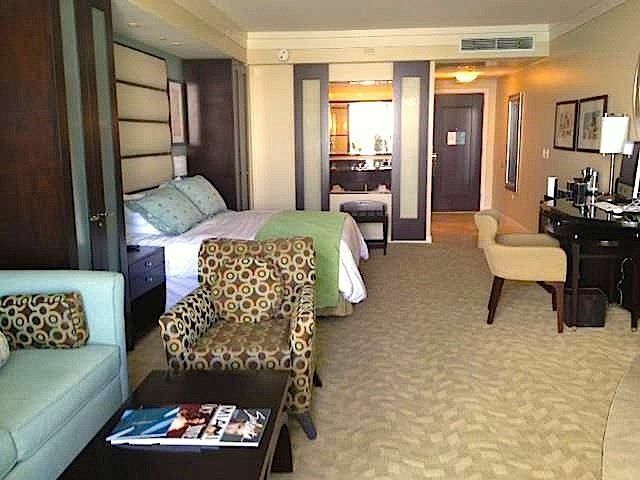 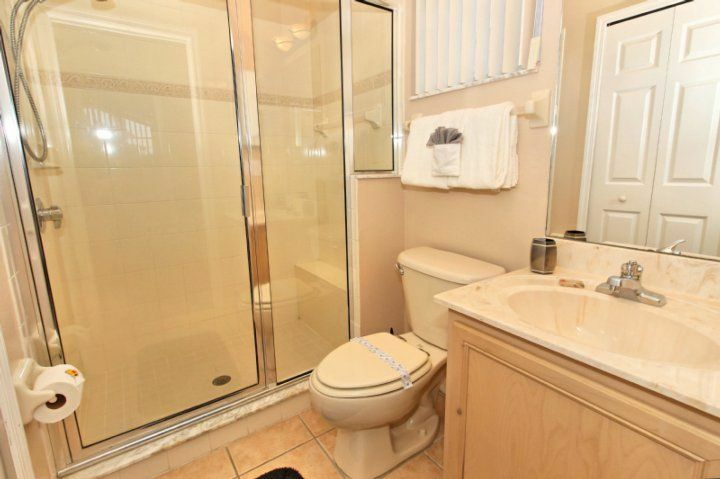 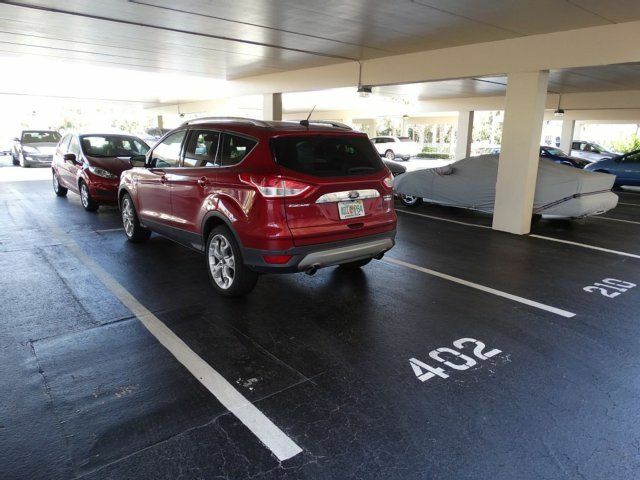 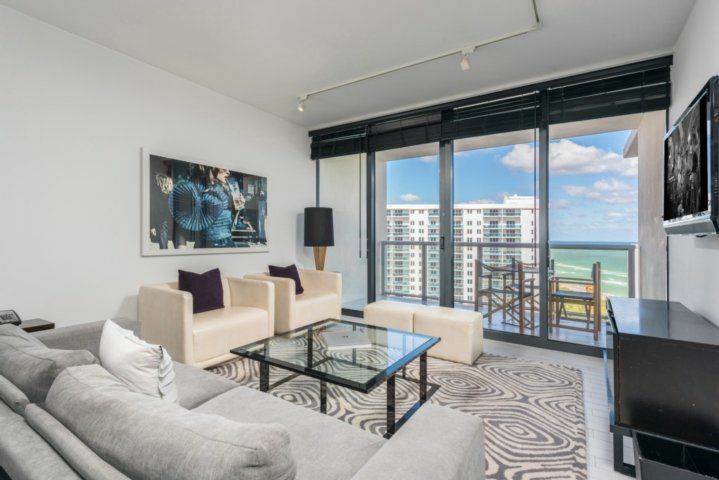 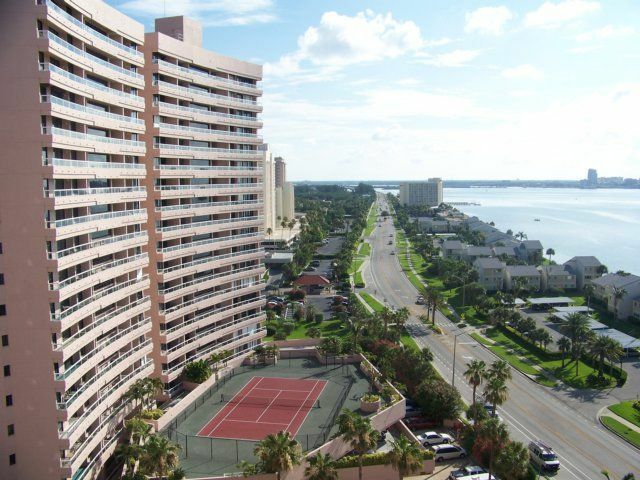 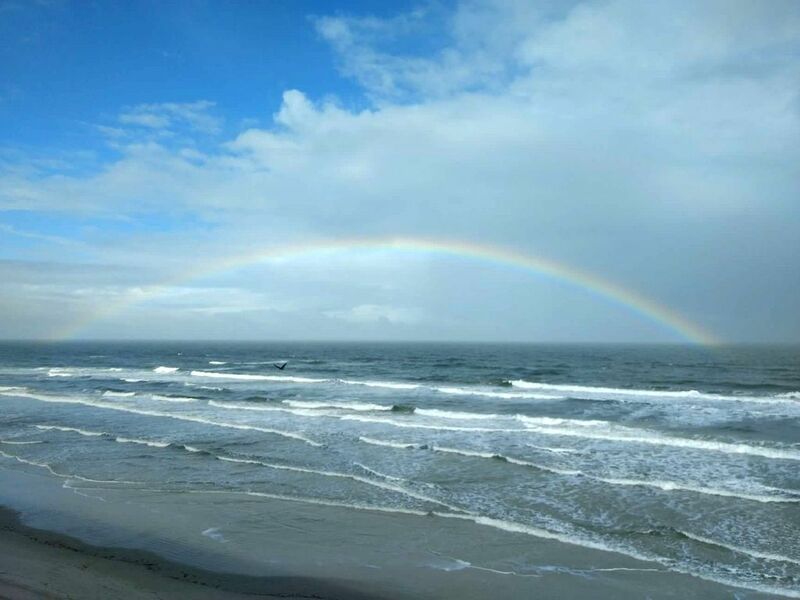 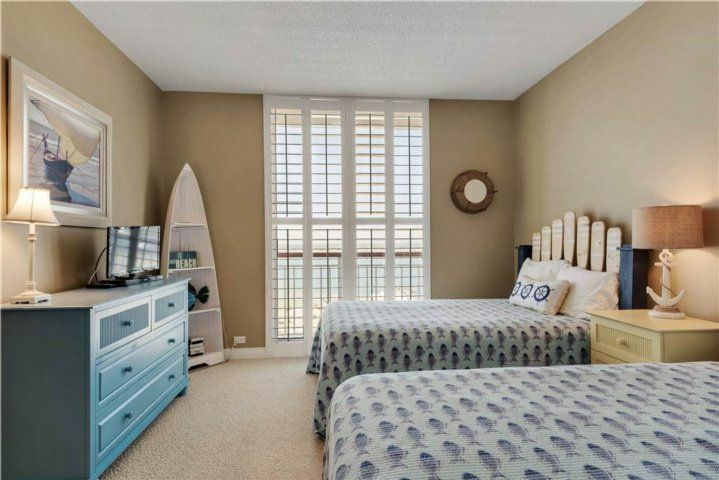 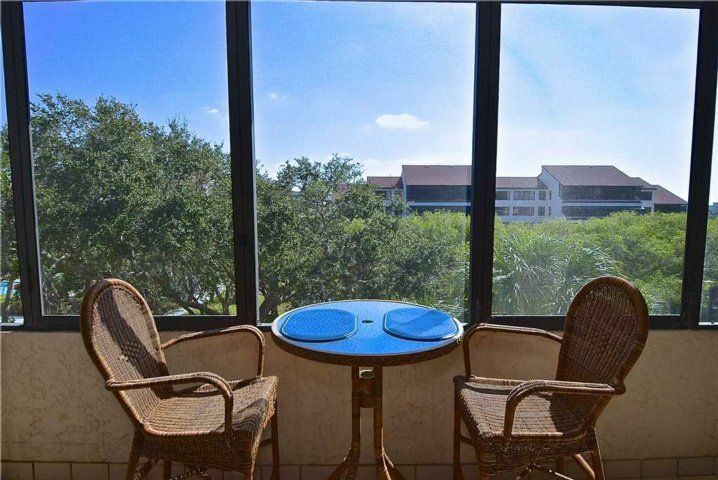 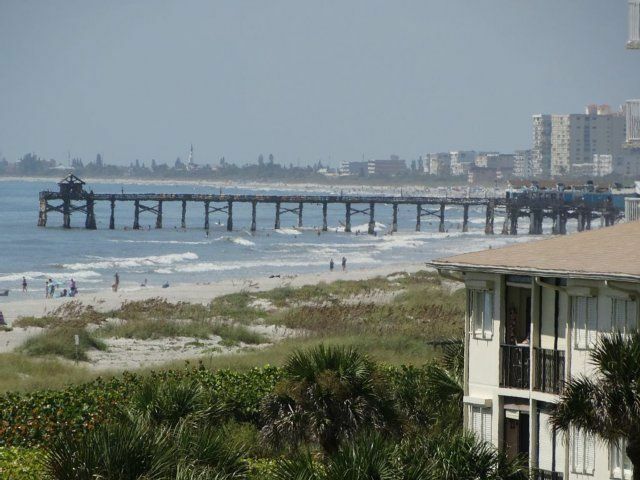 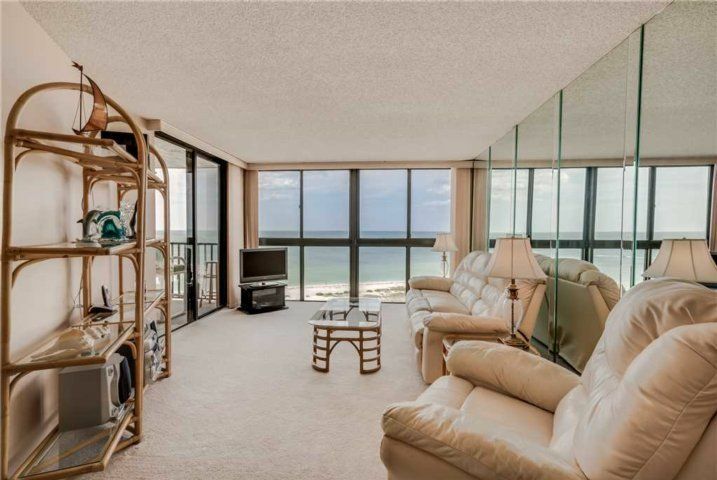 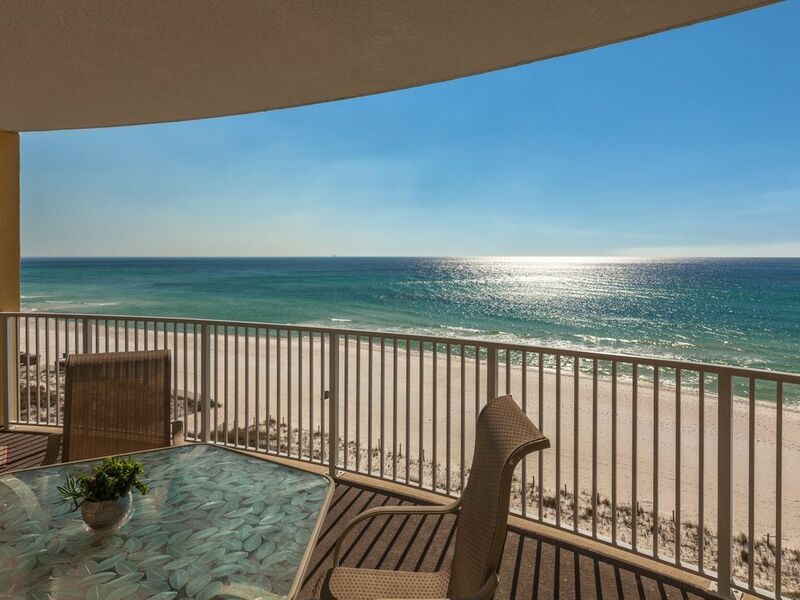 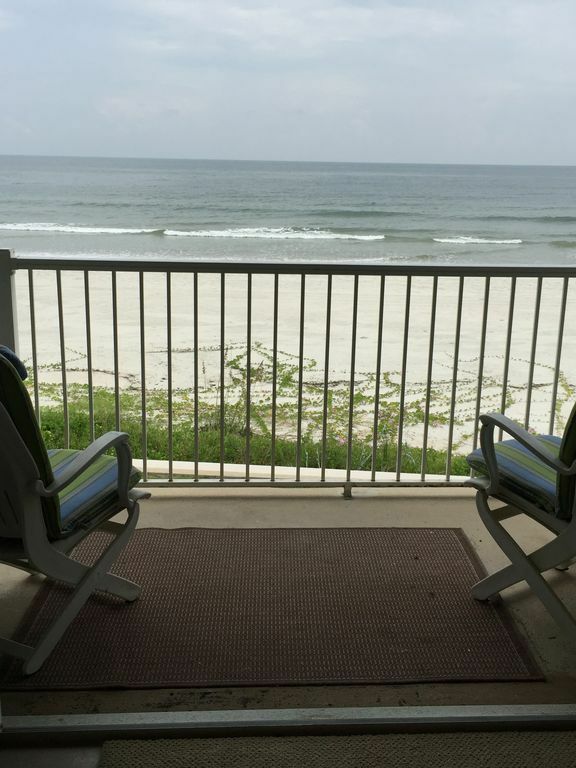 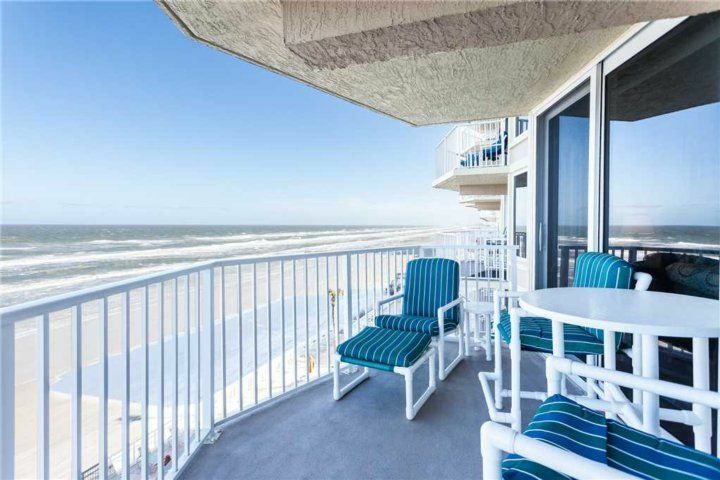 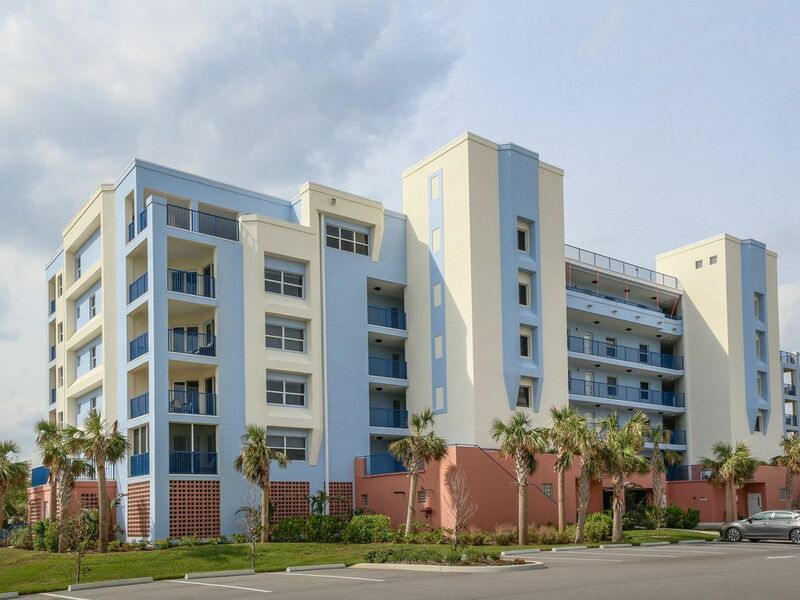 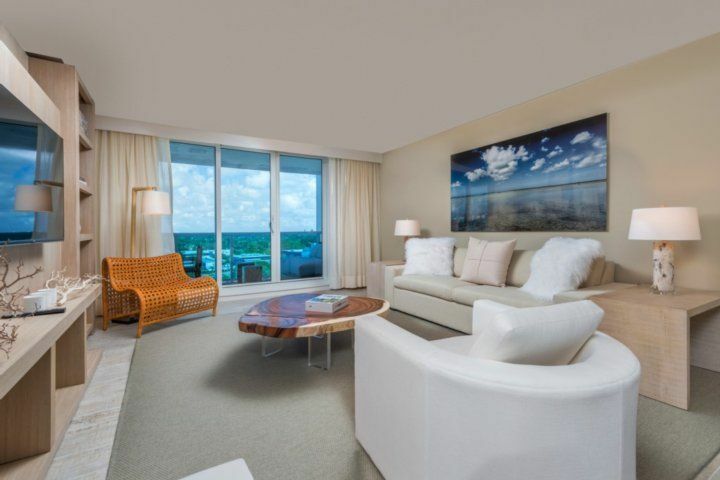 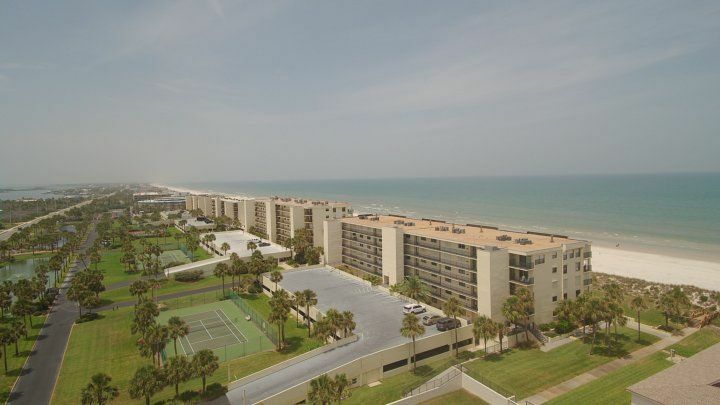 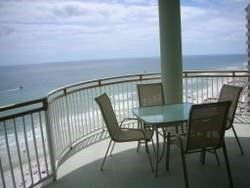 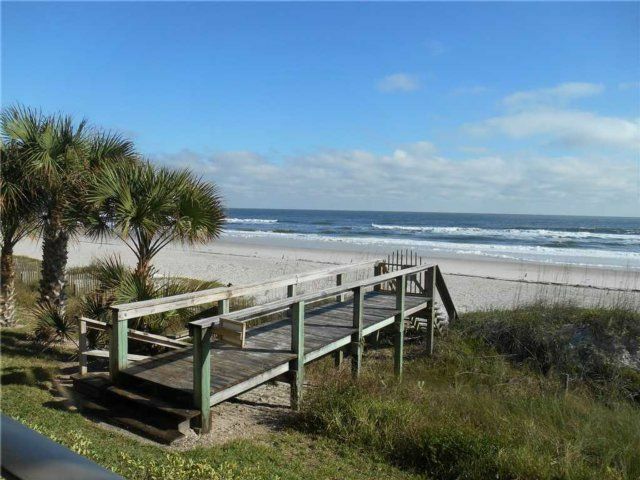 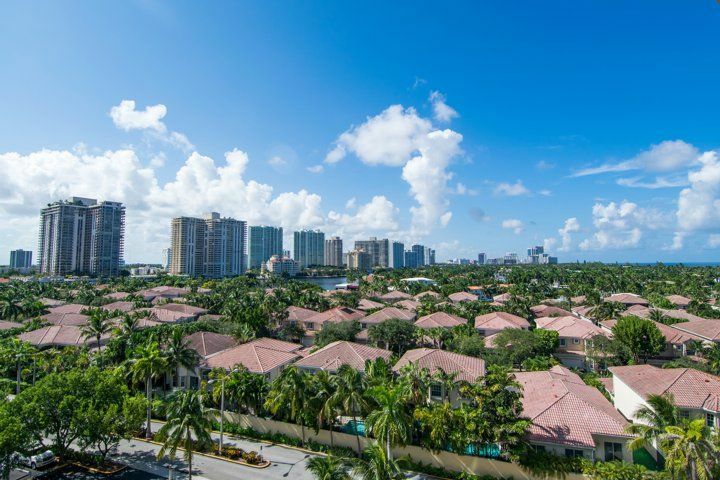 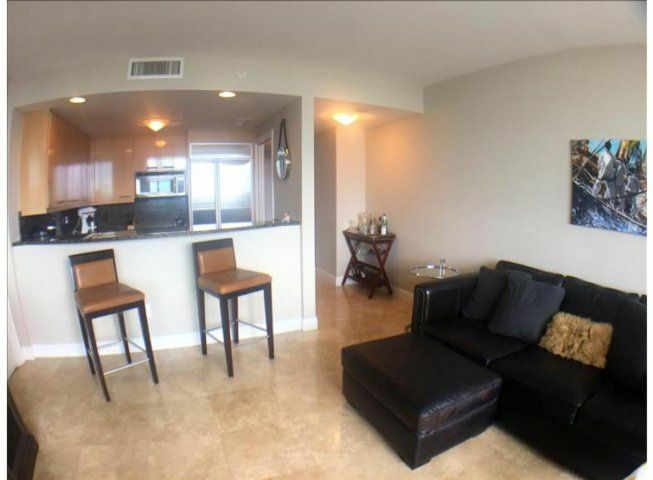 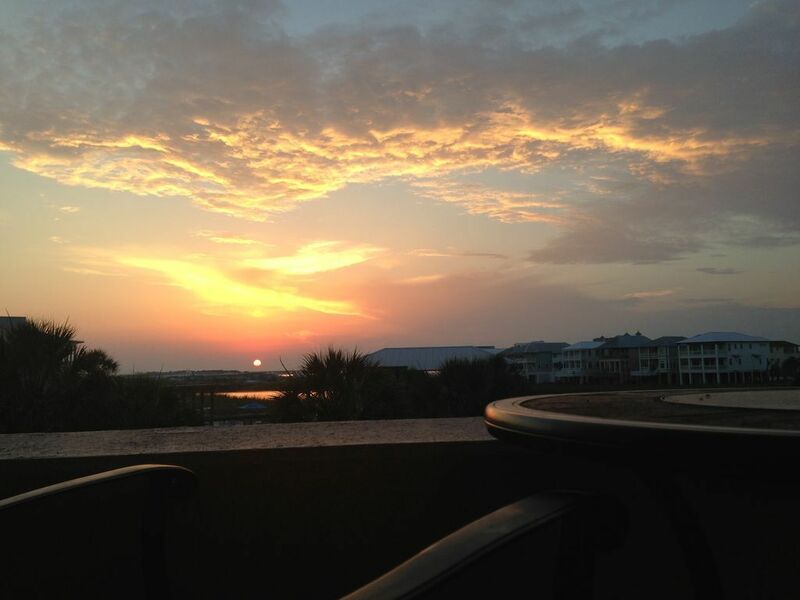 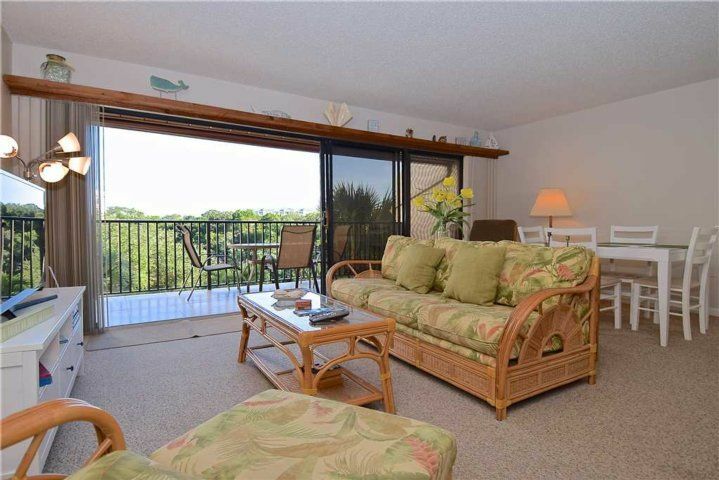 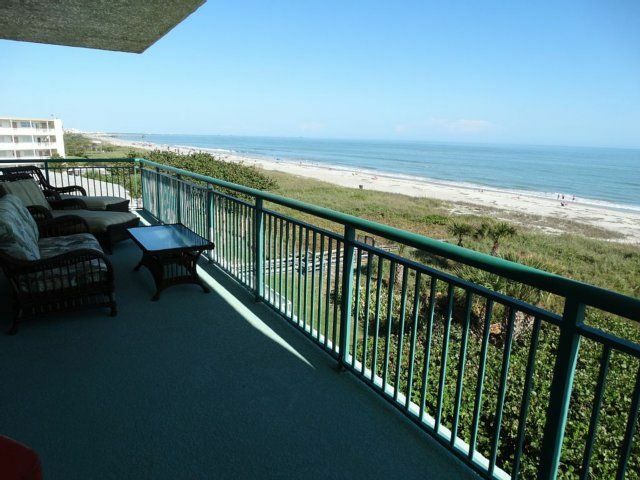 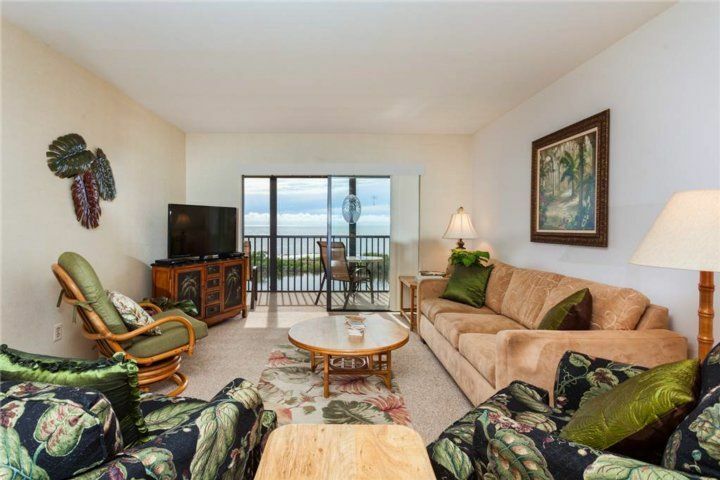 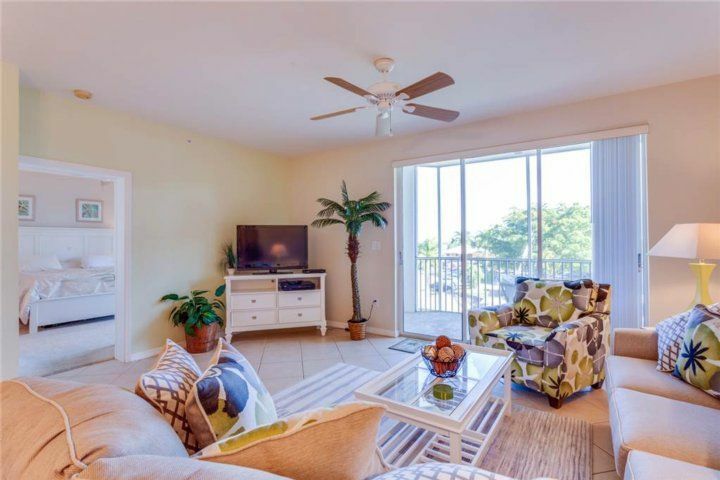 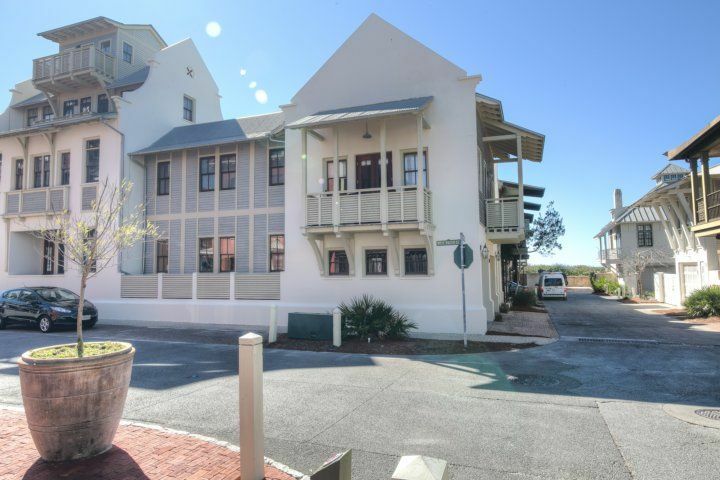 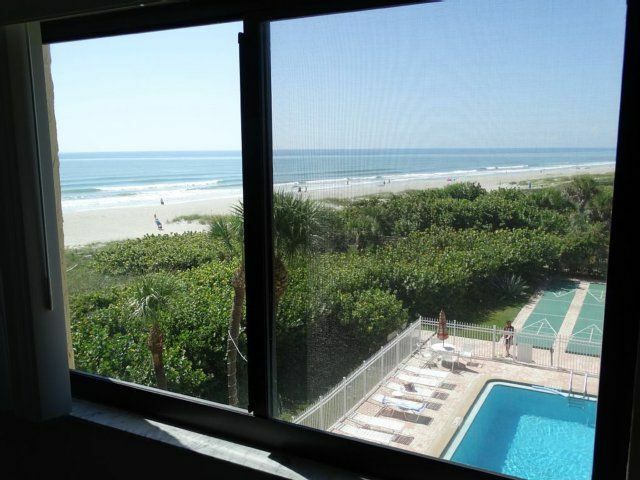 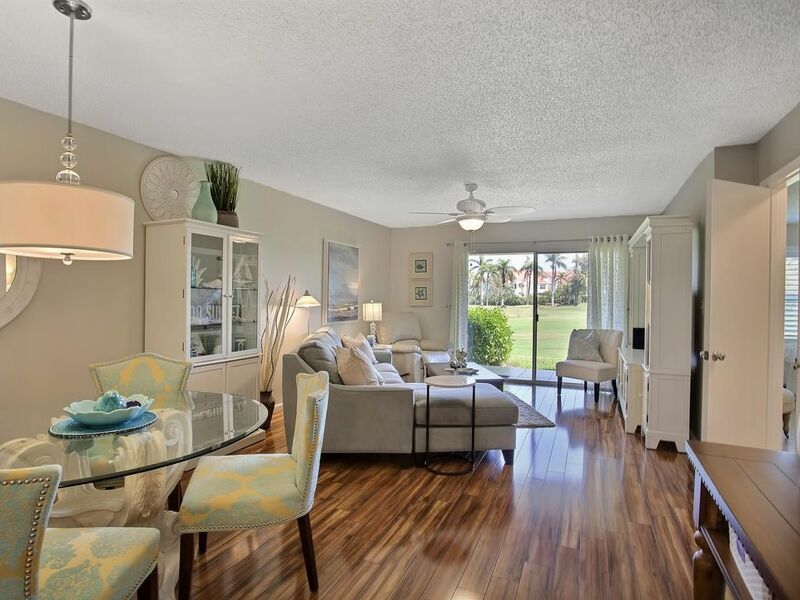 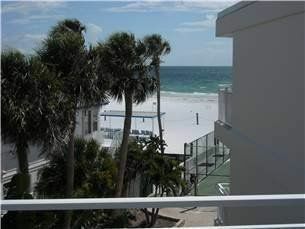 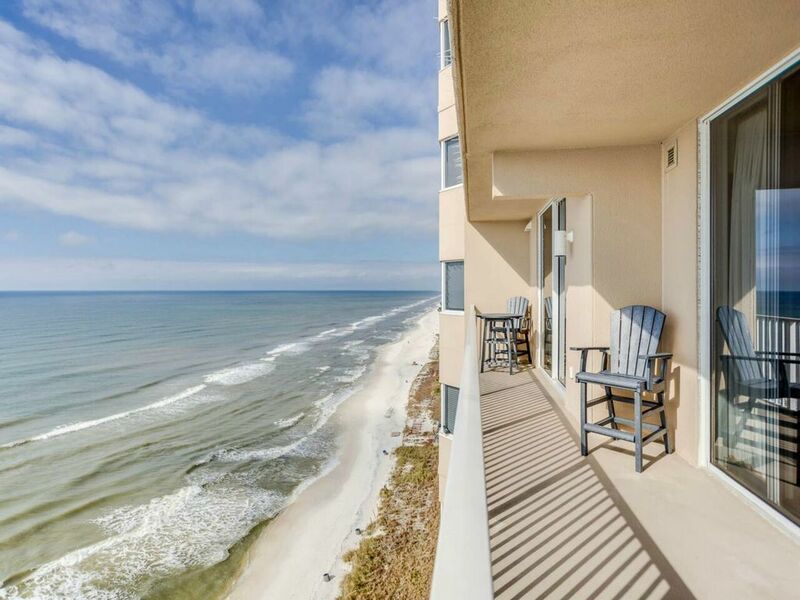 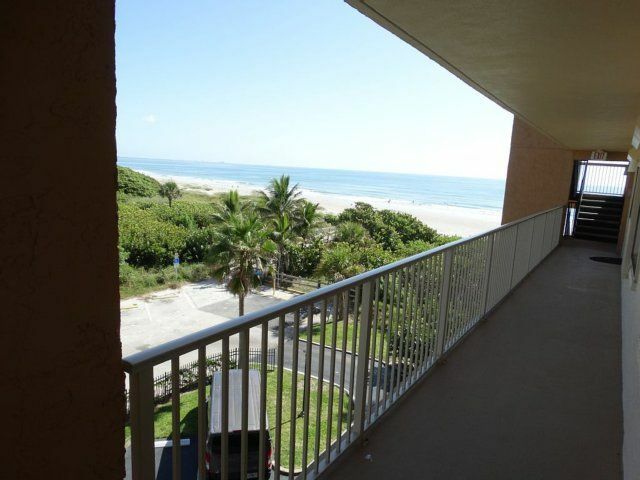 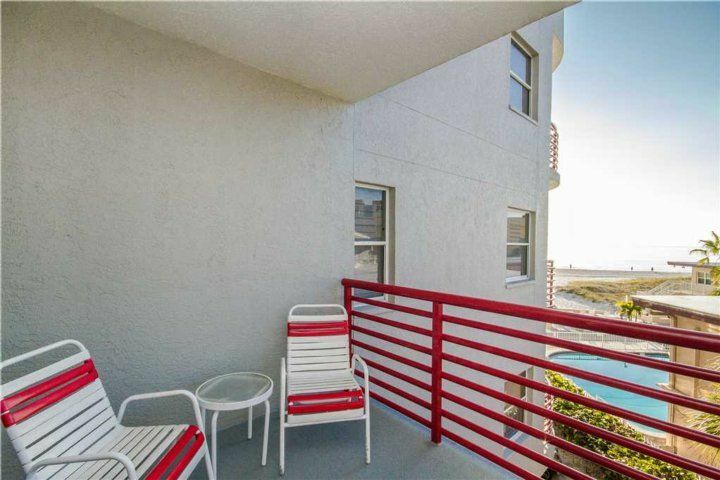 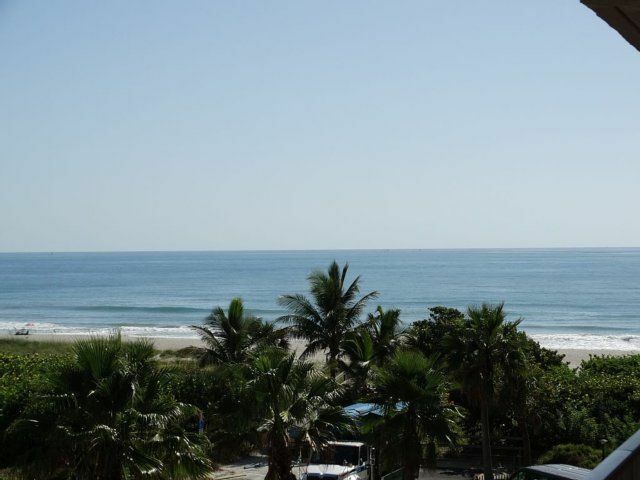 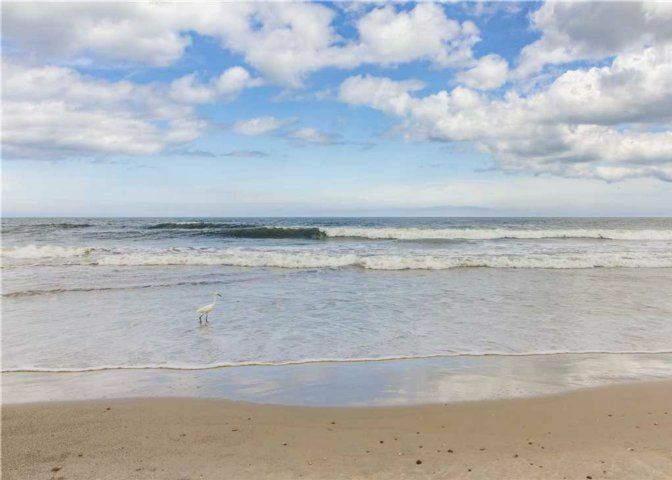 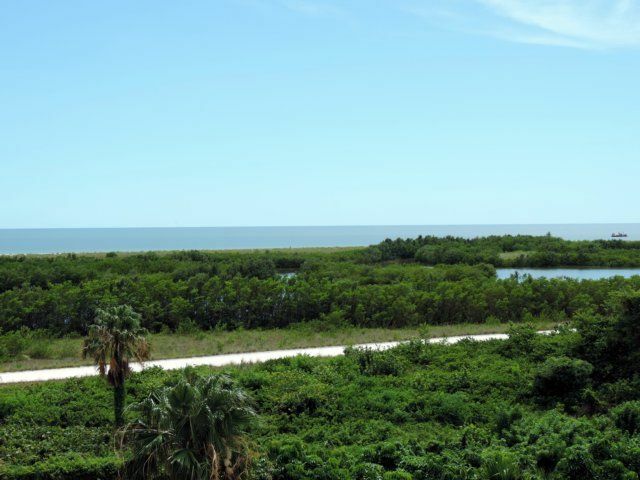 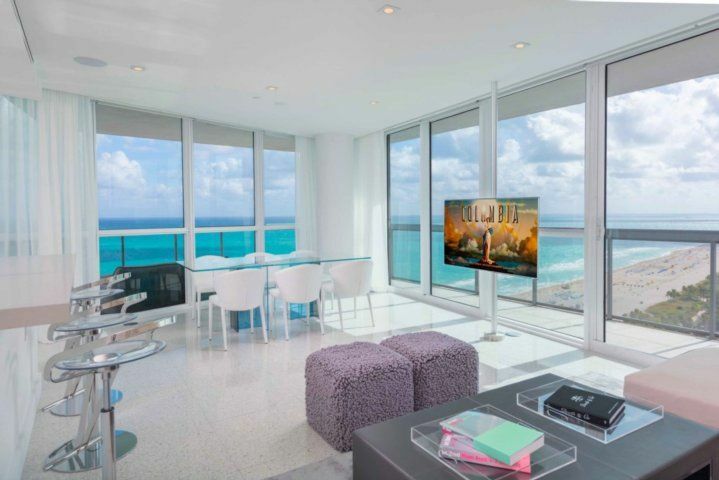 This condo, #402 - is perfect for views and you can hear the ocean on floor 4! 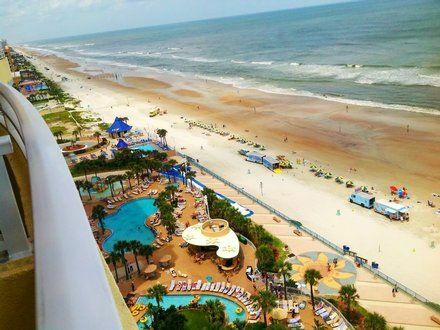 Higher floors can feel removed from the ocean. 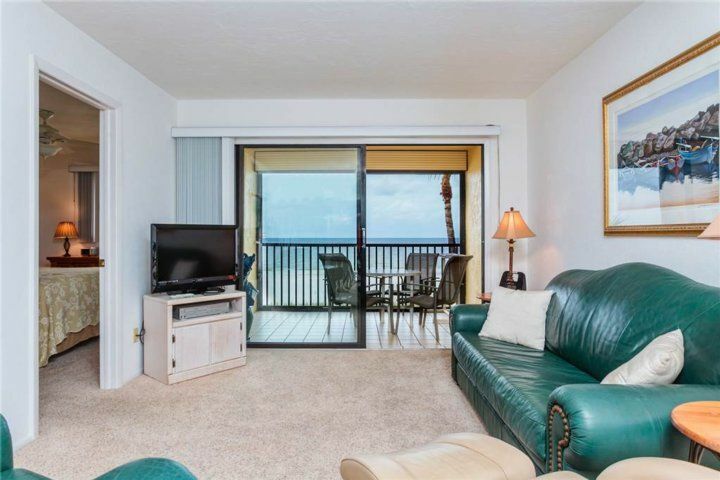 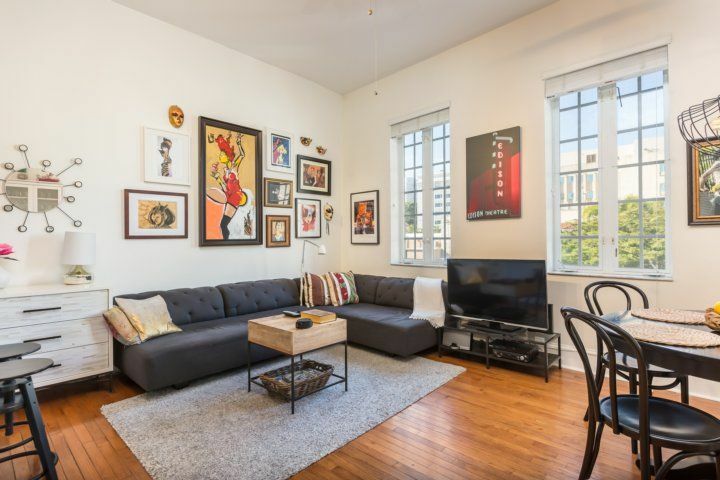 Lower floors can feel limited with little or no view. 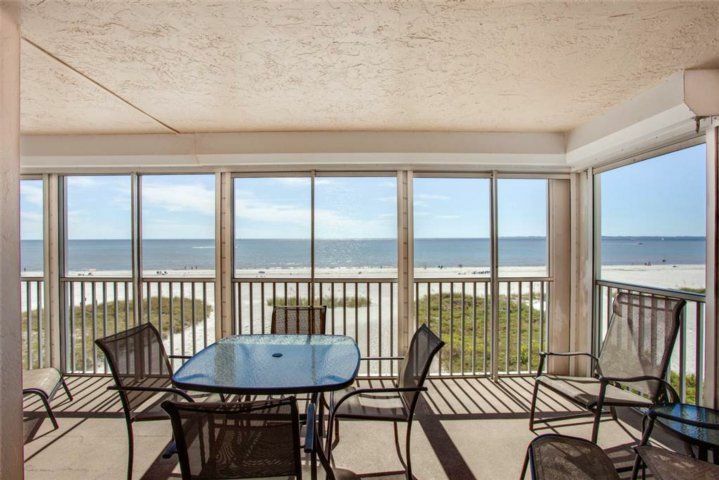 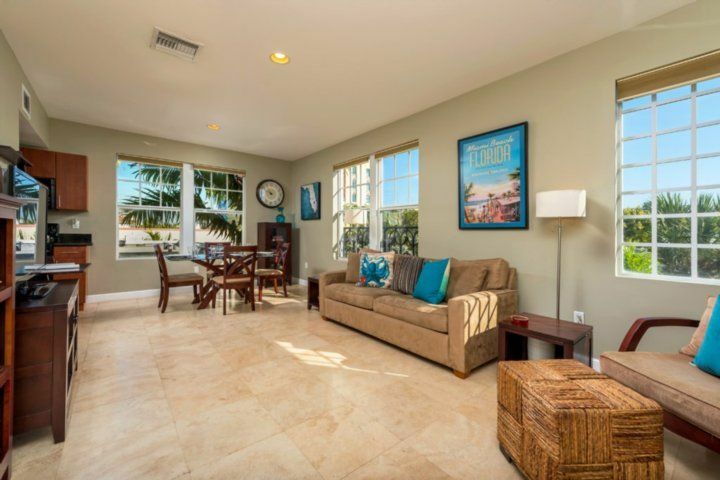 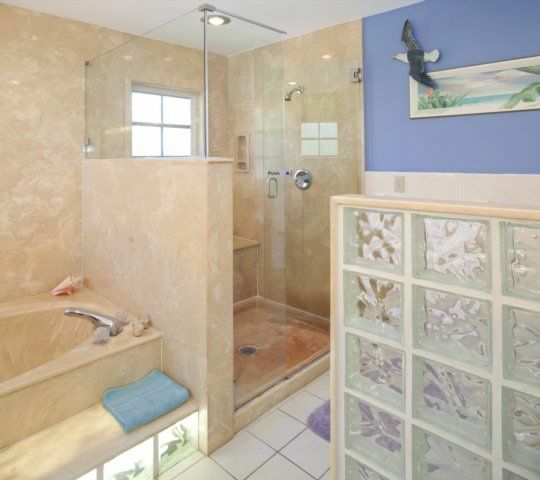 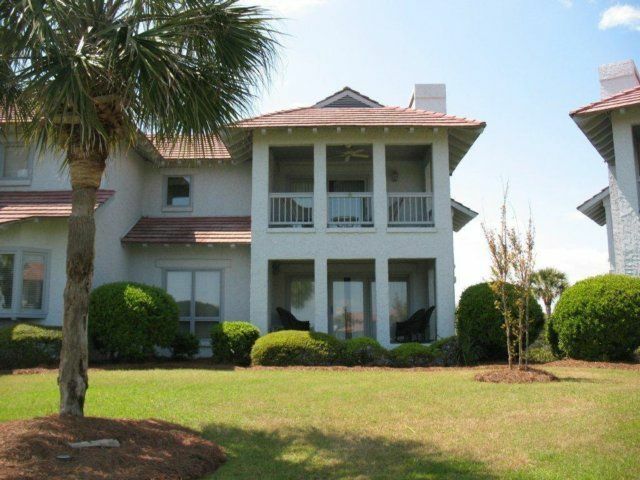 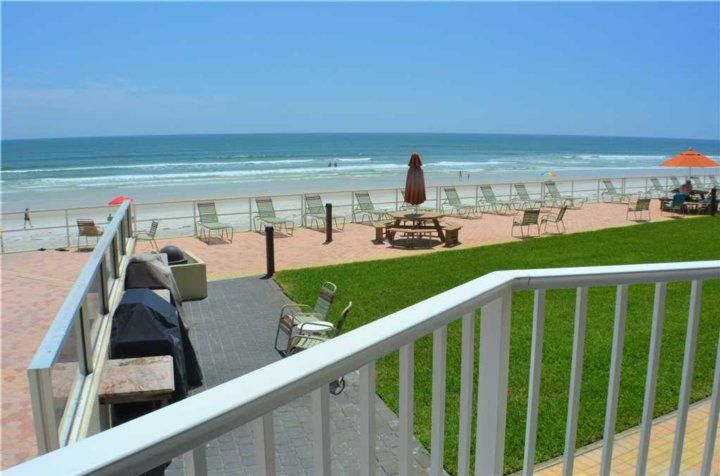 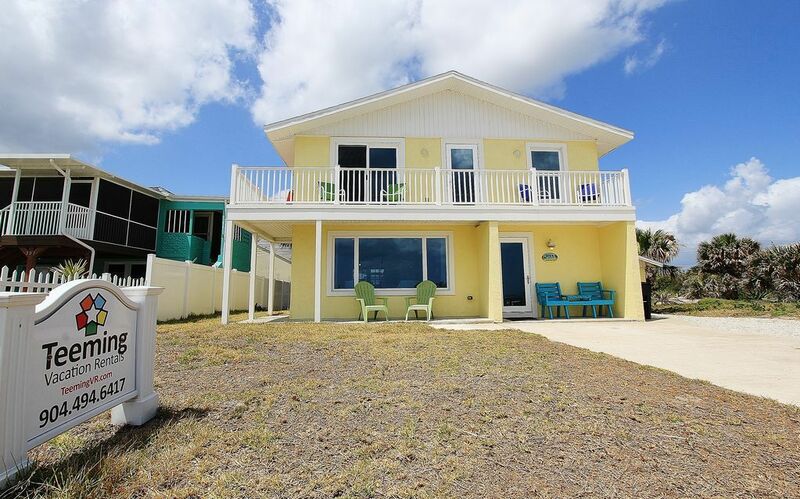 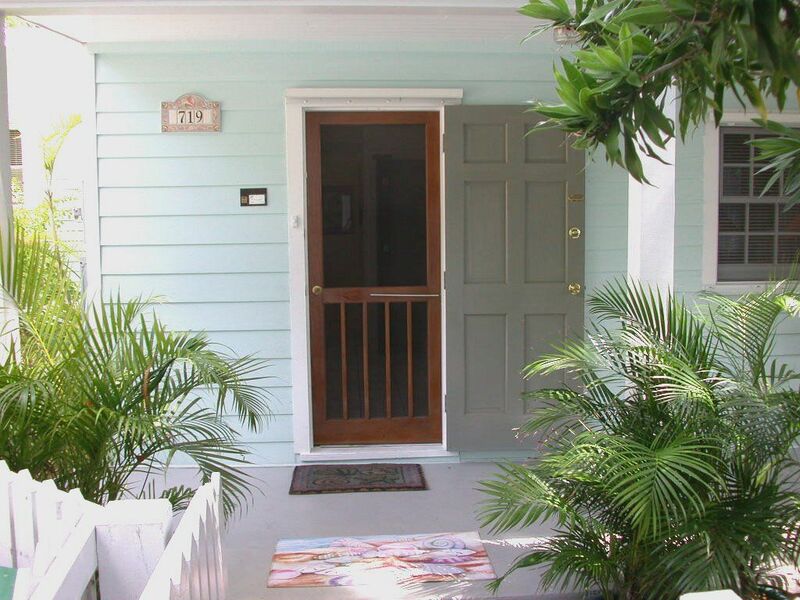 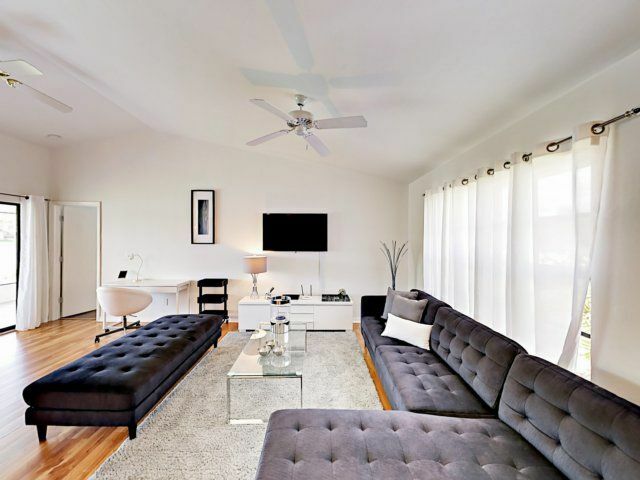 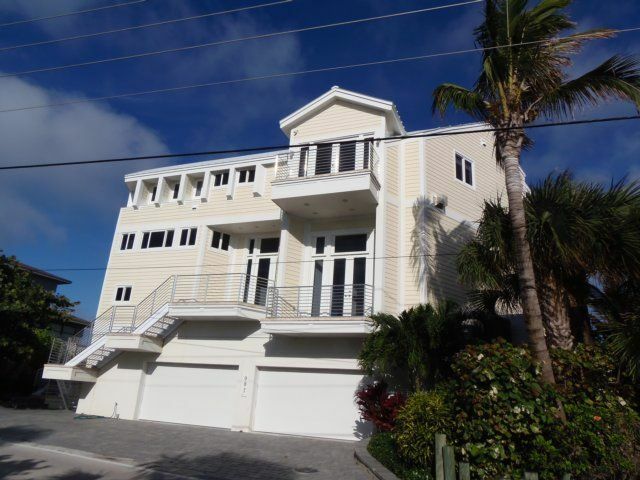 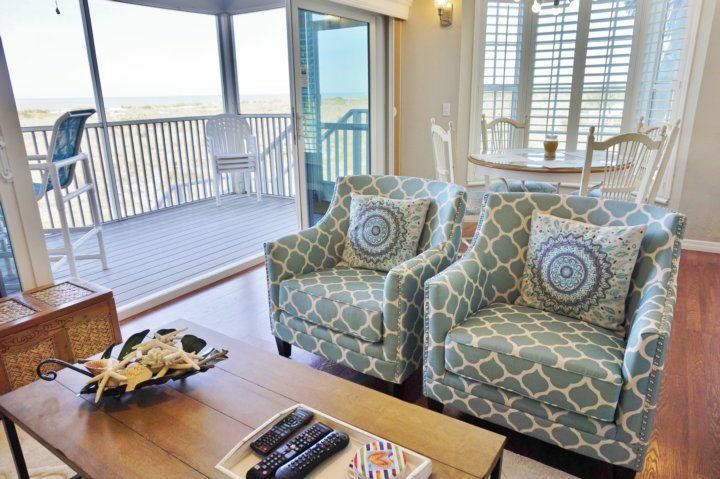 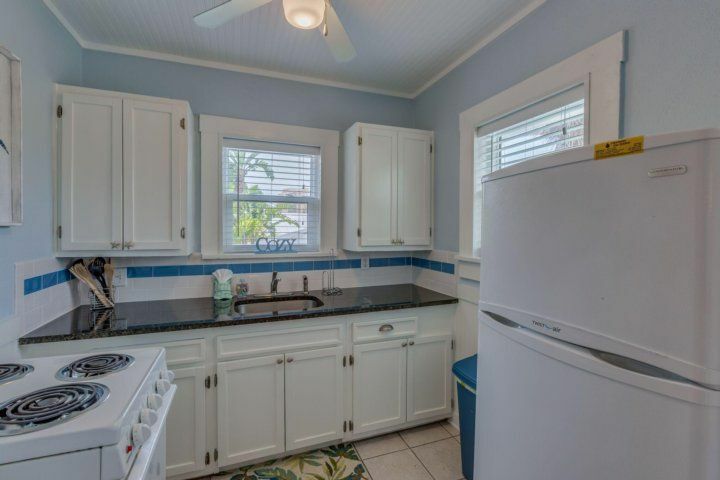 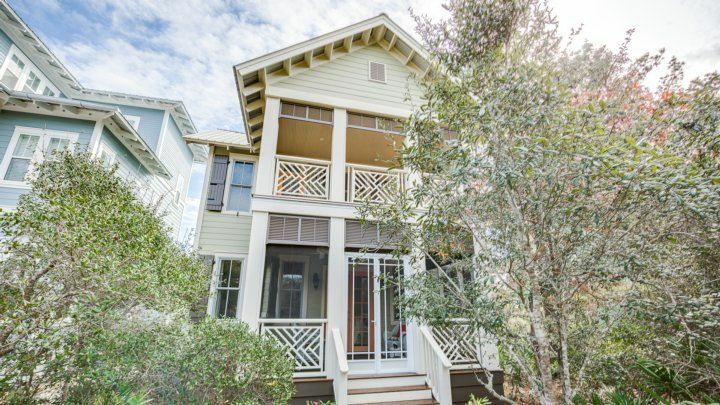 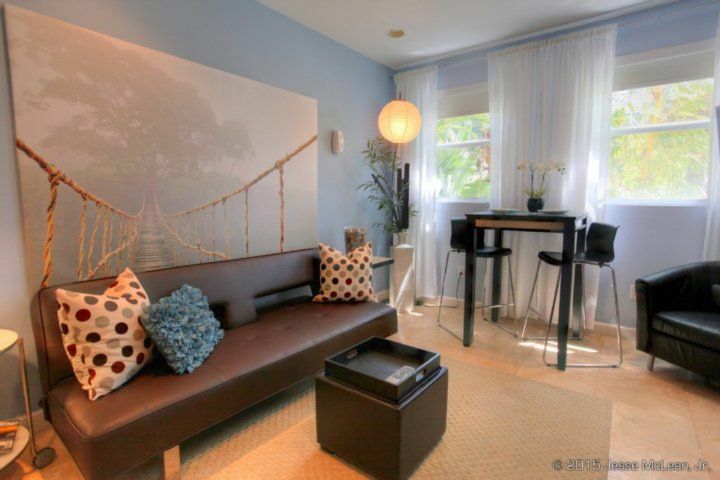 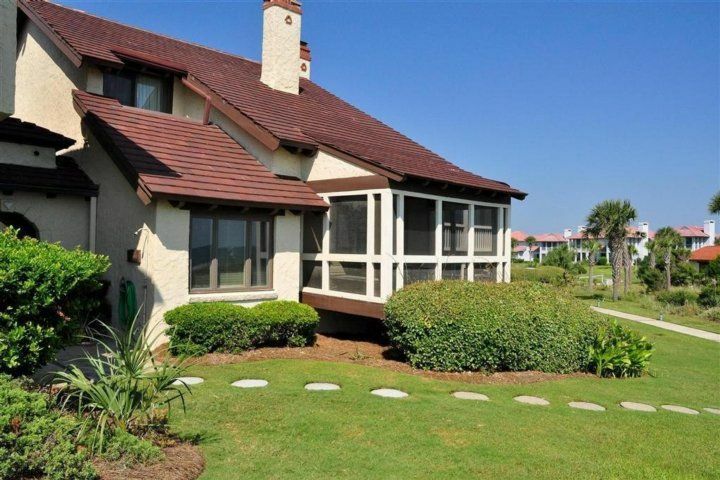 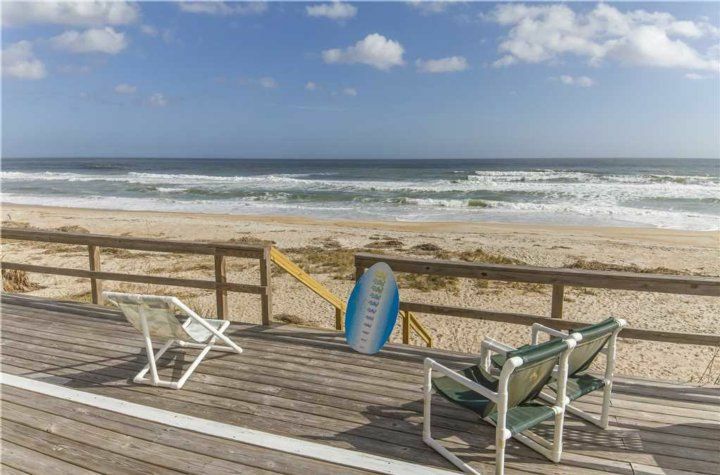 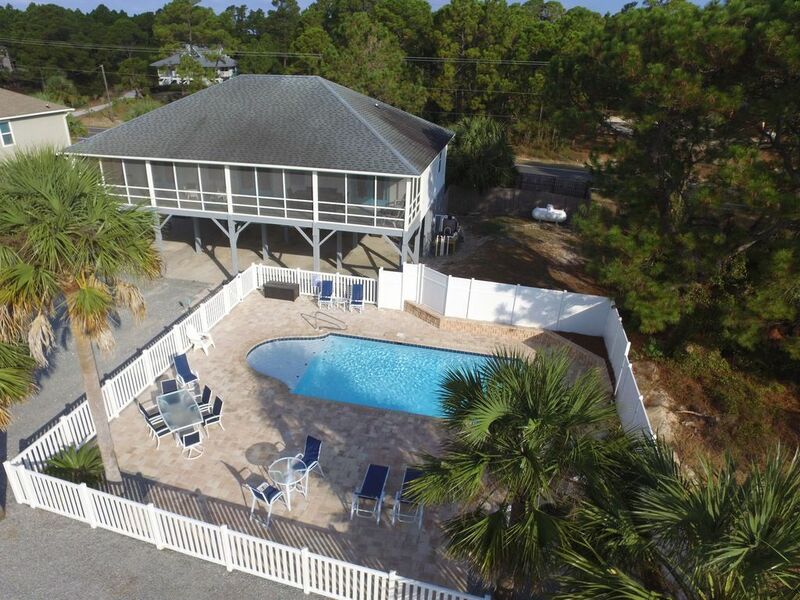 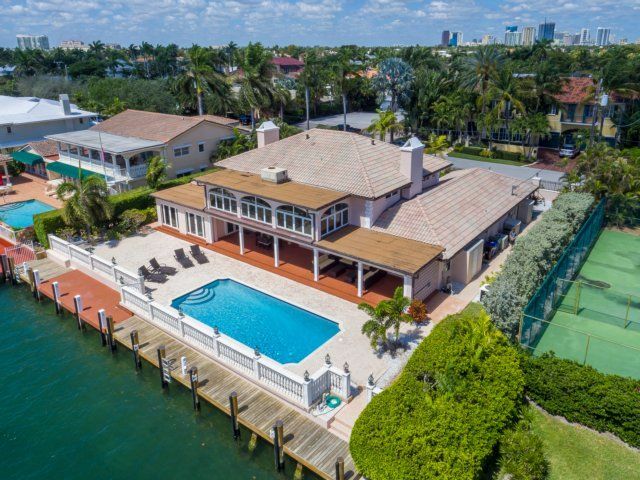 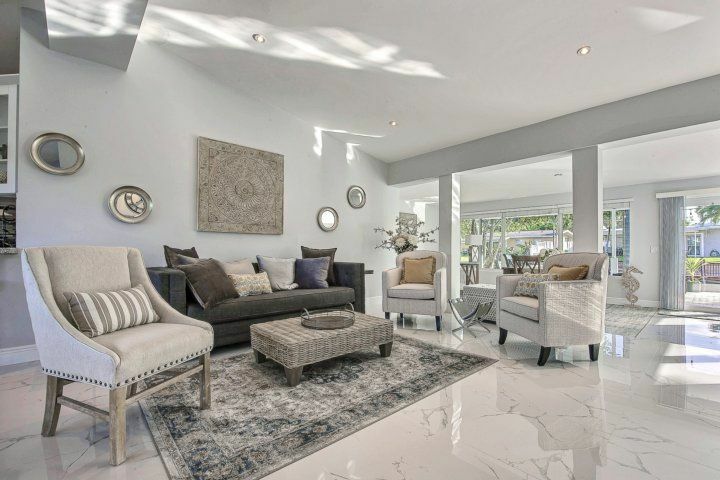 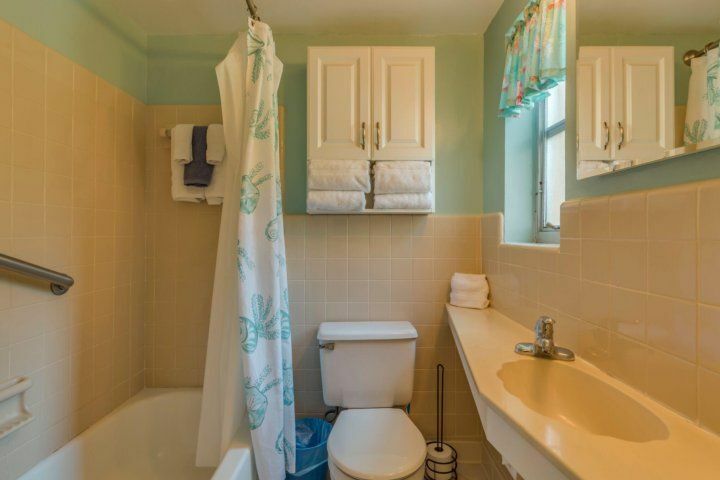 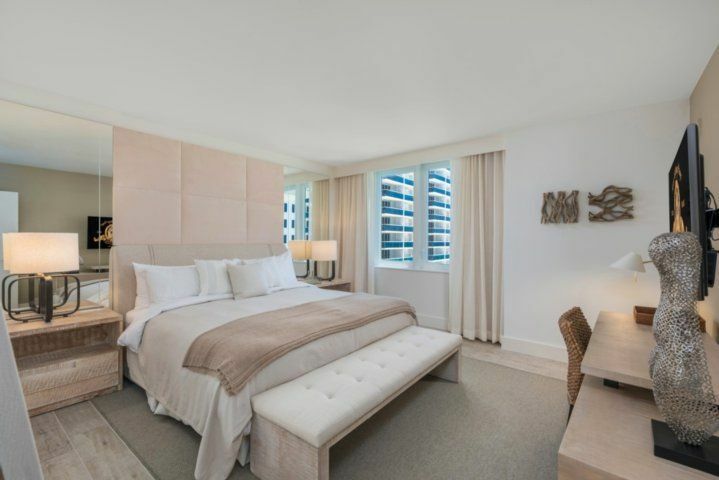 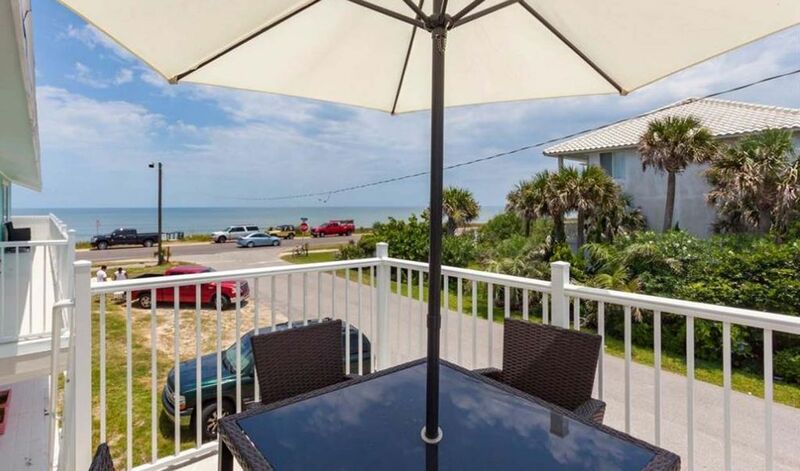 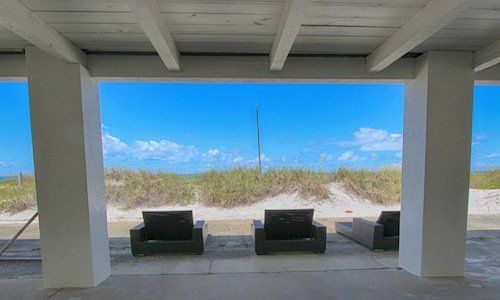 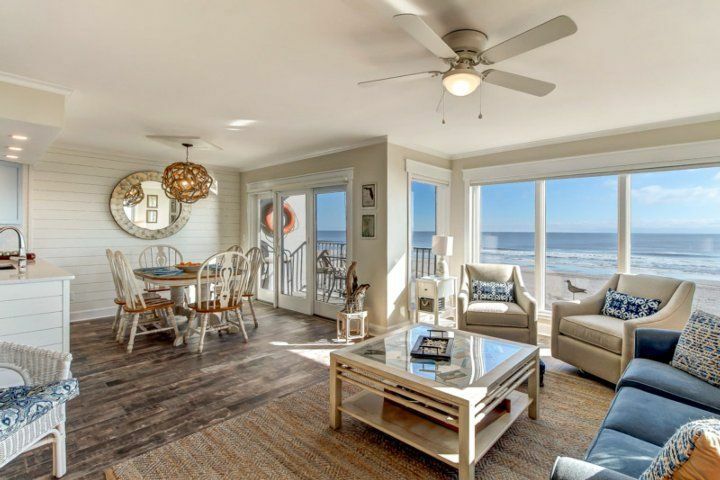 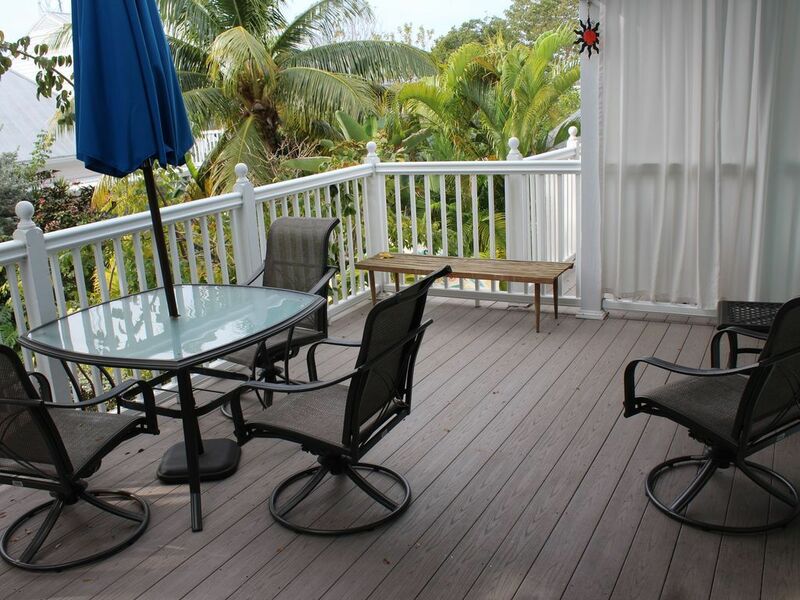 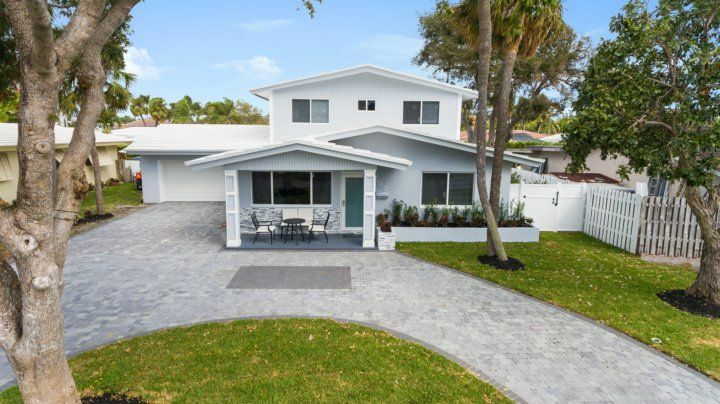 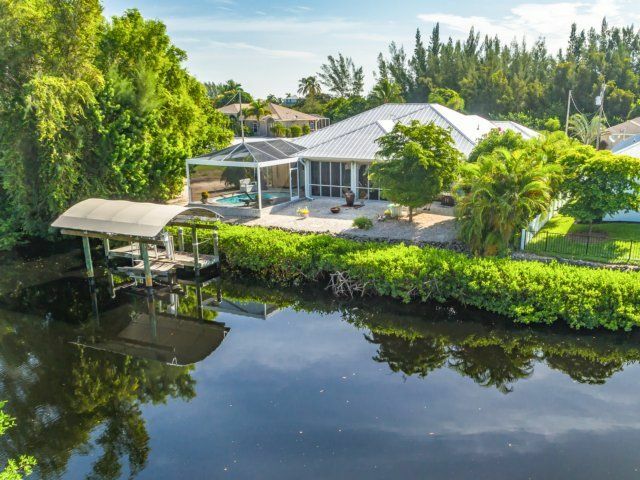 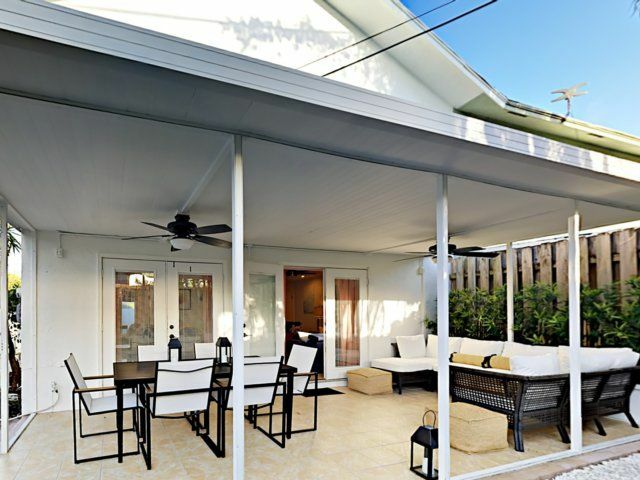 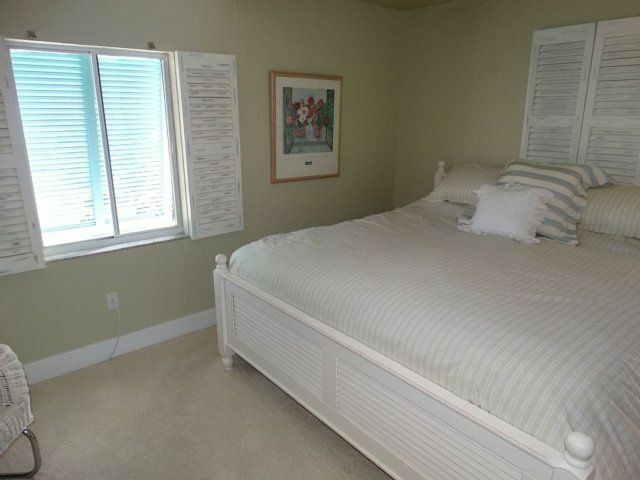 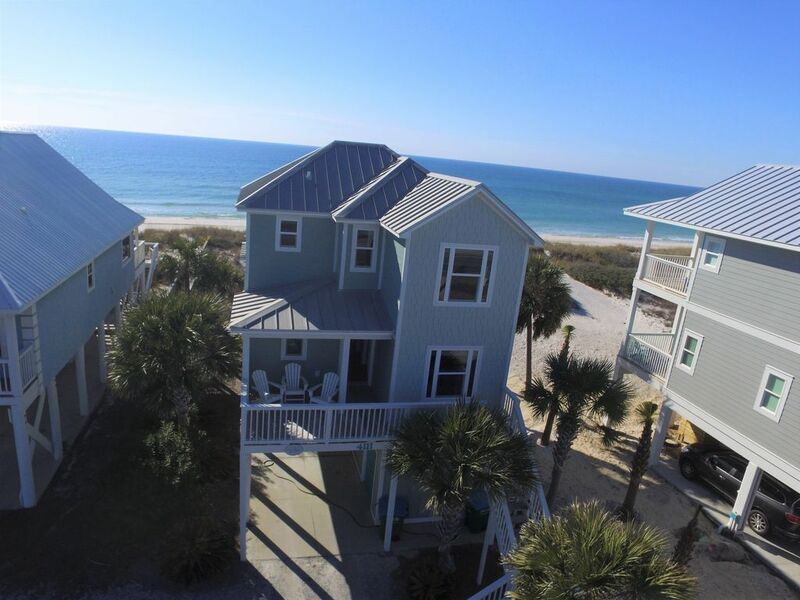 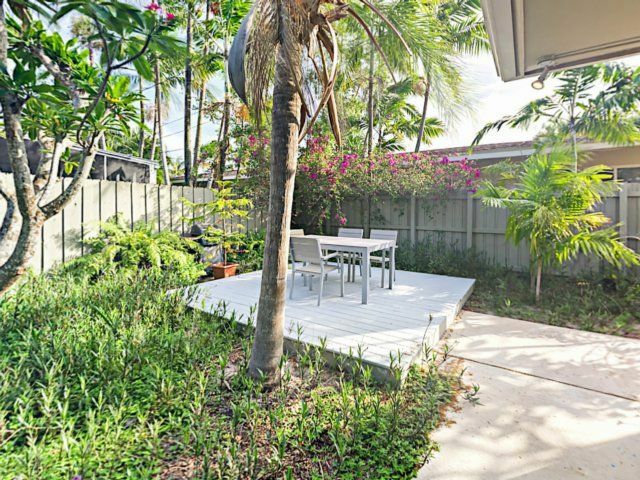 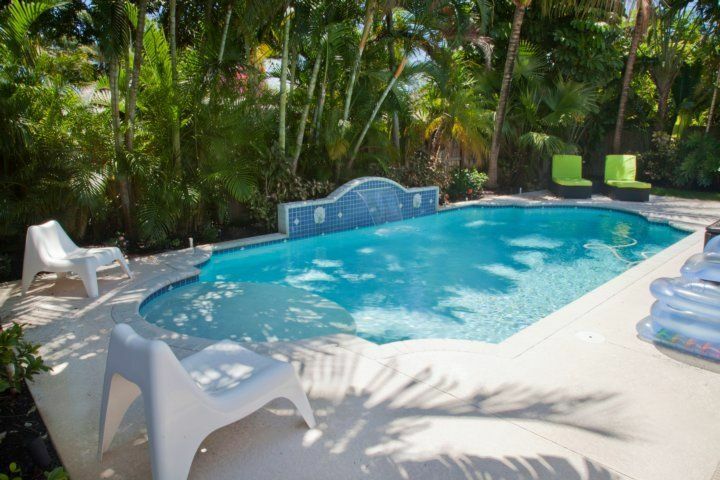 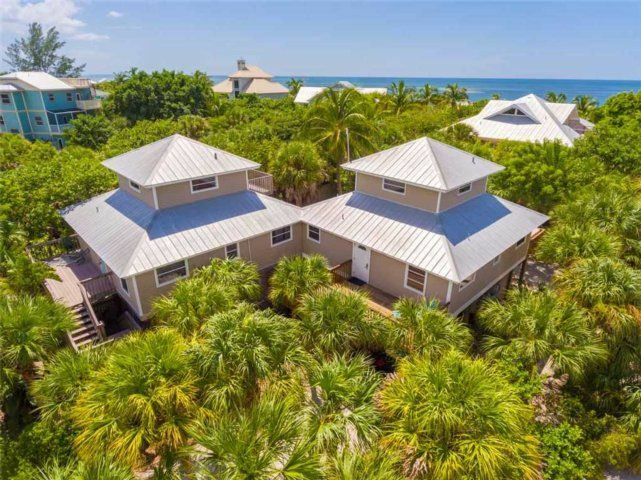 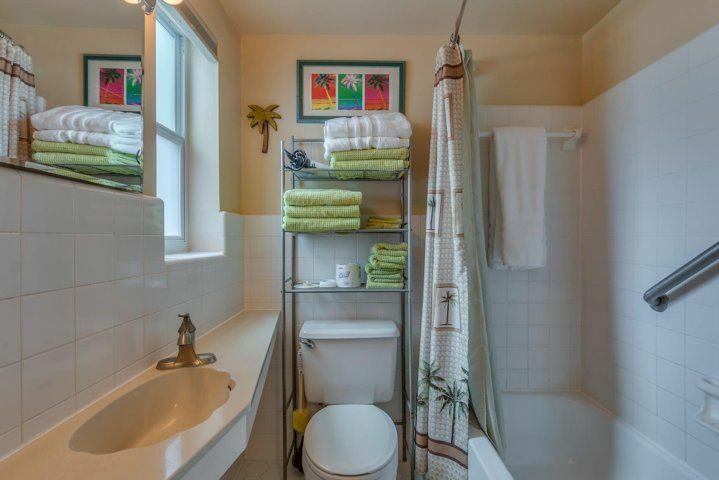 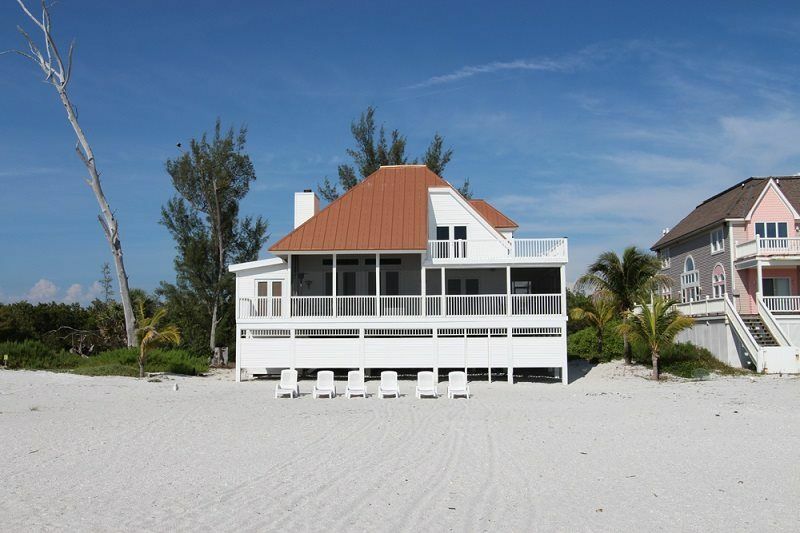 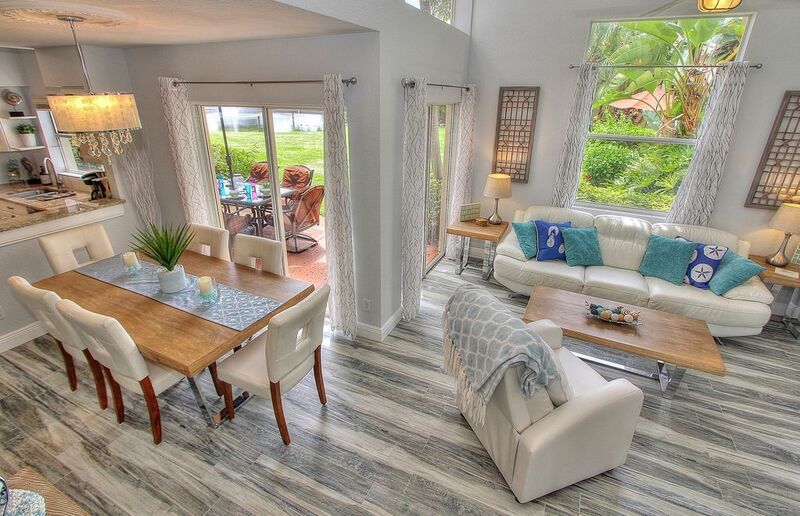 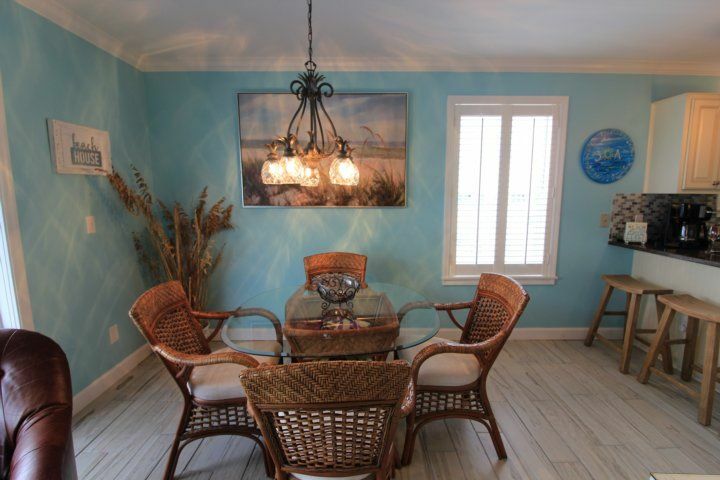 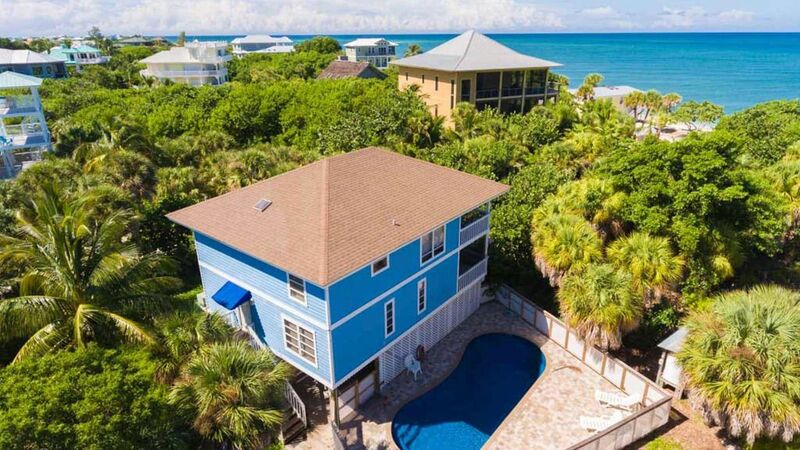 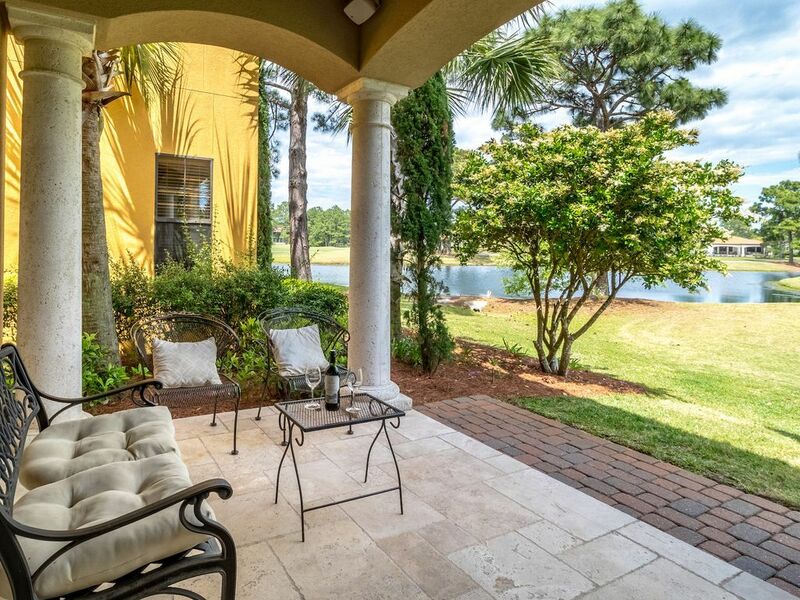 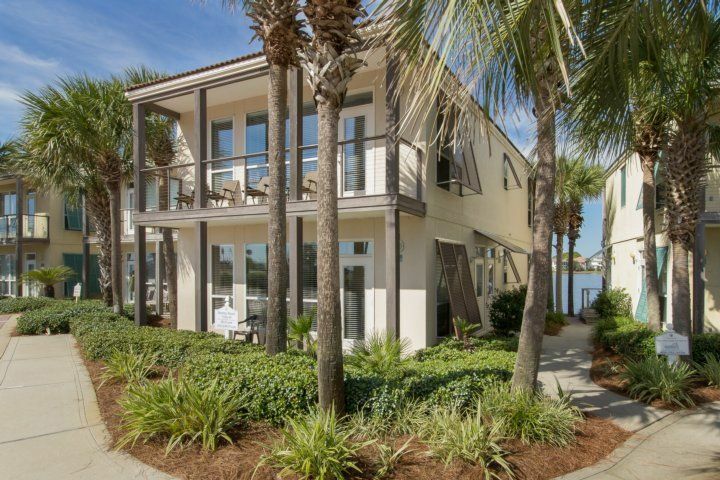 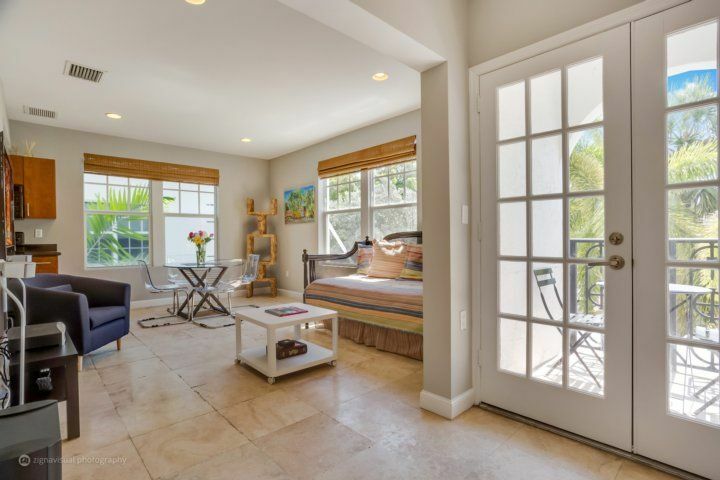 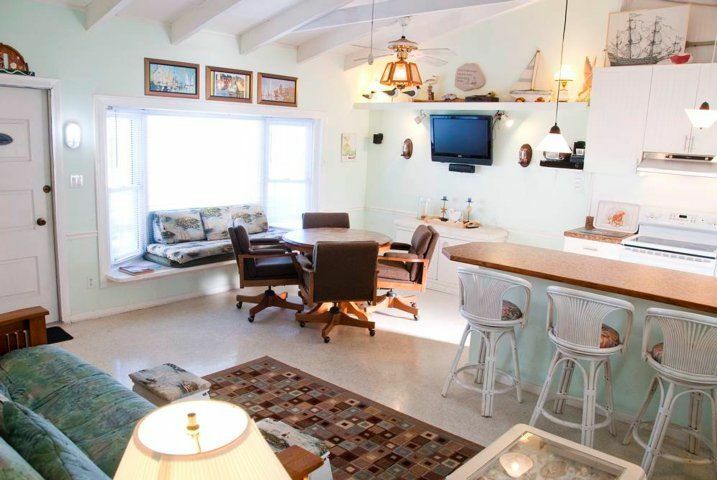 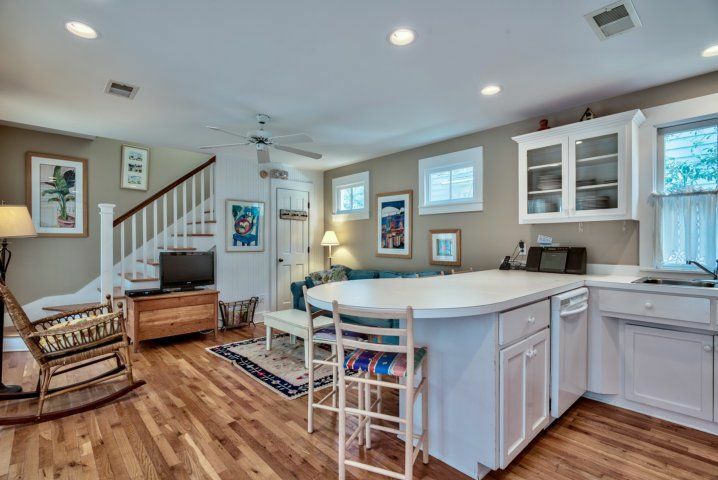 This one is perfect on the 4th floor - and it is direct oceanfront! 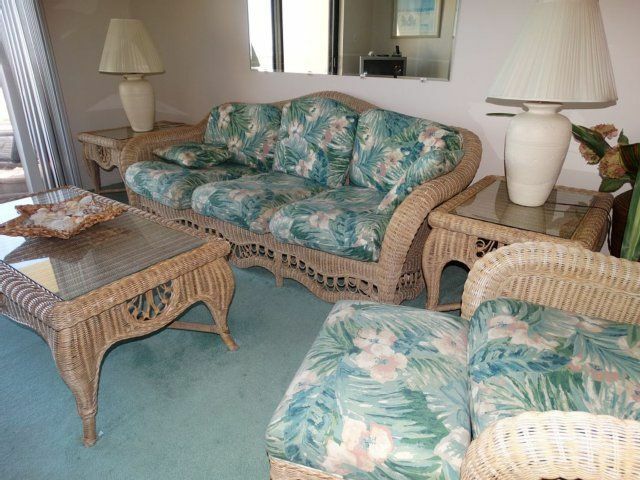 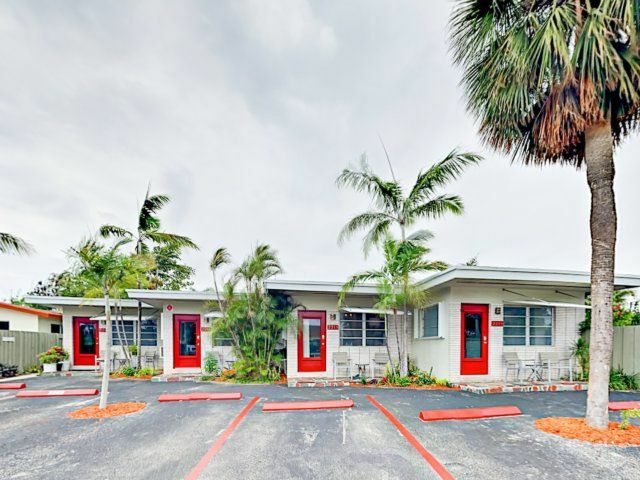 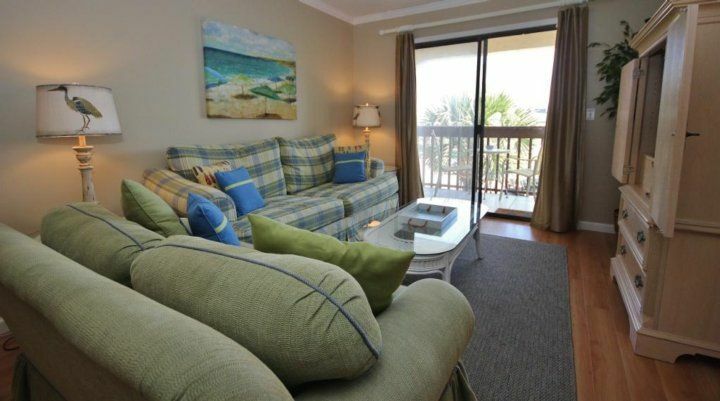 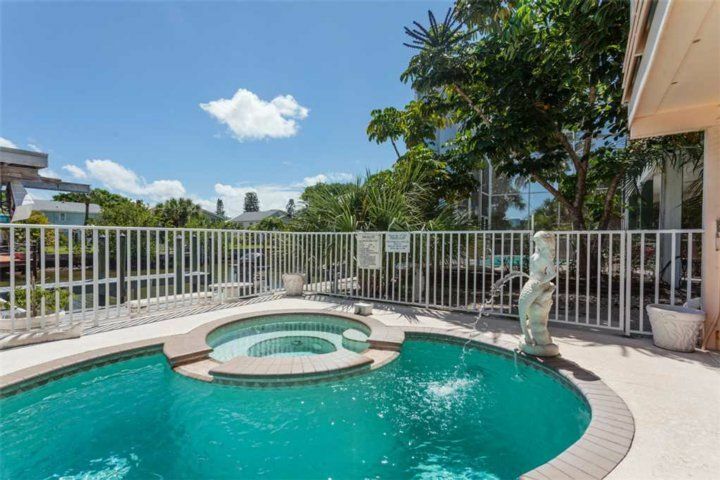 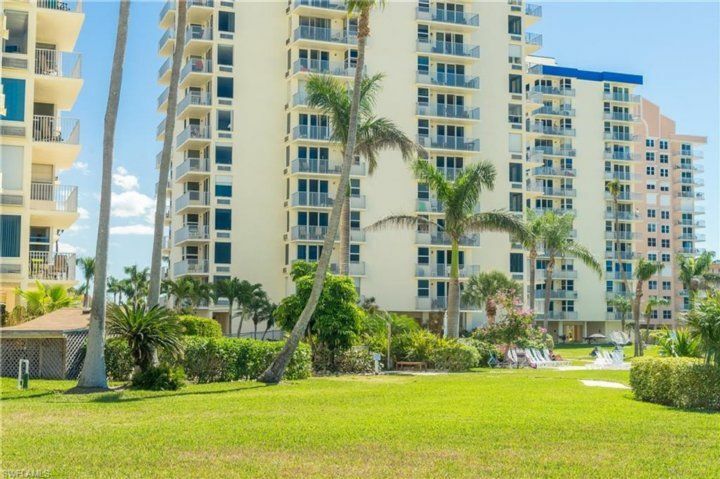 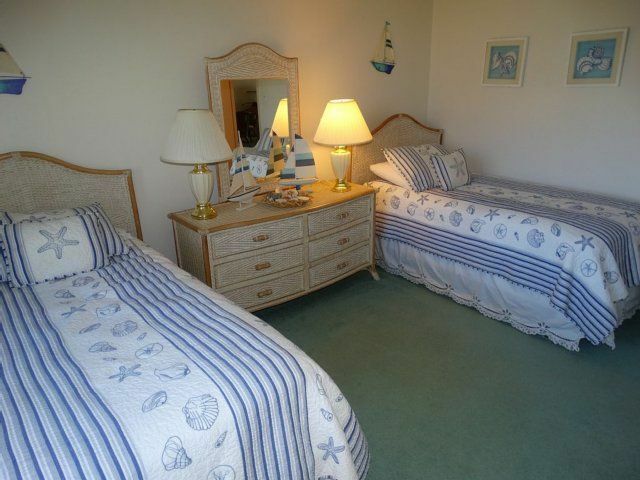 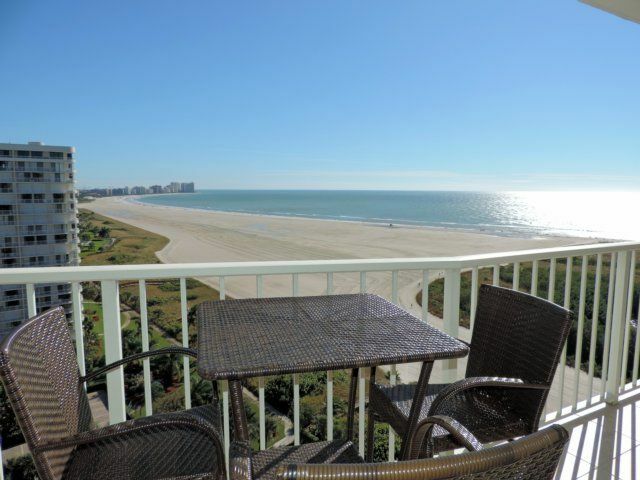 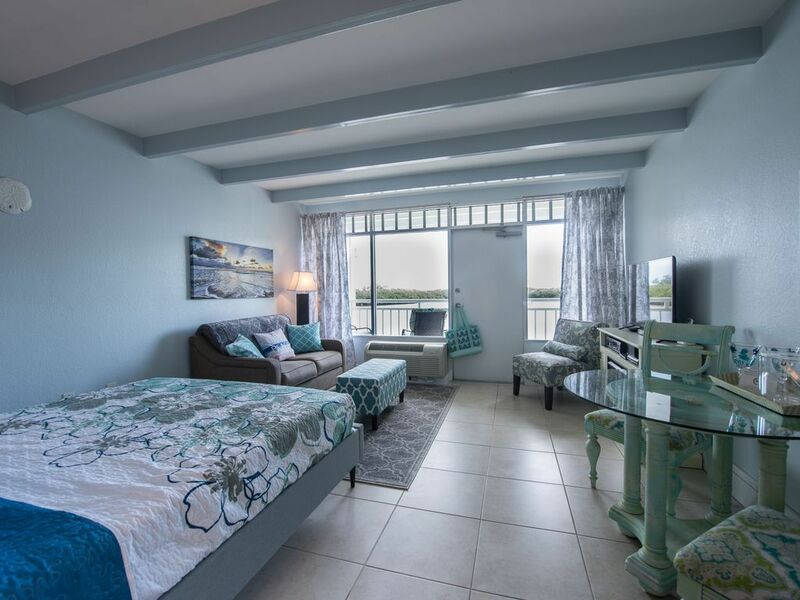 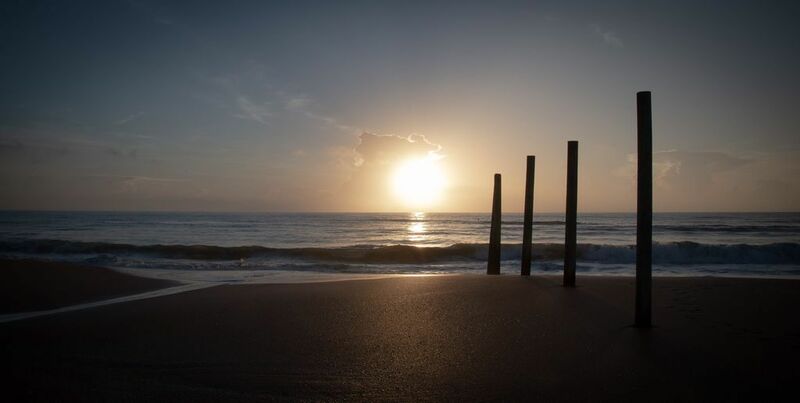 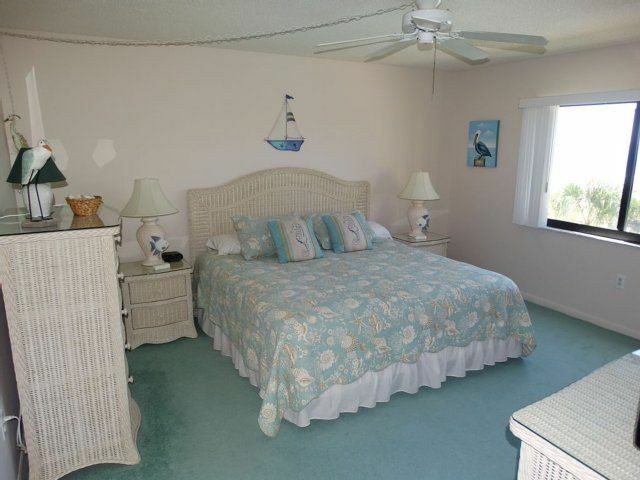 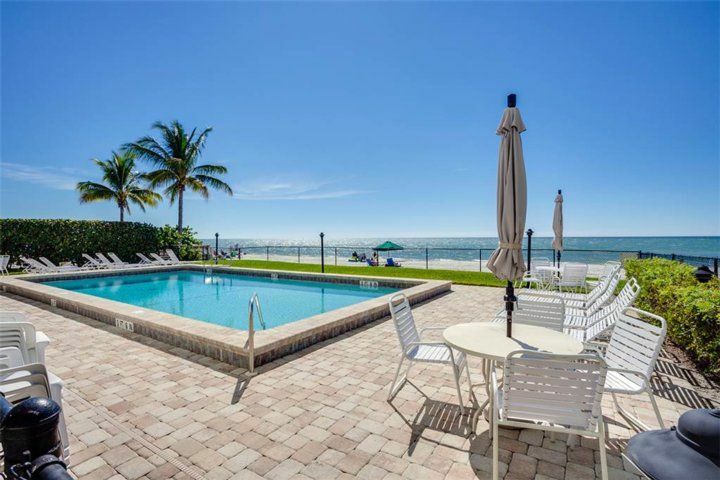 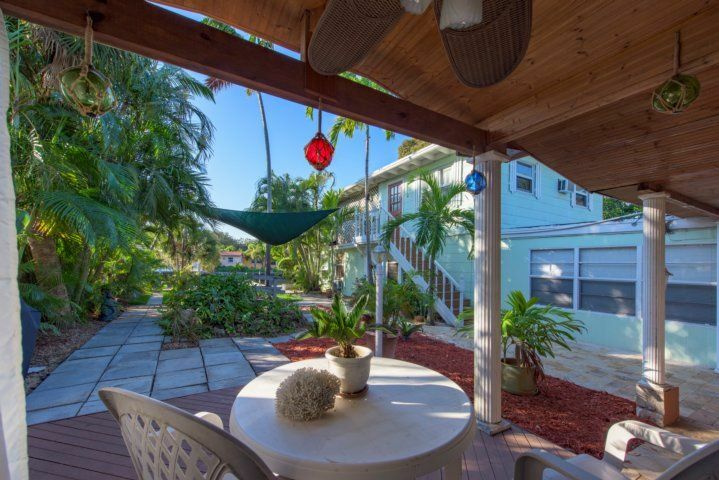 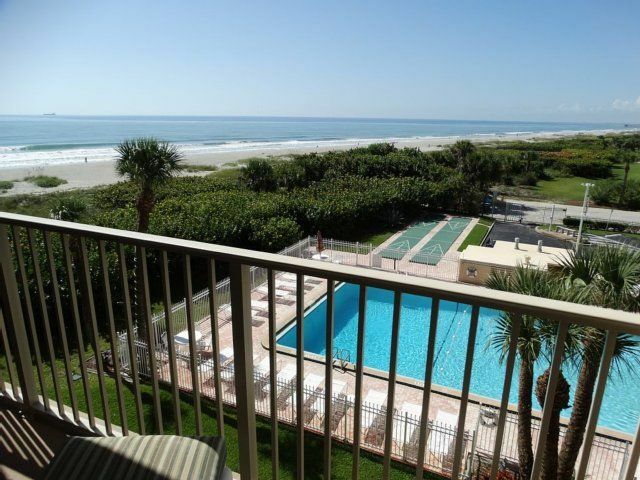 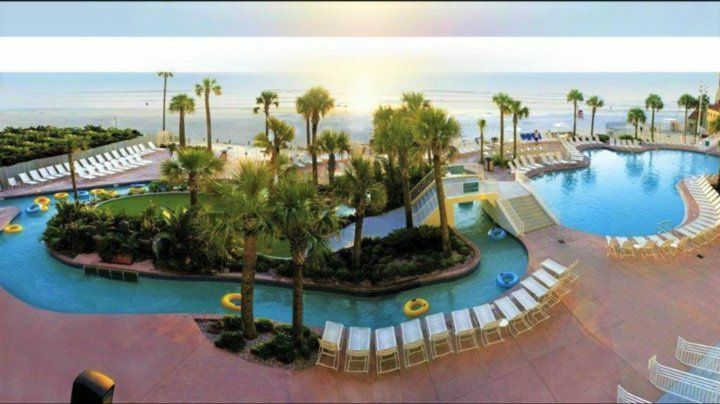 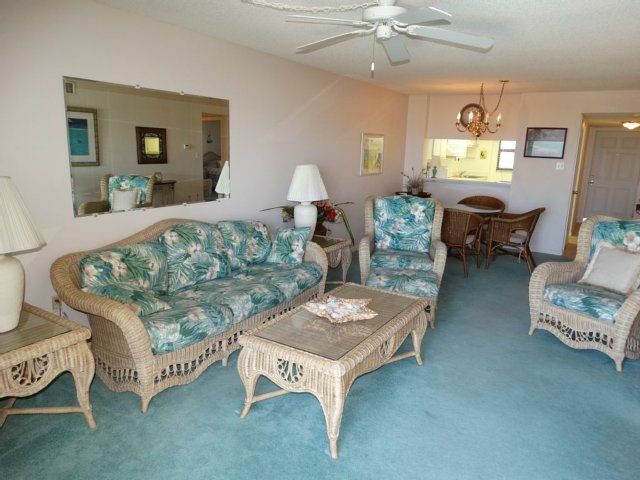 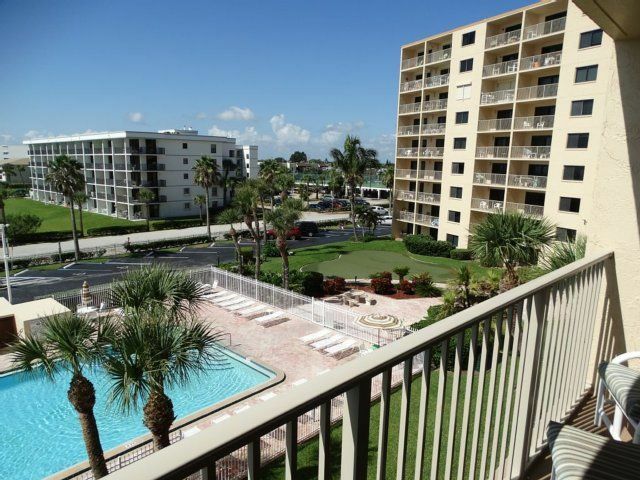 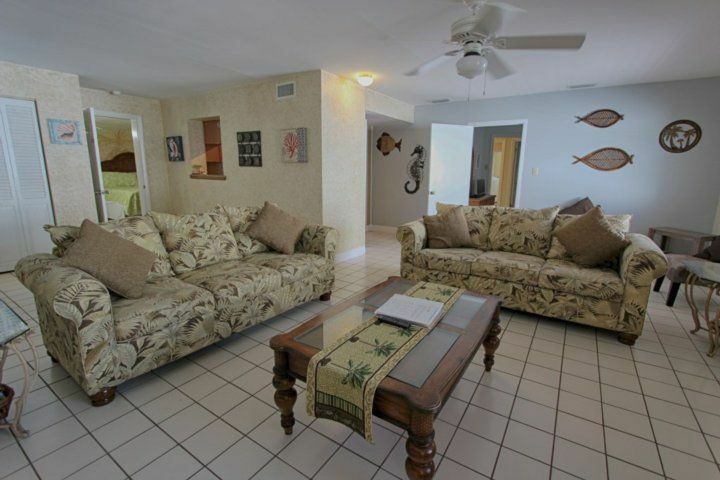 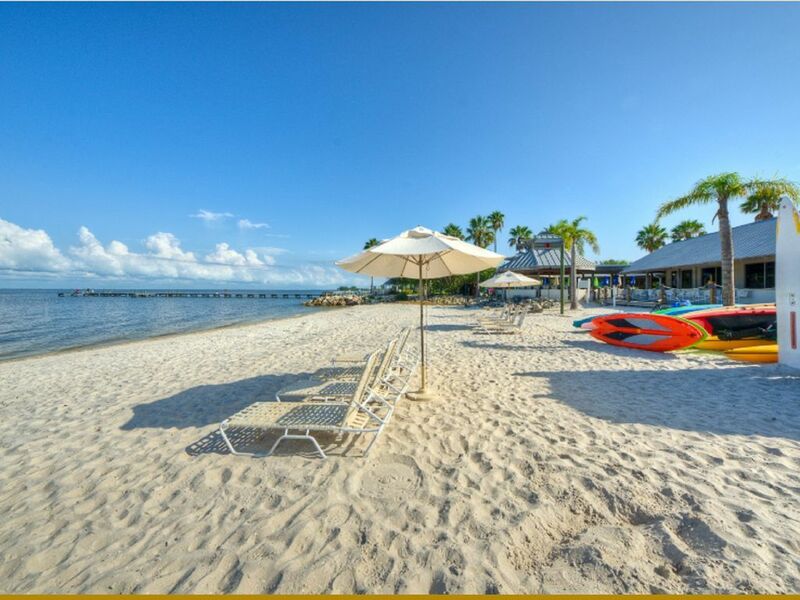 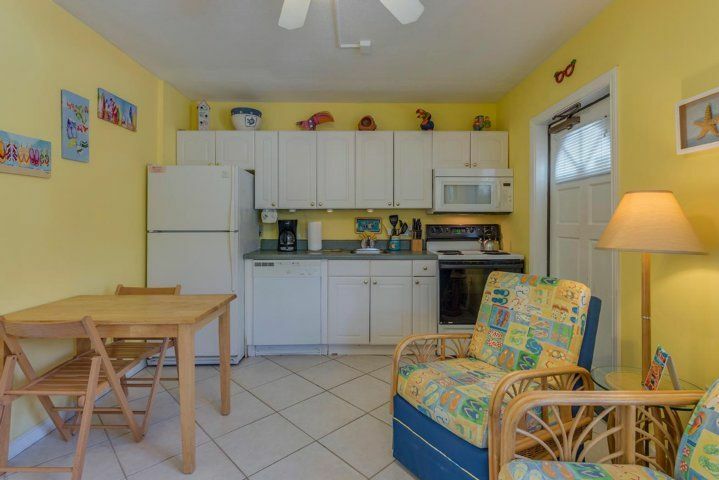 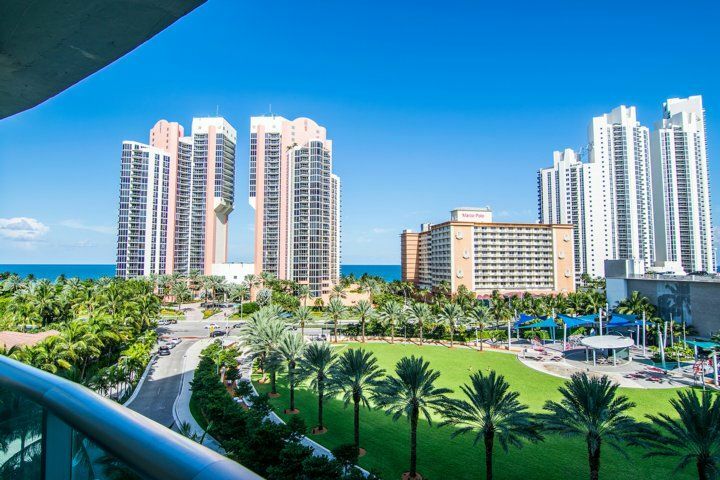 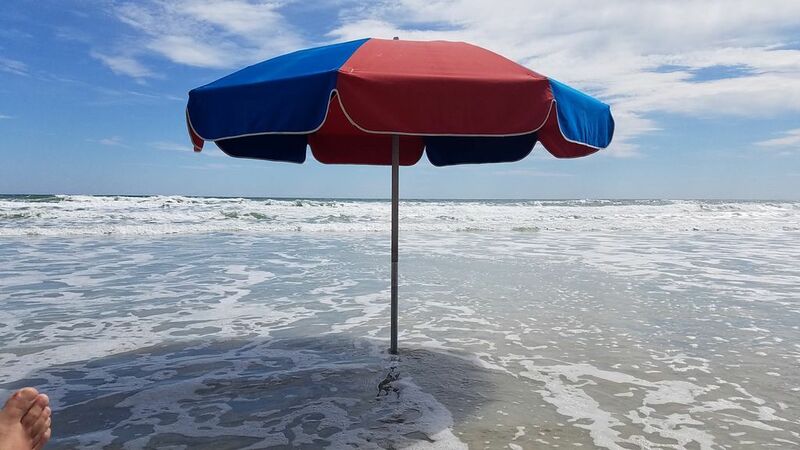 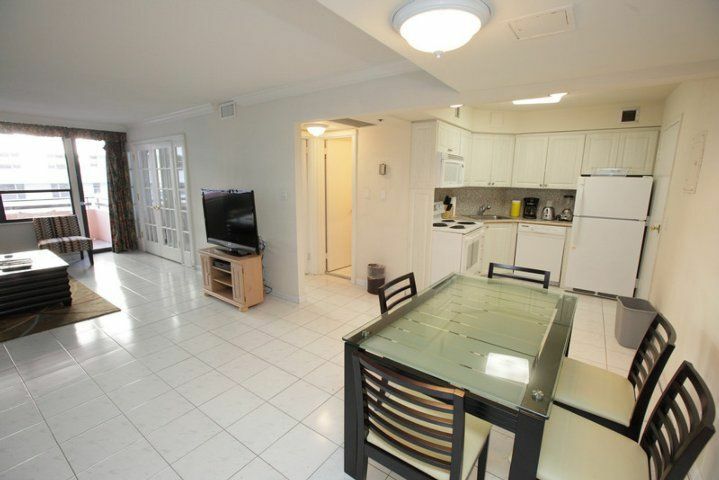 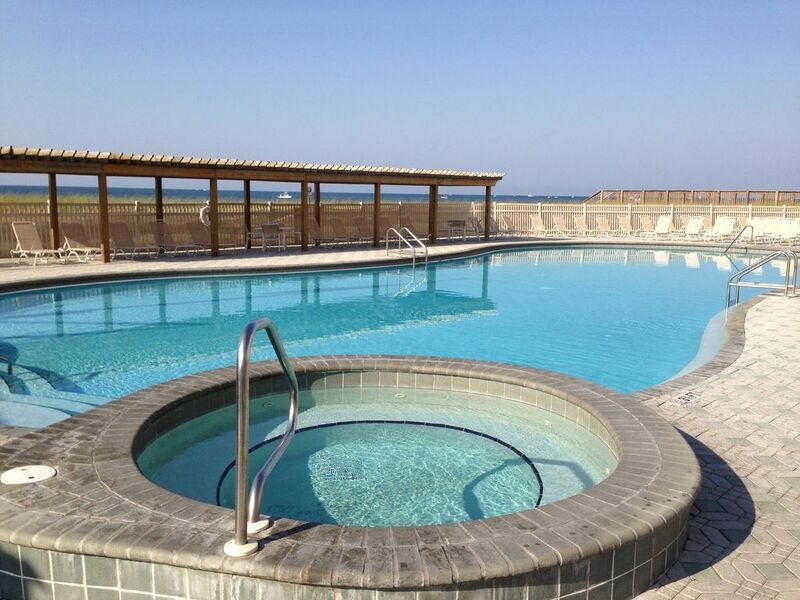 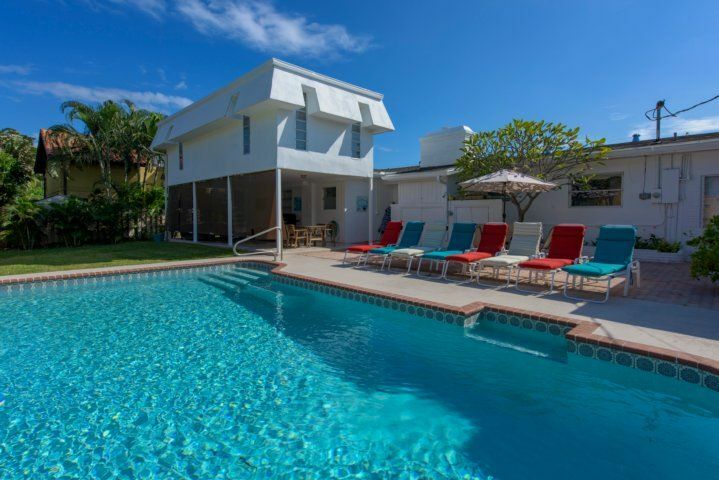 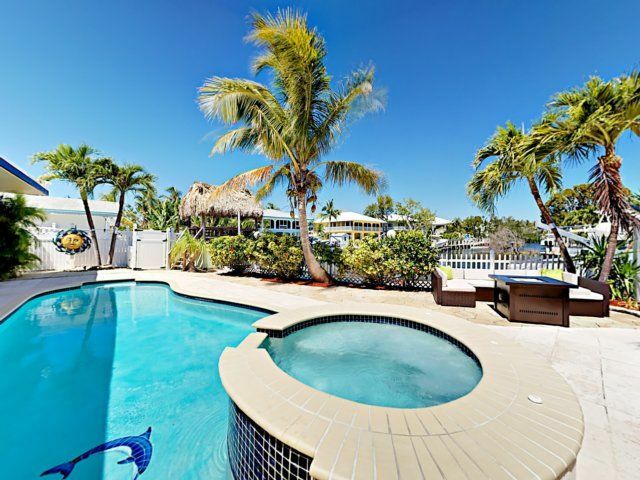 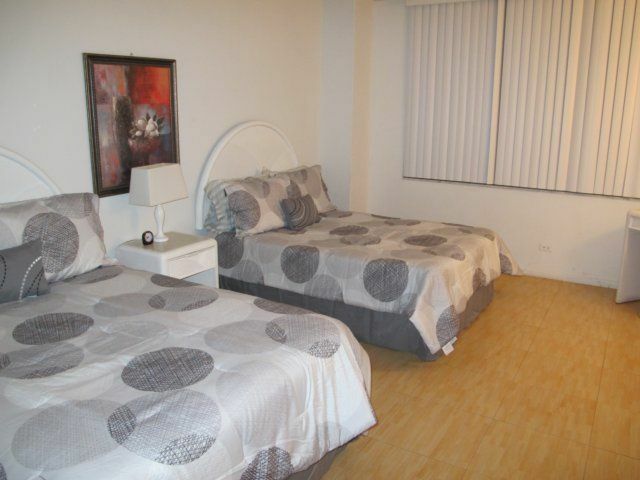 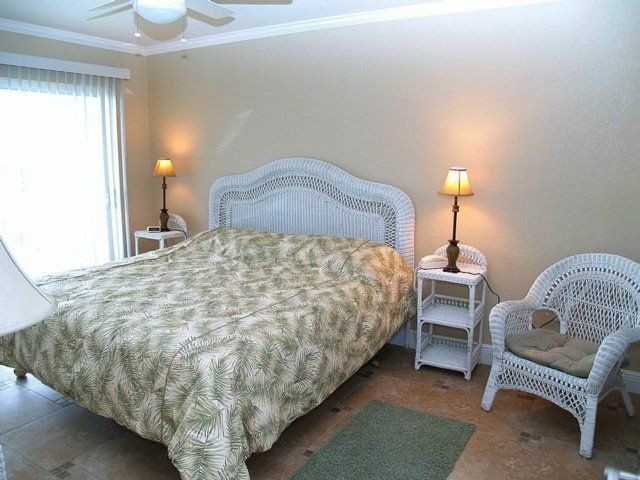 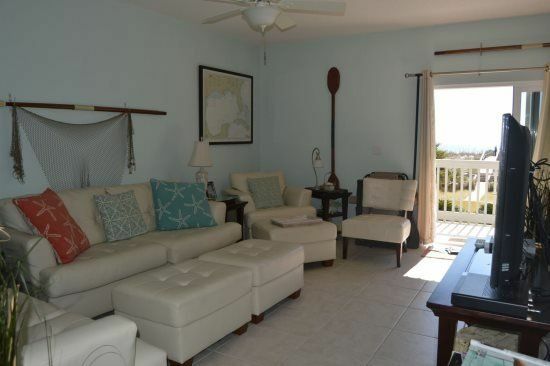 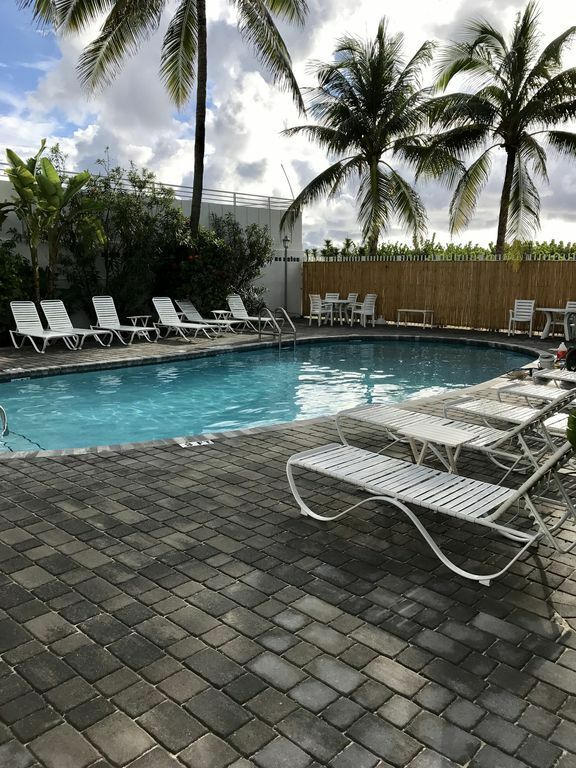 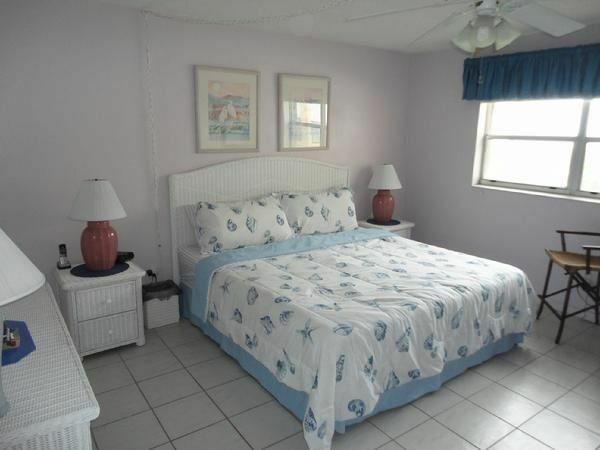 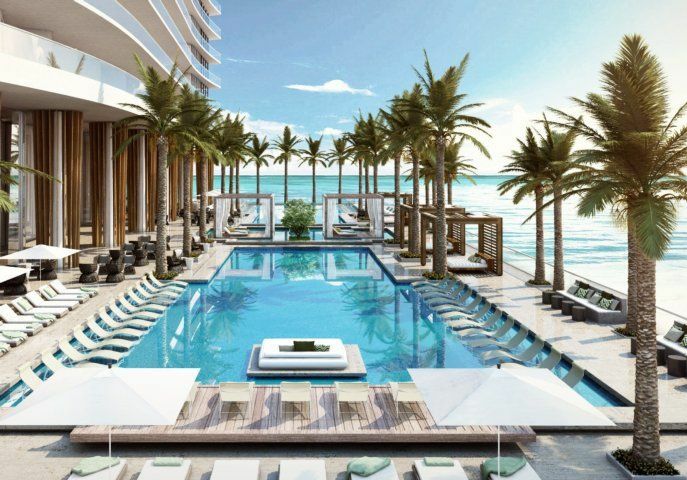 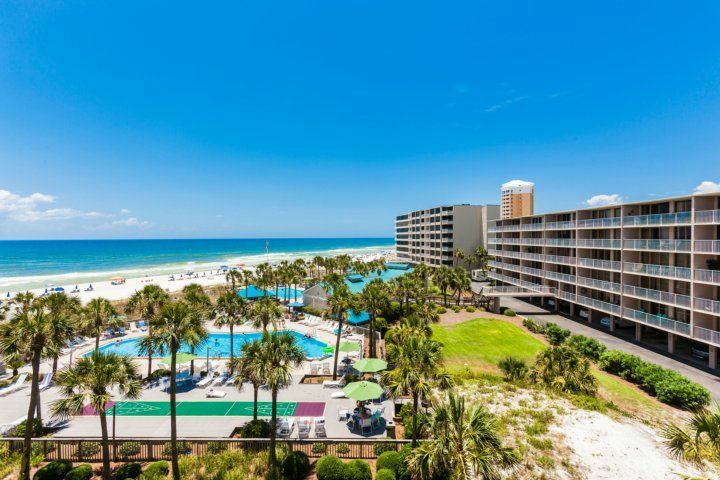 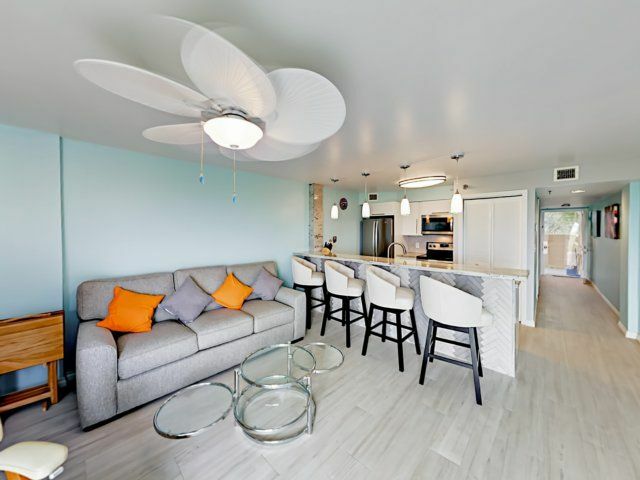 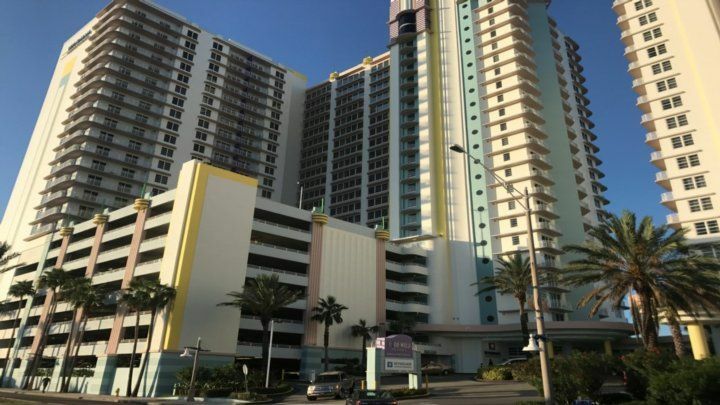 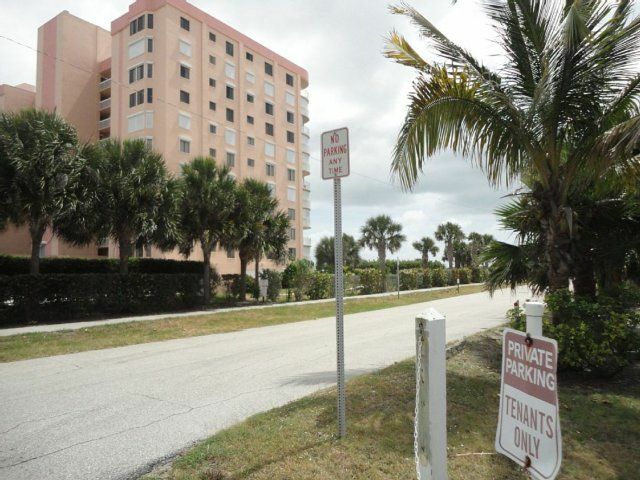 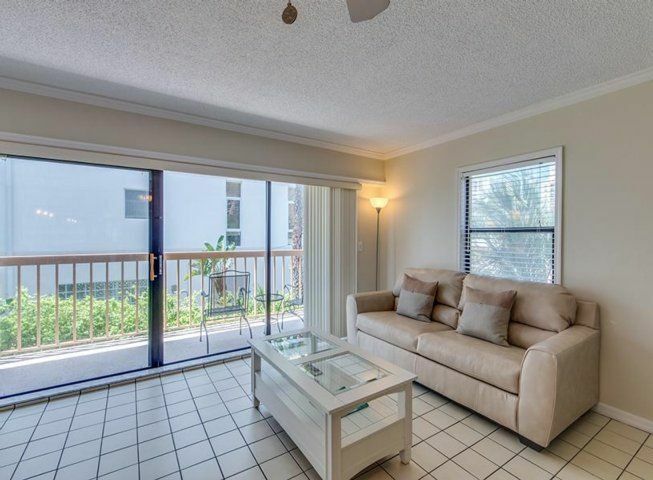 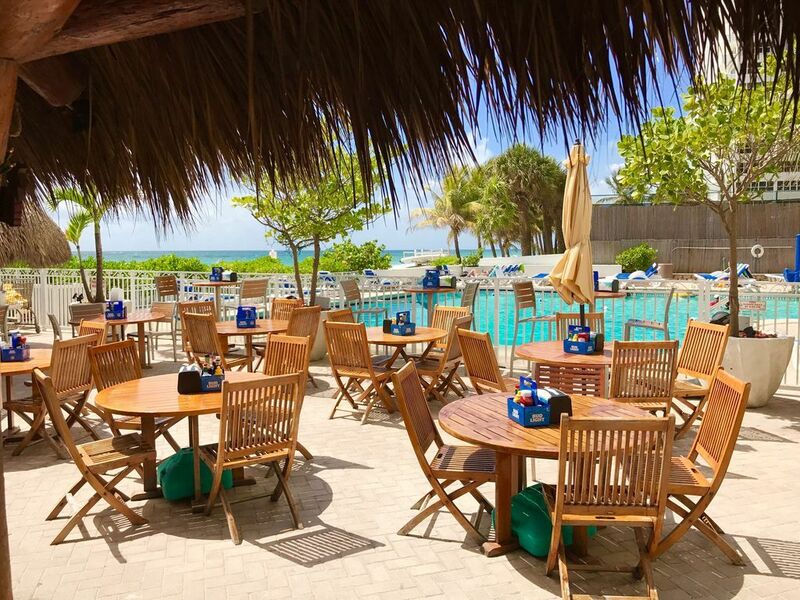 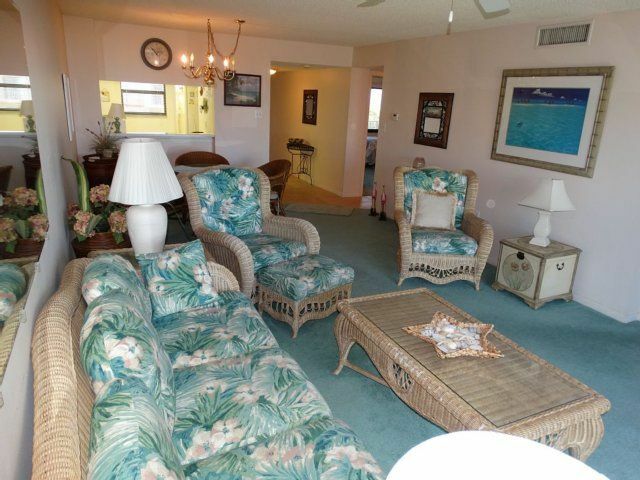 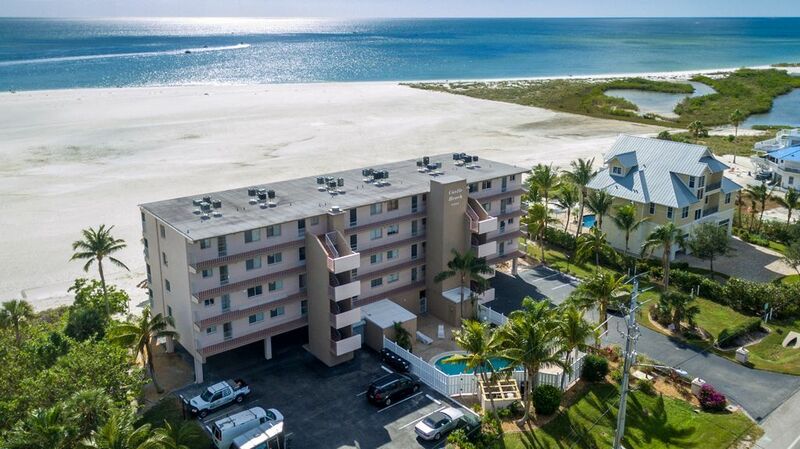 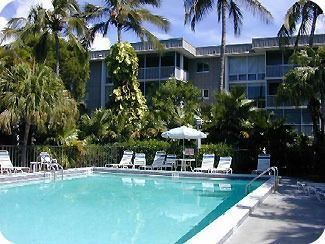 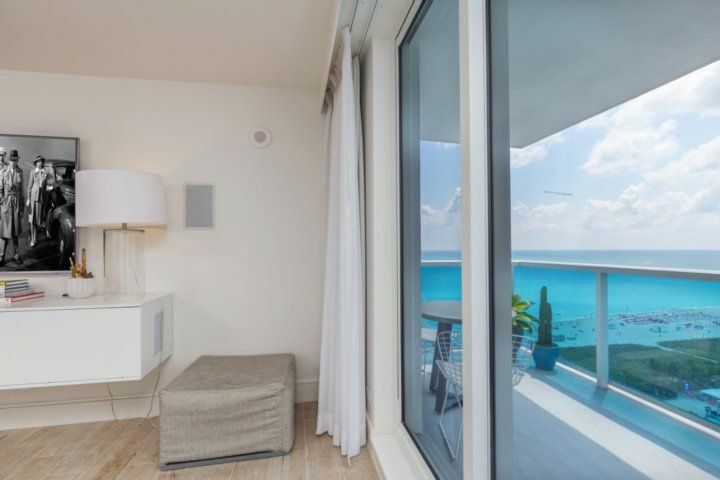 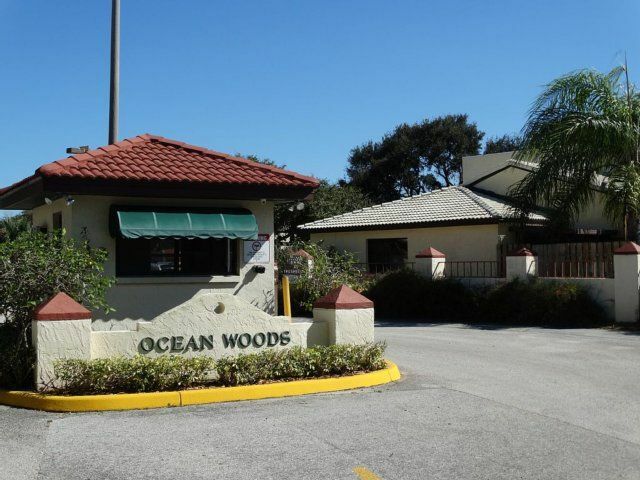 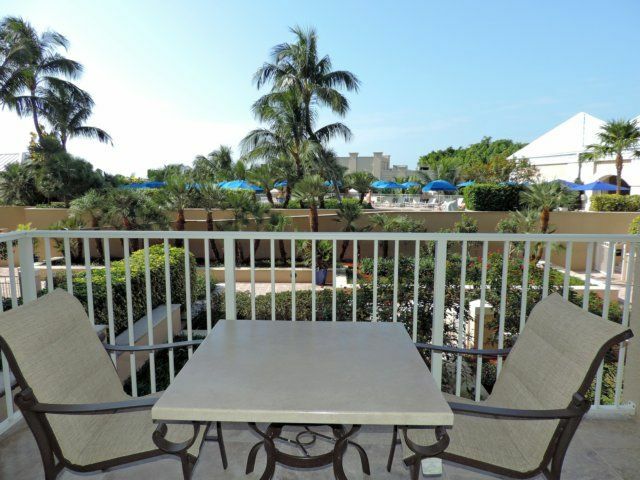 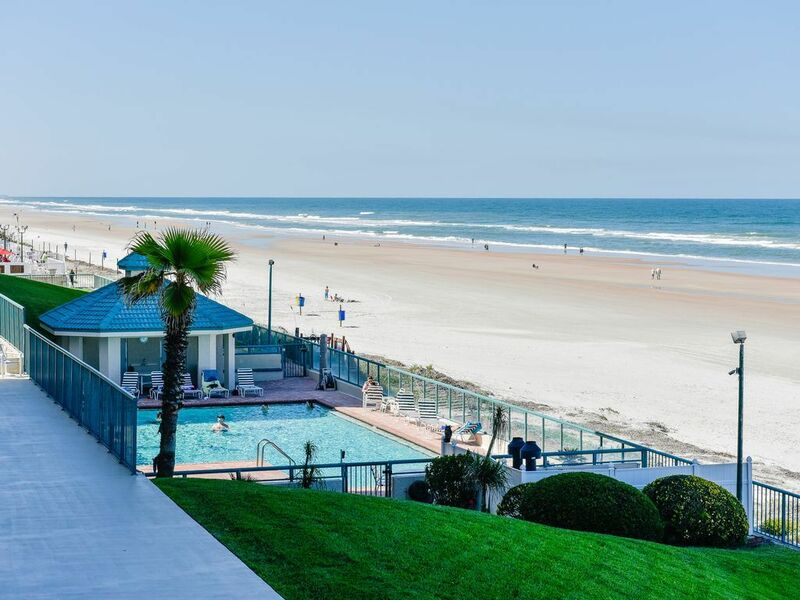 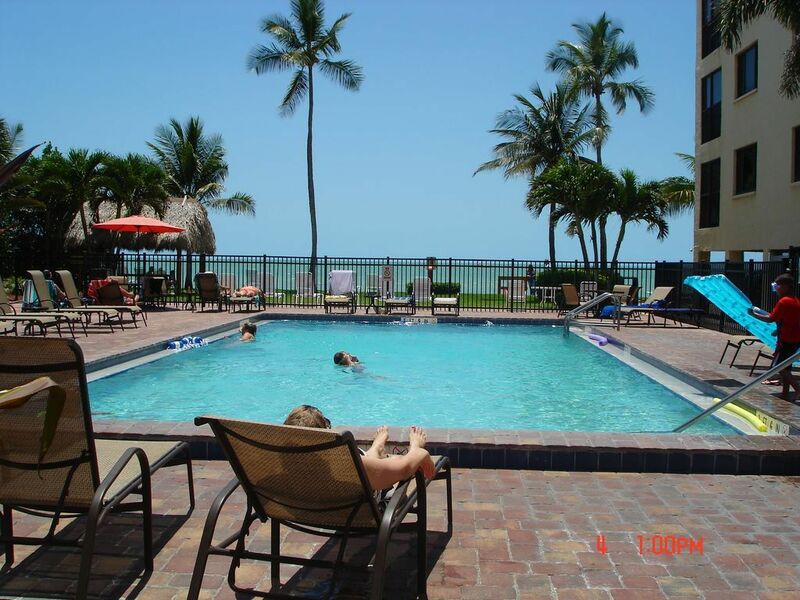 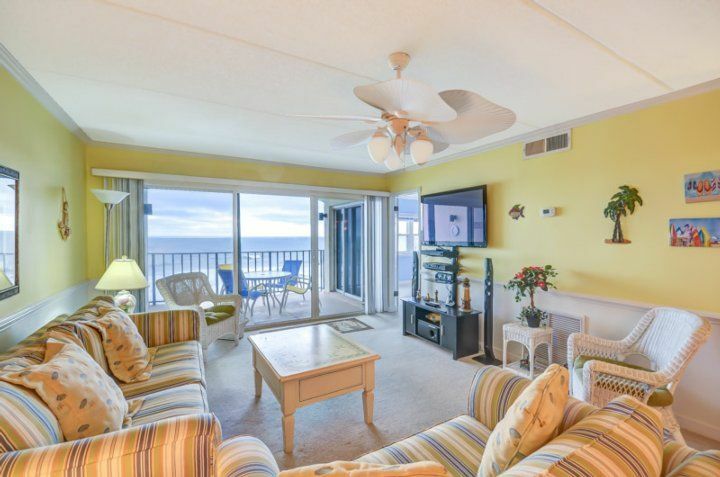 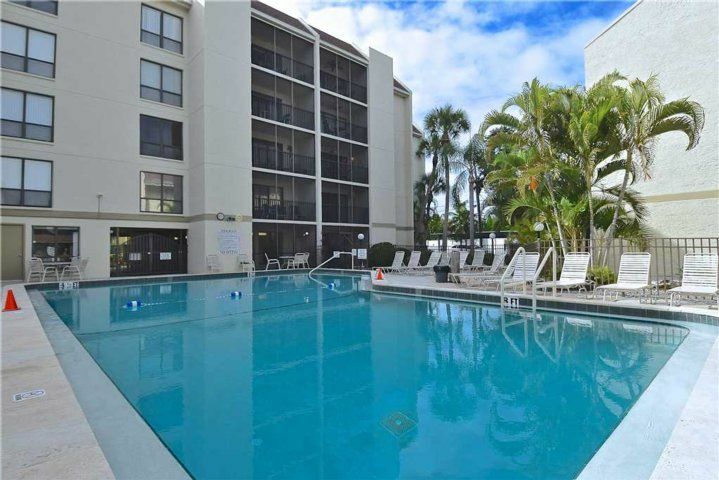 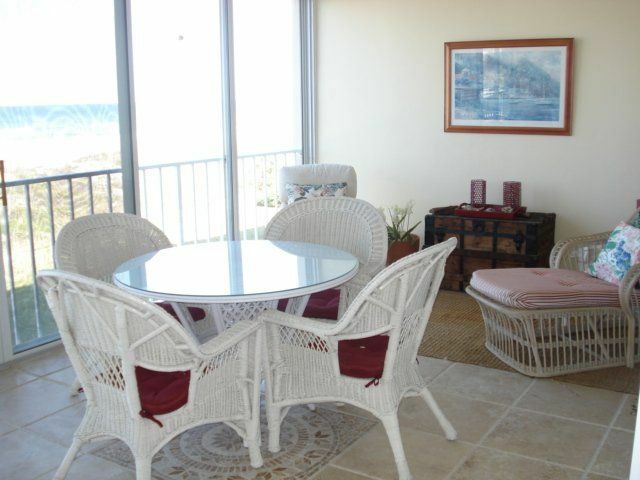 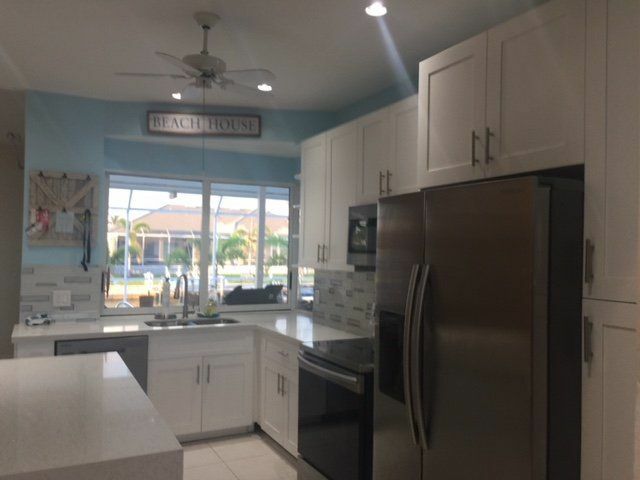 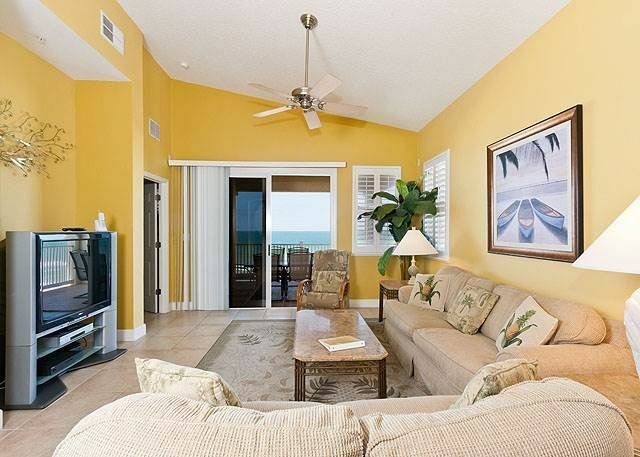 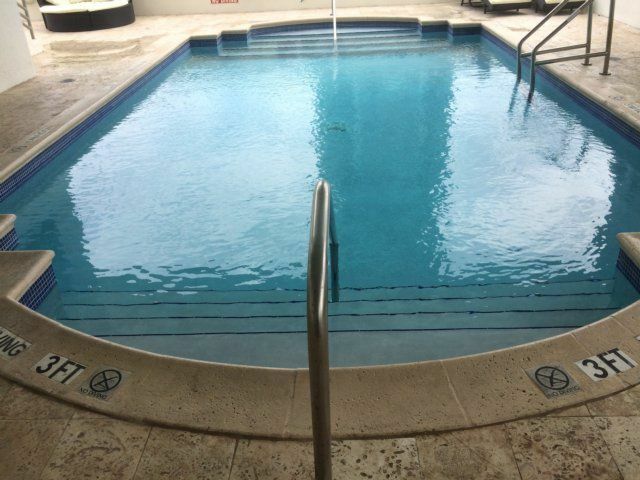 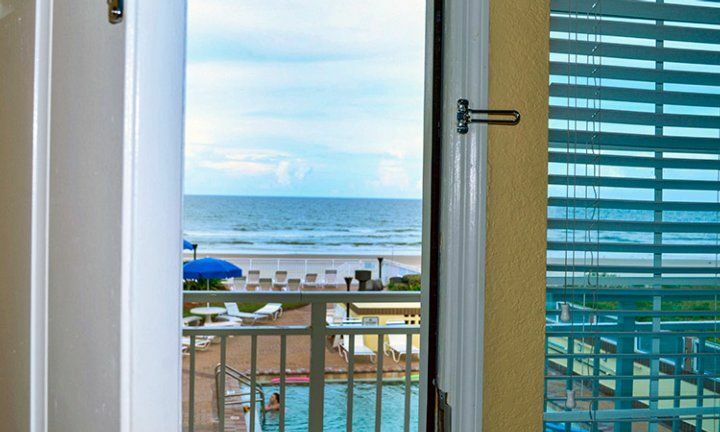 You have found the direct oceanfront condo overlooking both the beach and the pool! 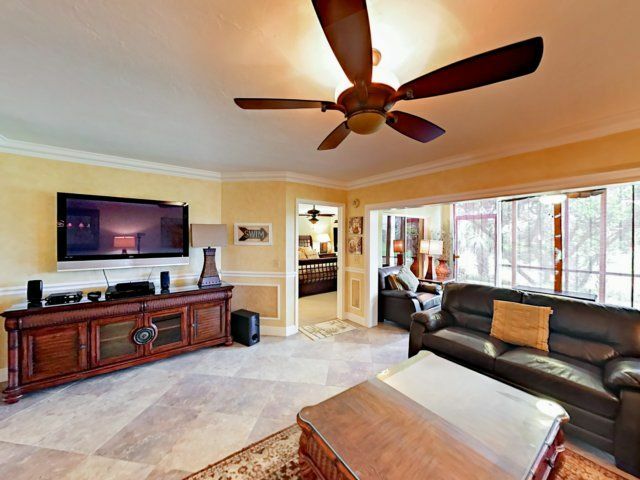 Watch the video tour! 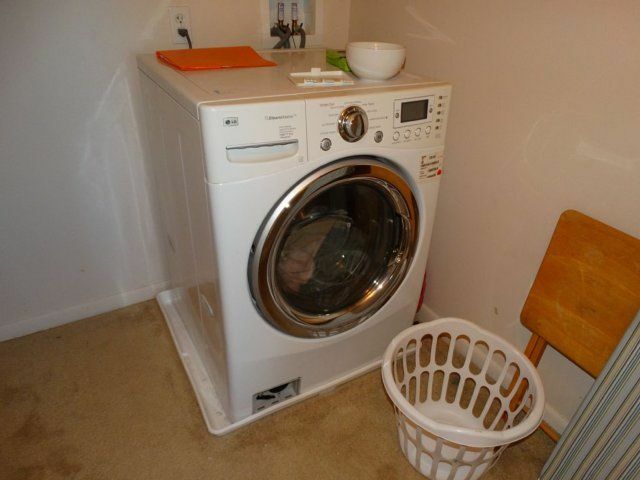 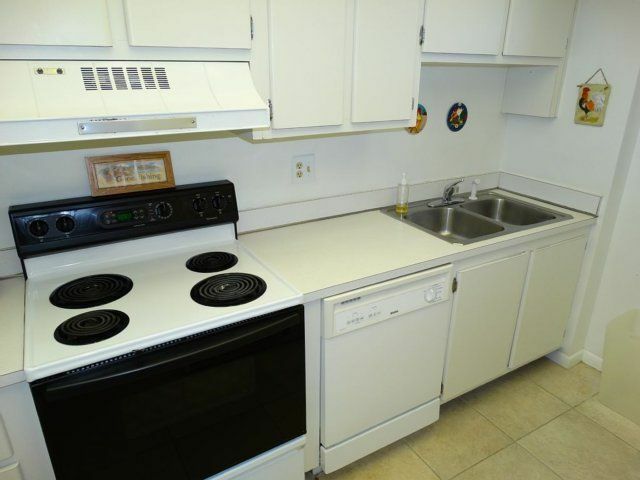 We start low rate per week in fall and on weeks that we lower to that rate. 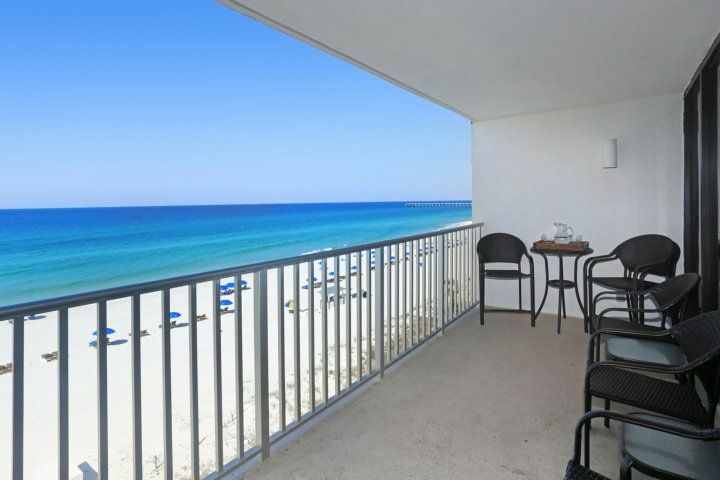 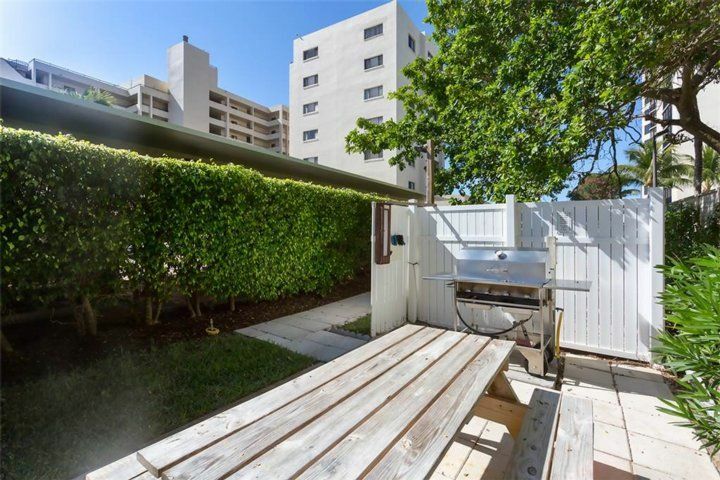 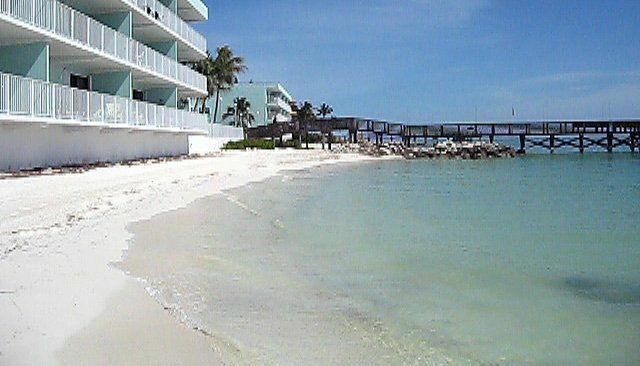 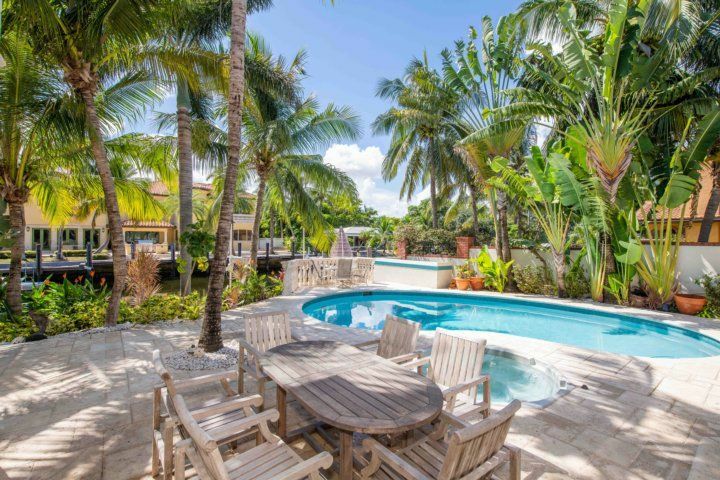 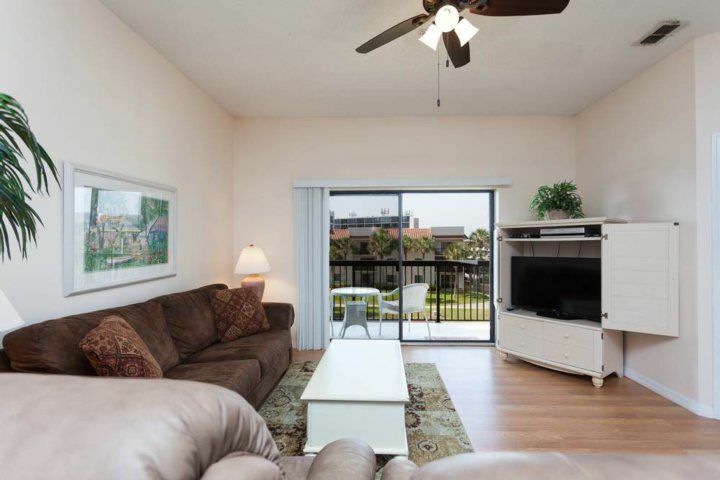 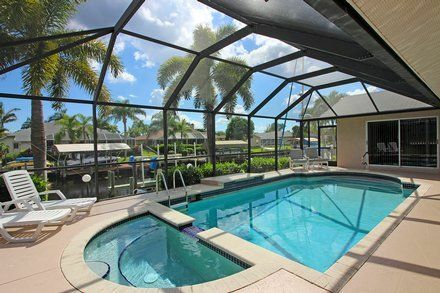 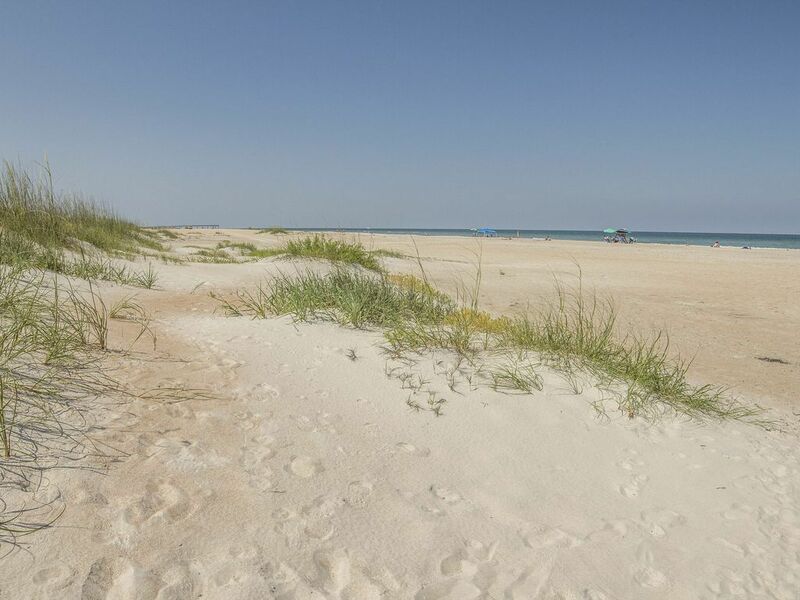 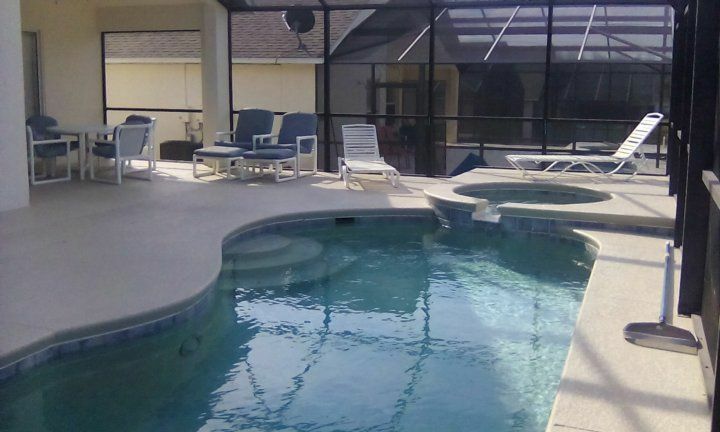 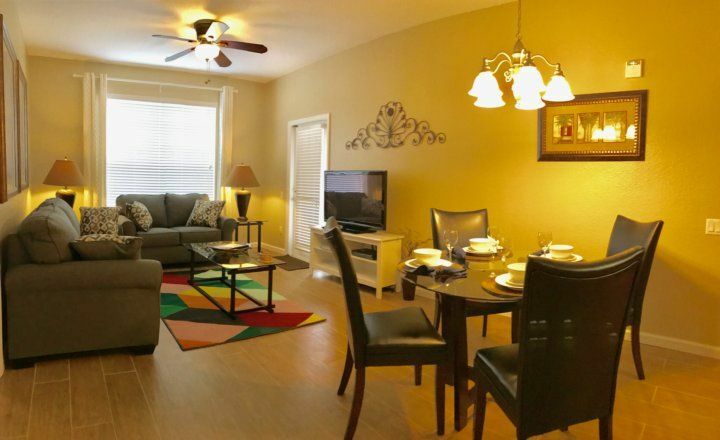 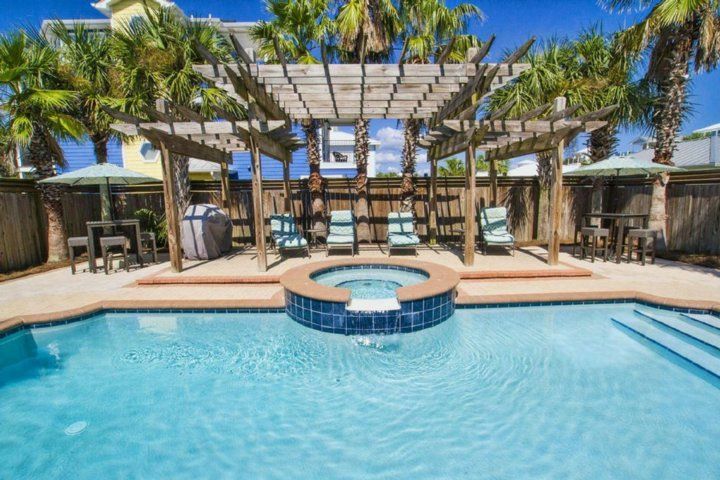 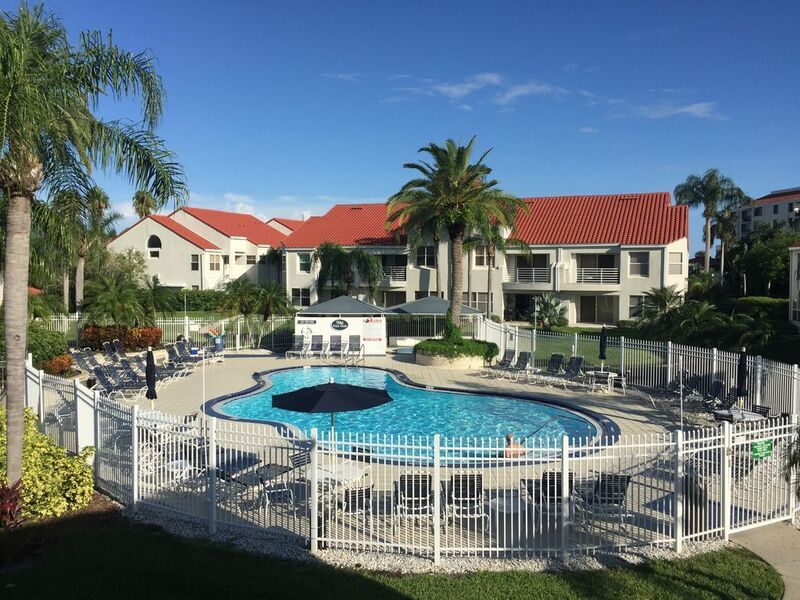 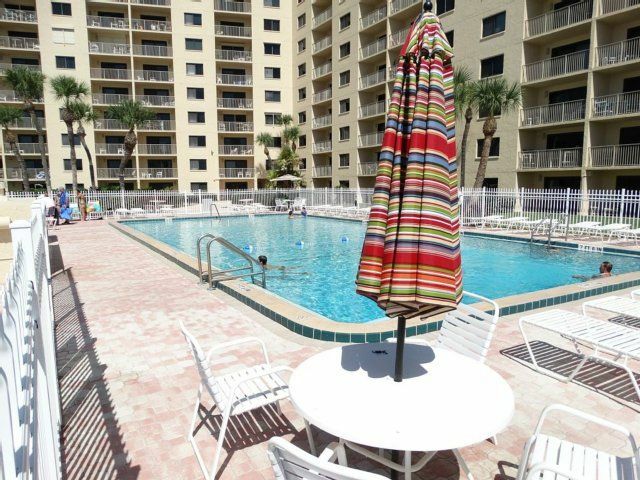 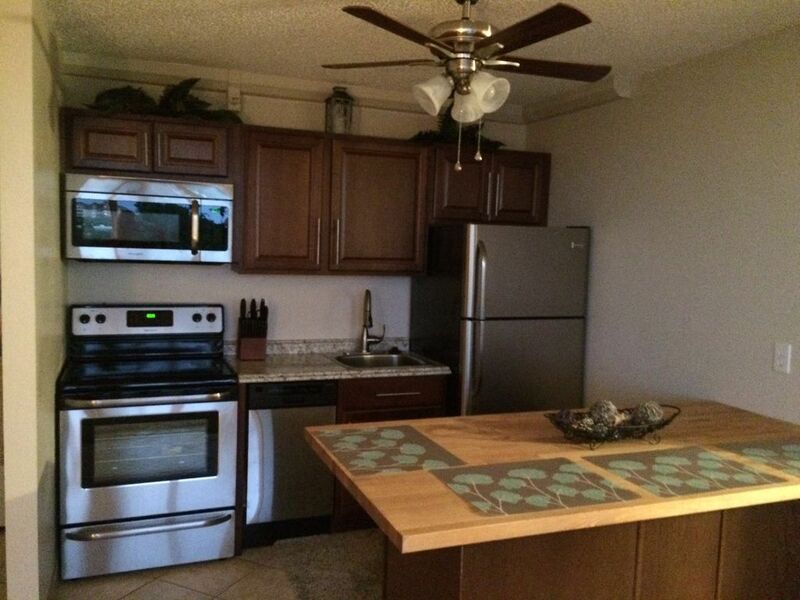 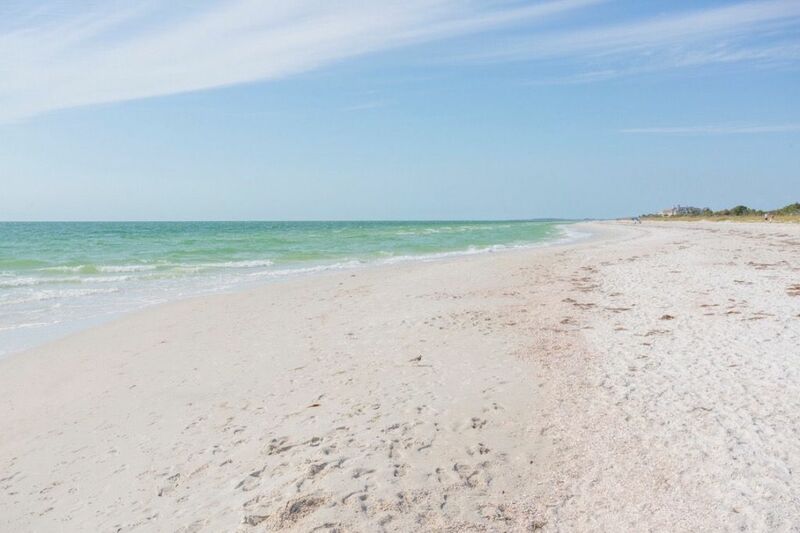 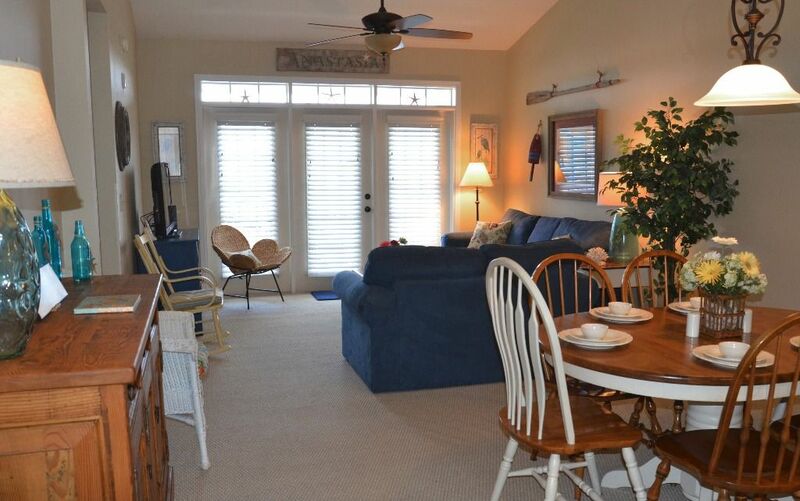 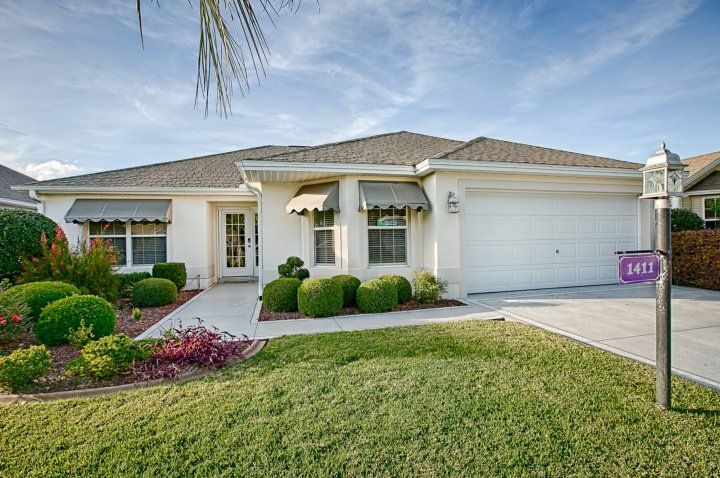 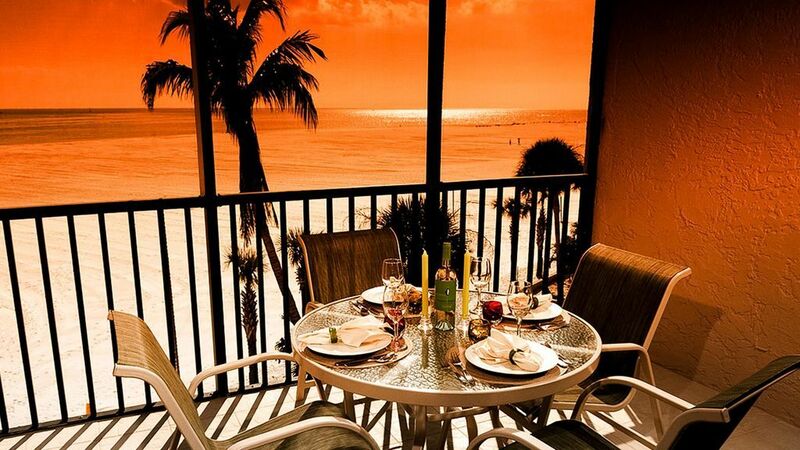 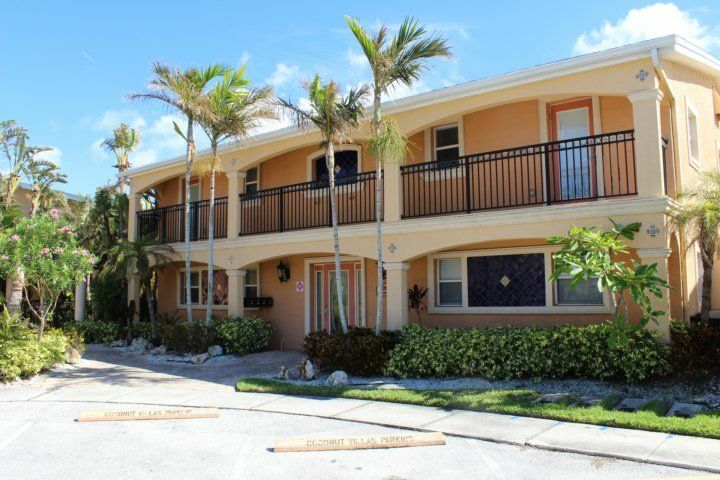 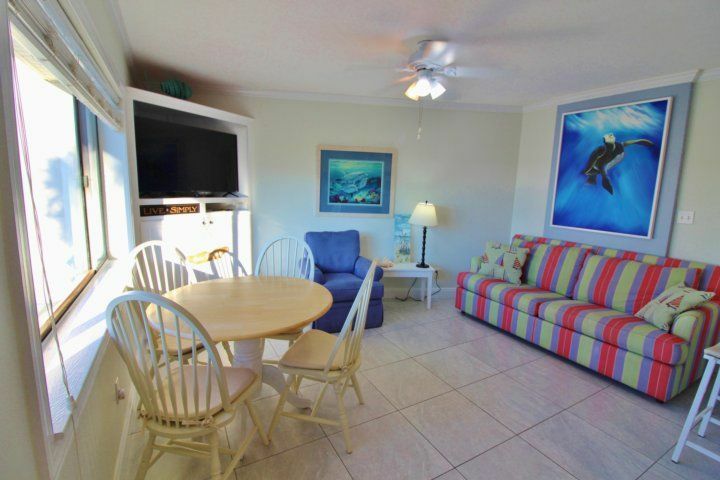 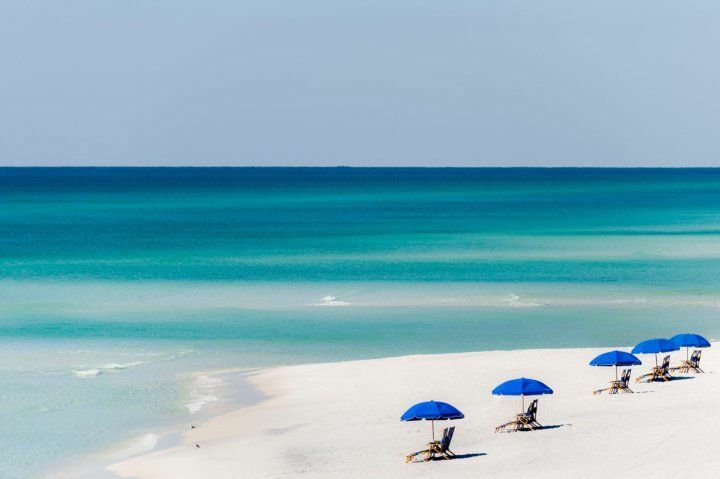 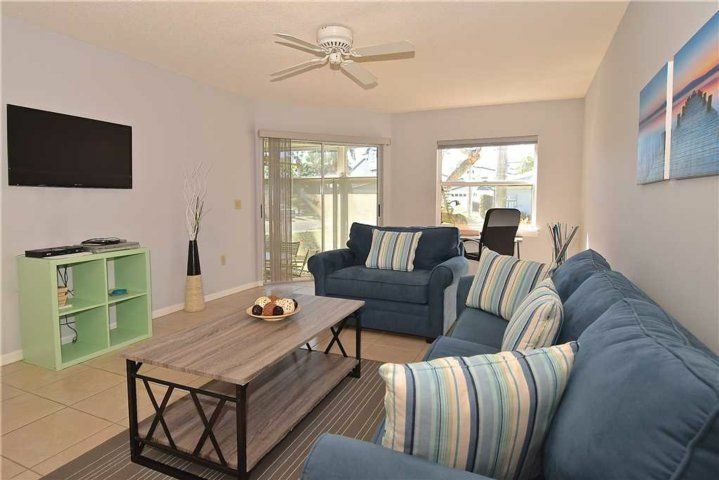 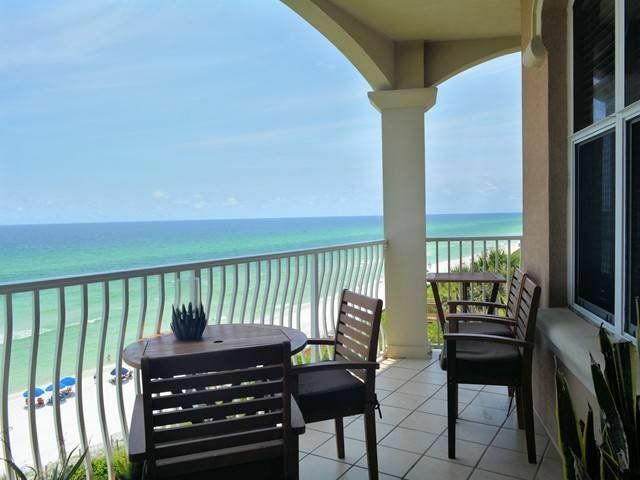 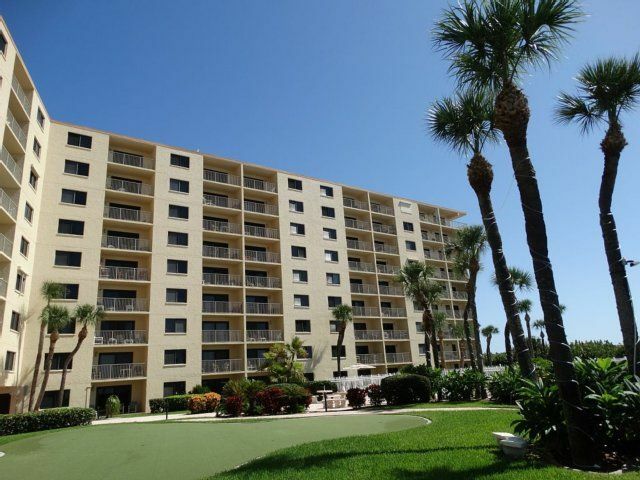 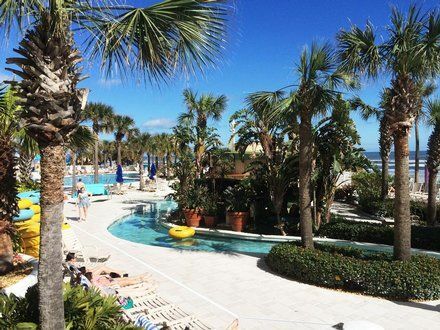 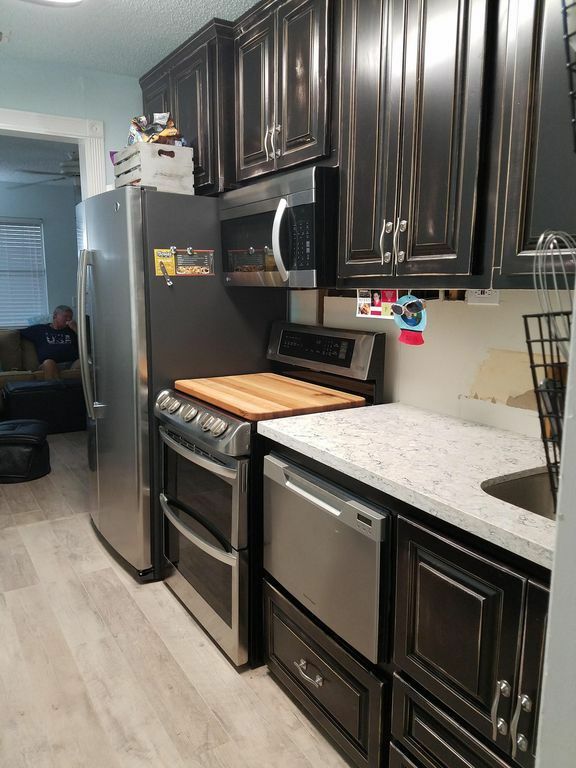 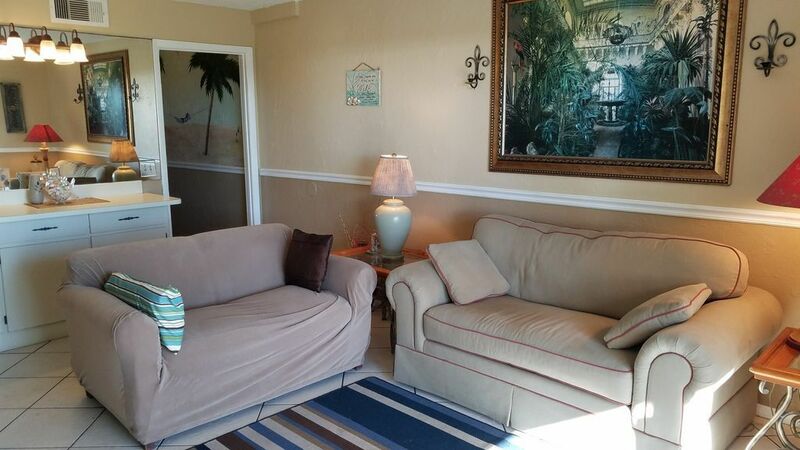 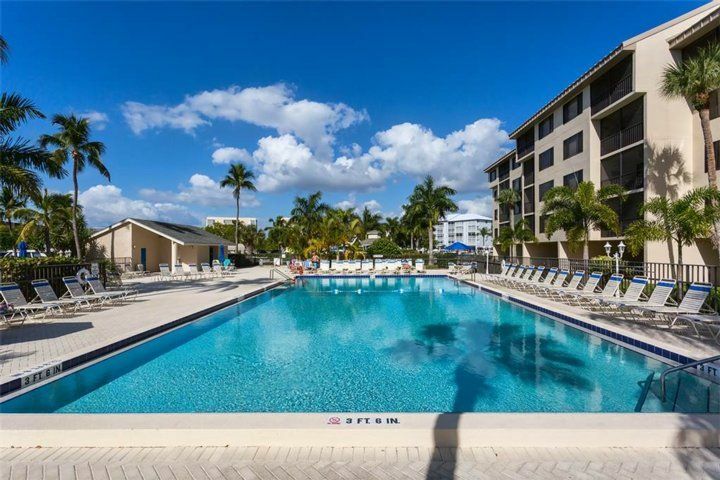 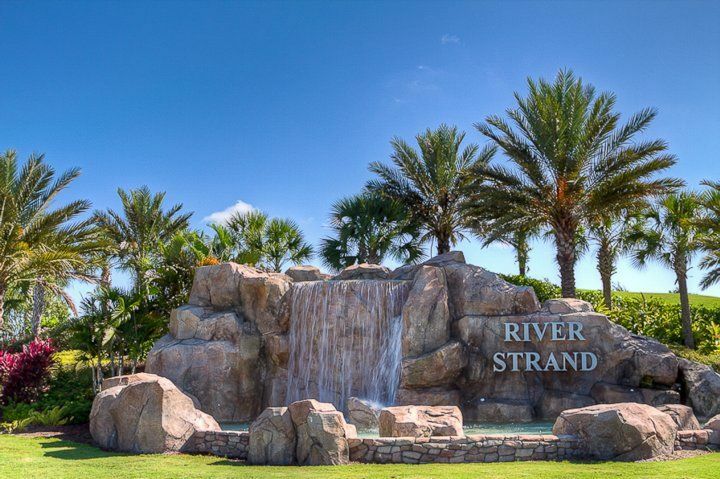 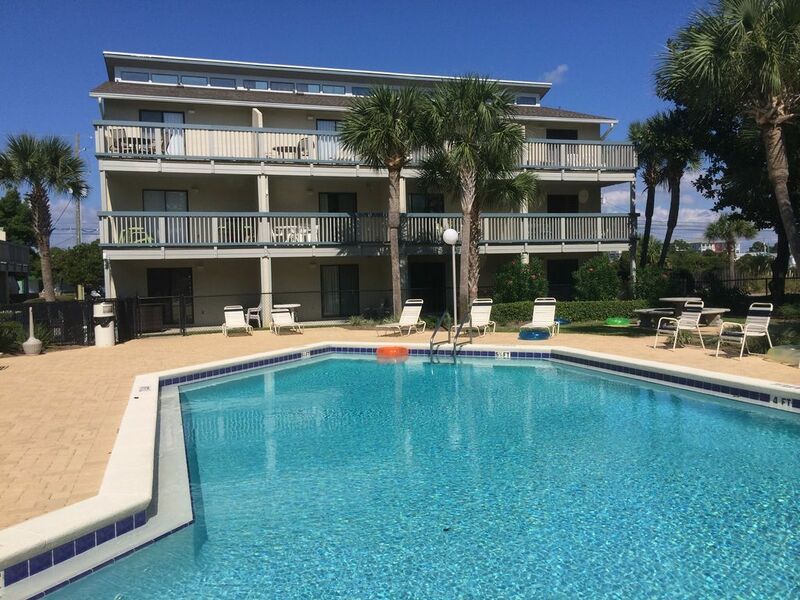 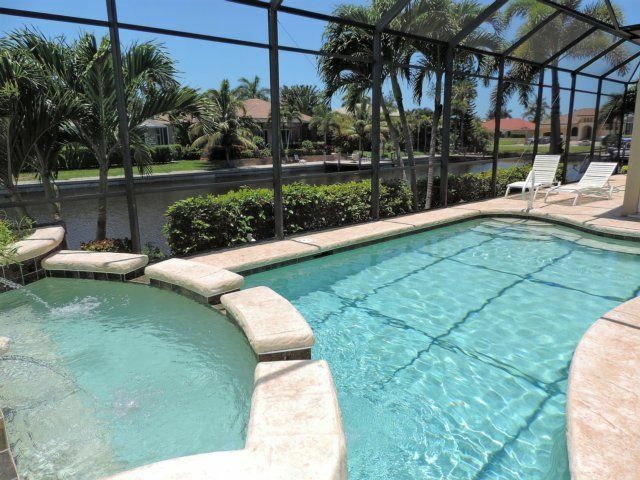 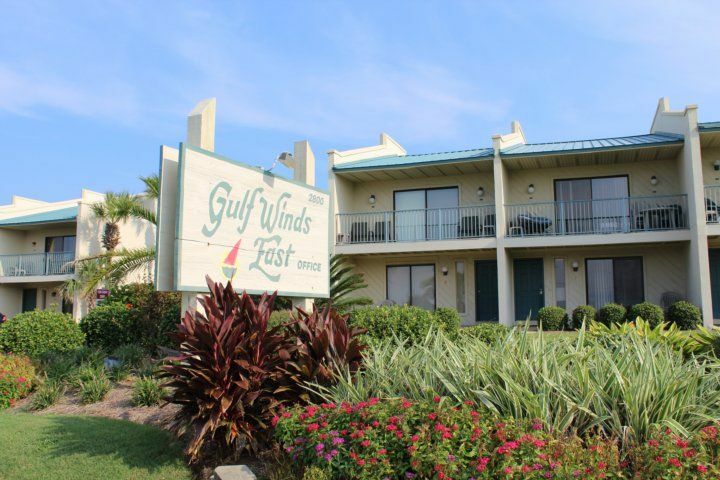 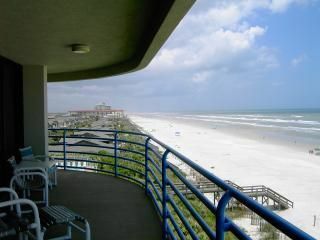 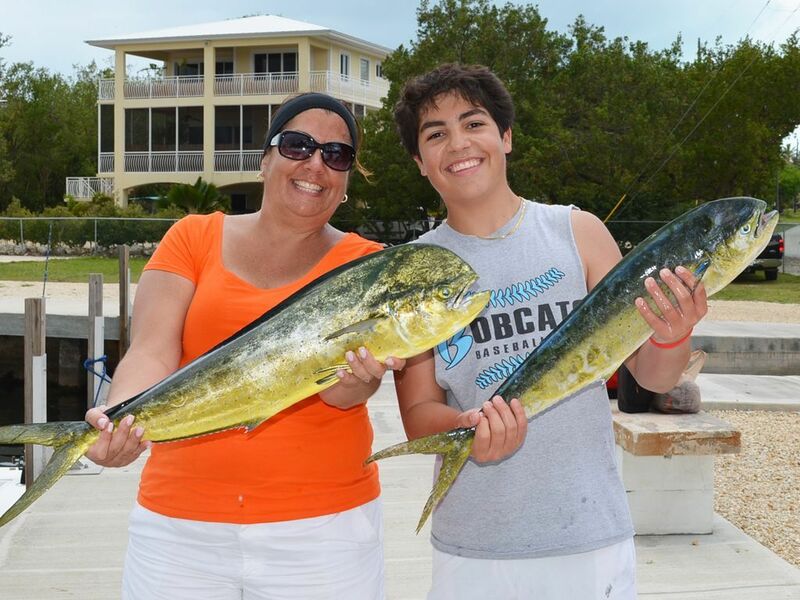 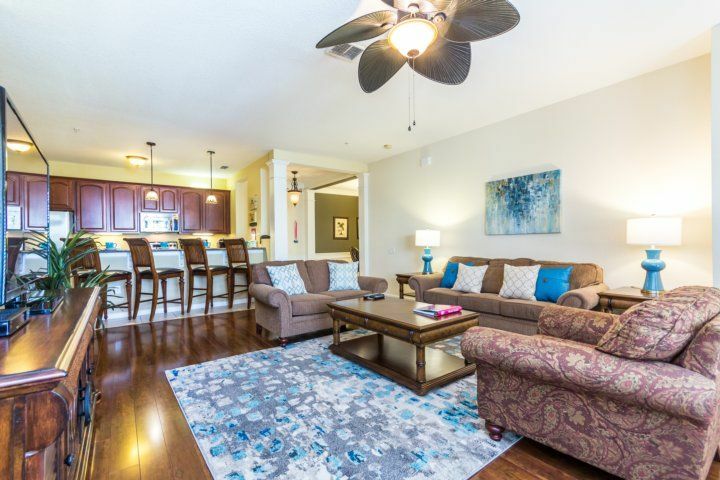 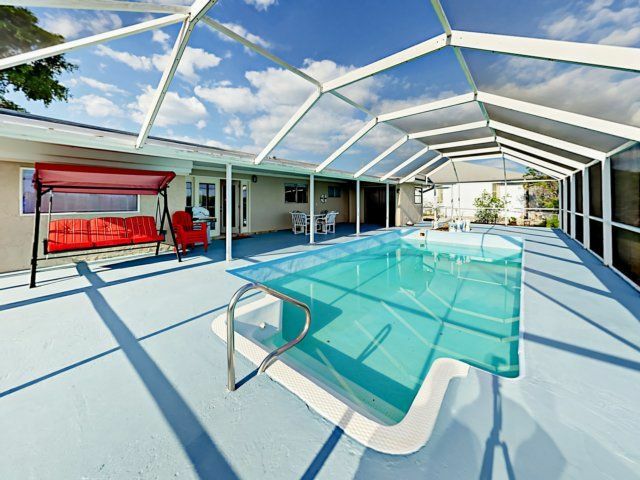 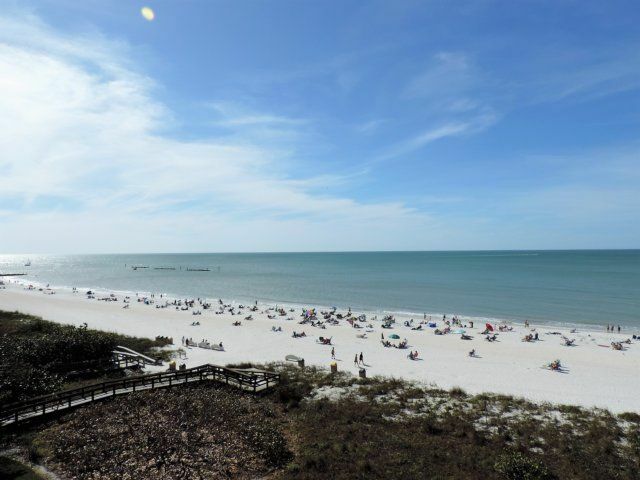 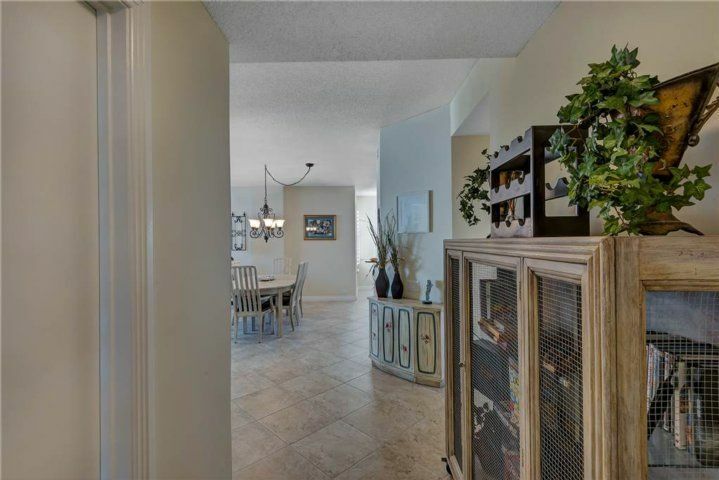 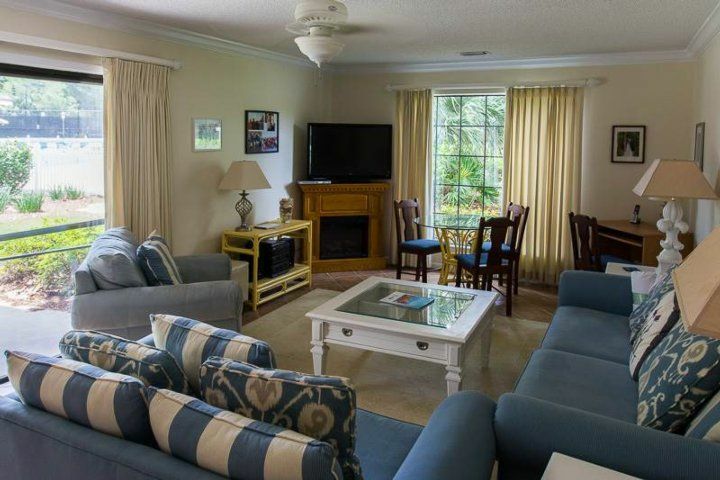 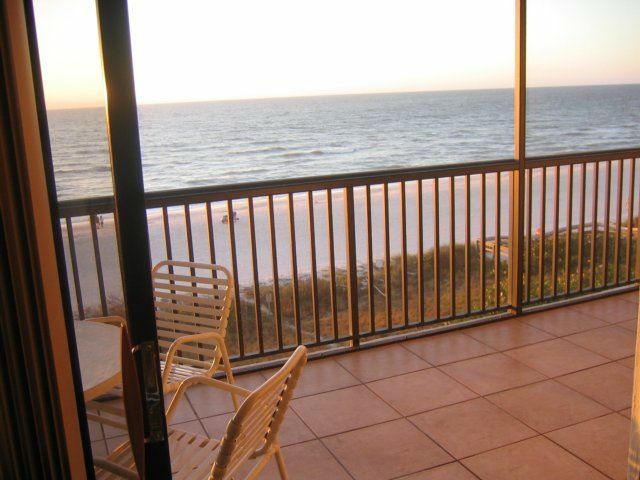 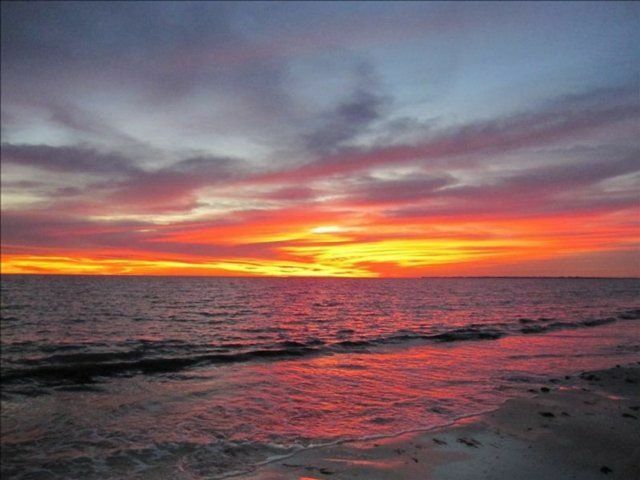 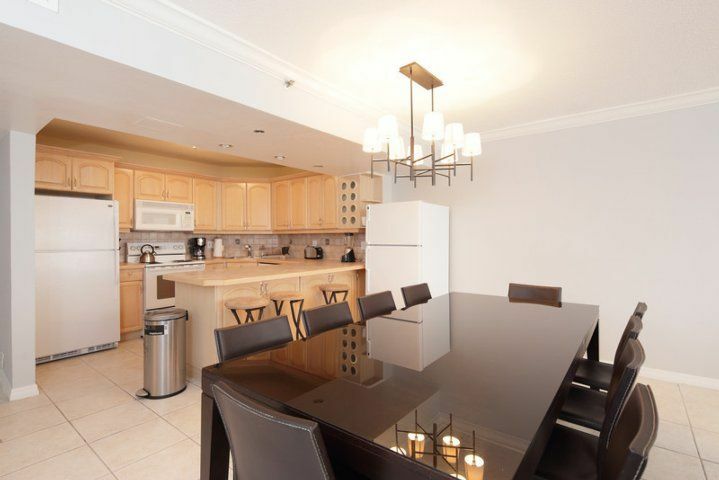 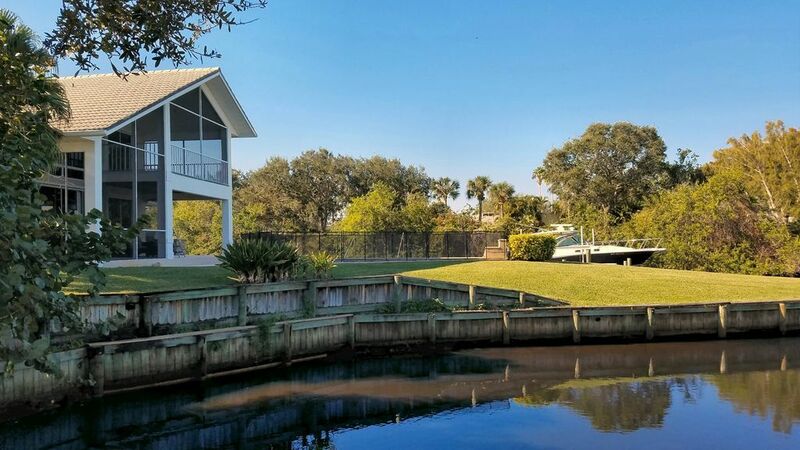 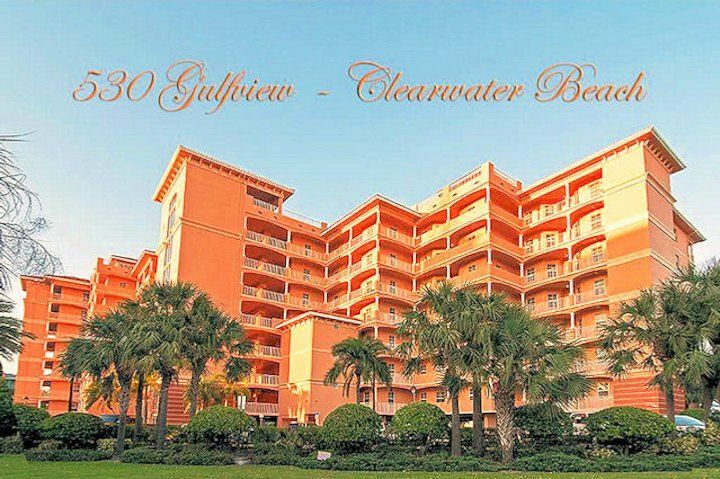 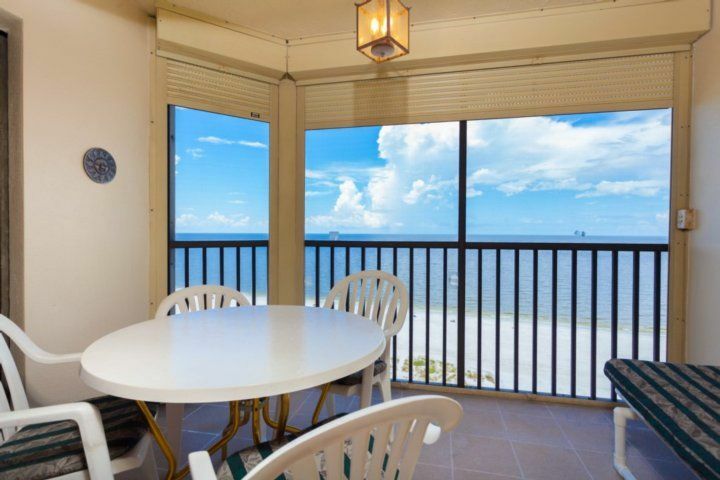 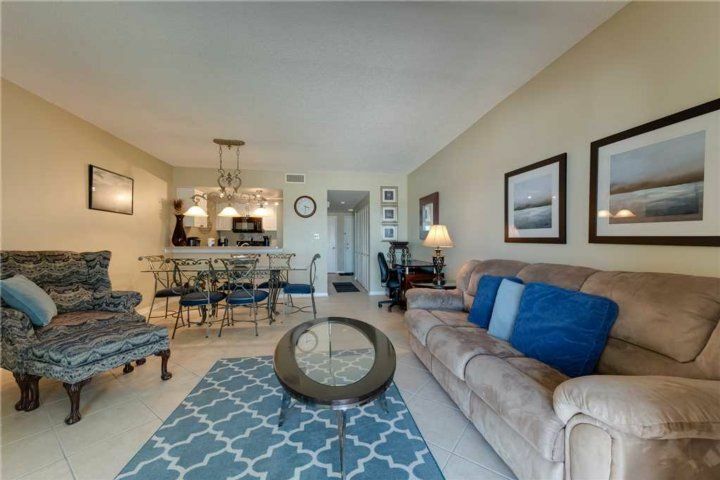 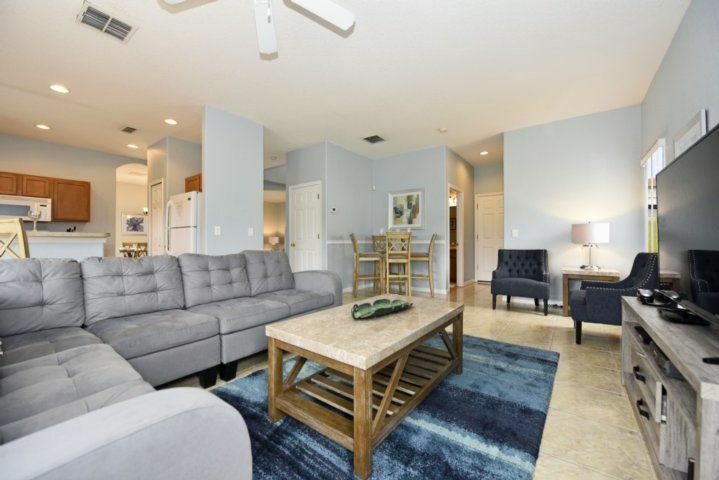 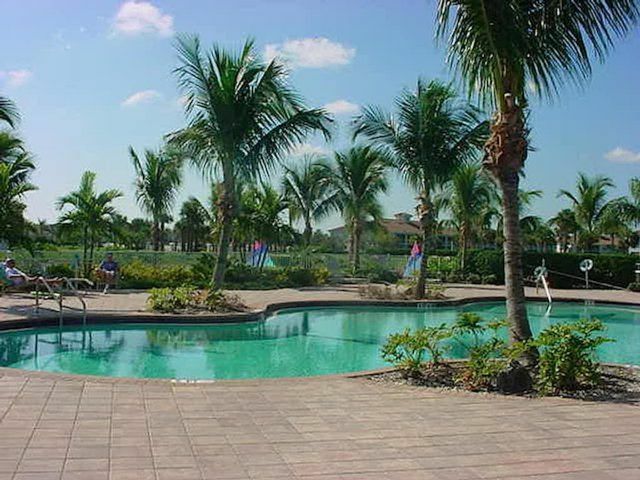 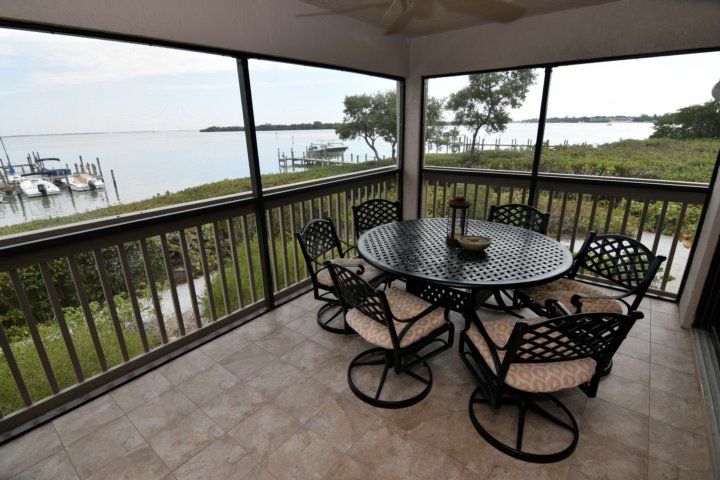 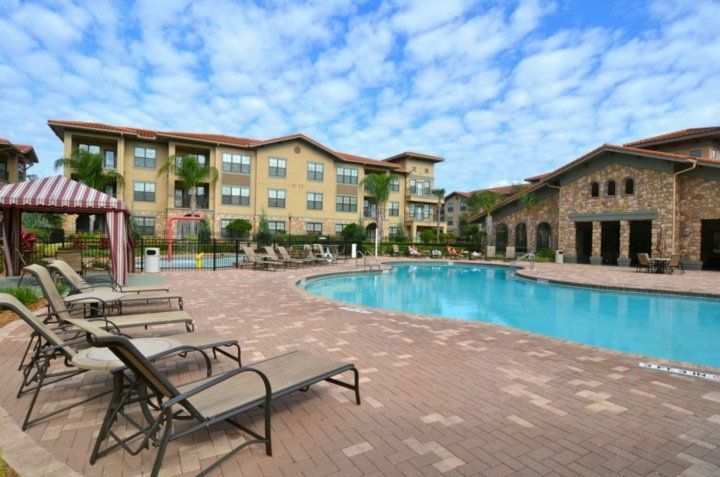 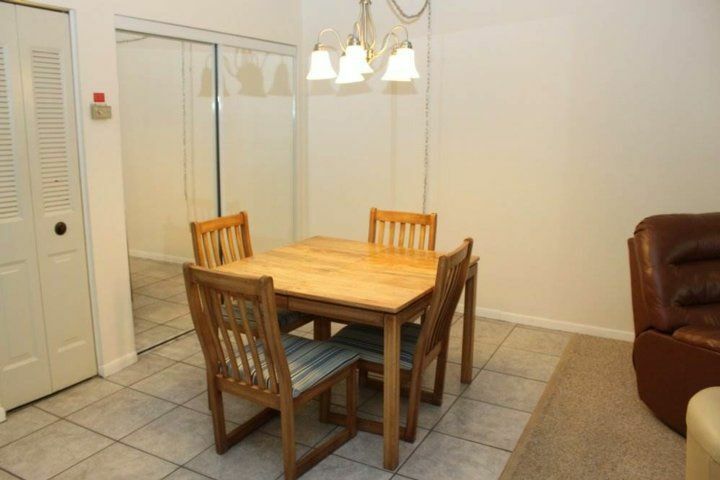 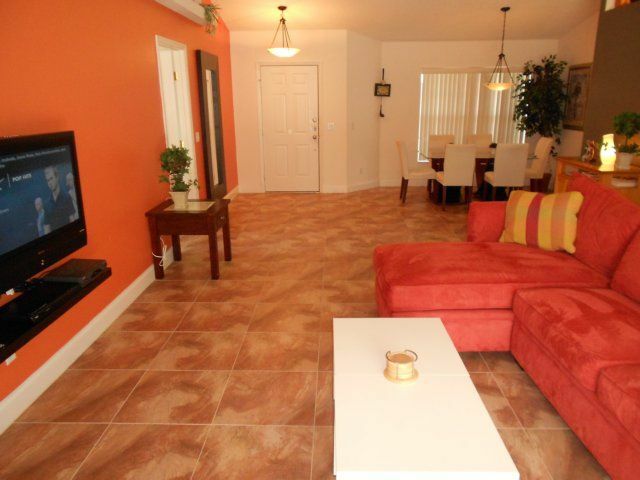 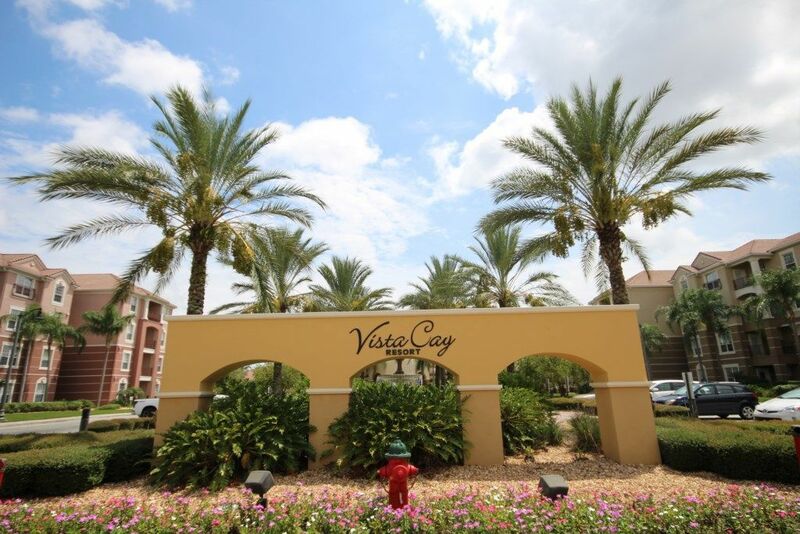 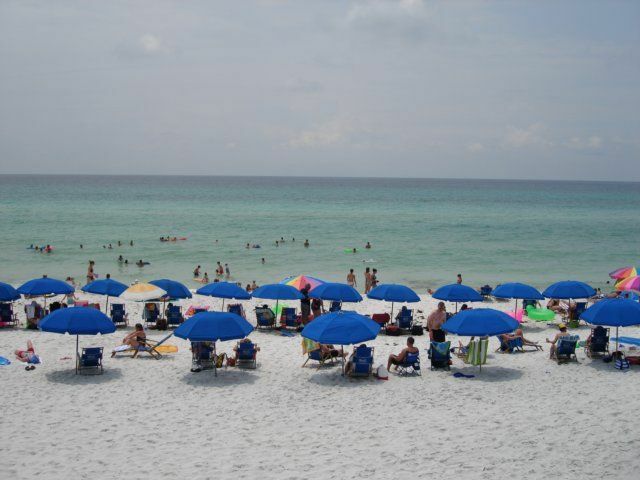 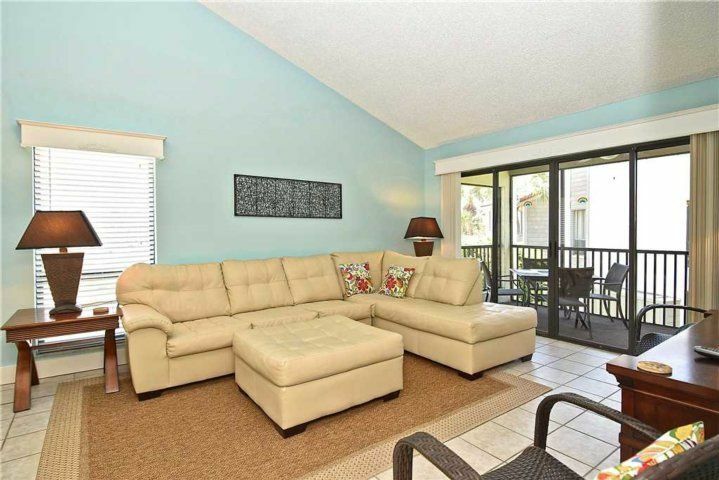 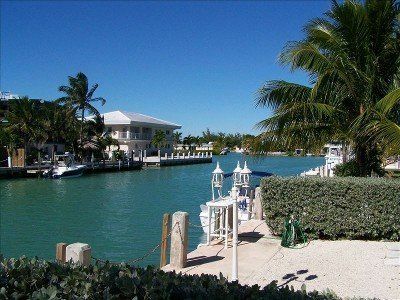 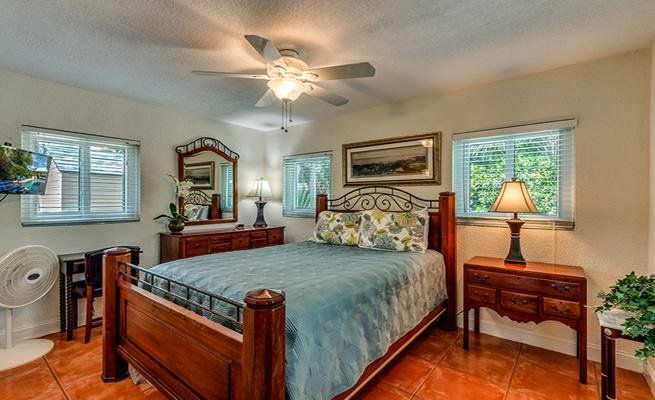 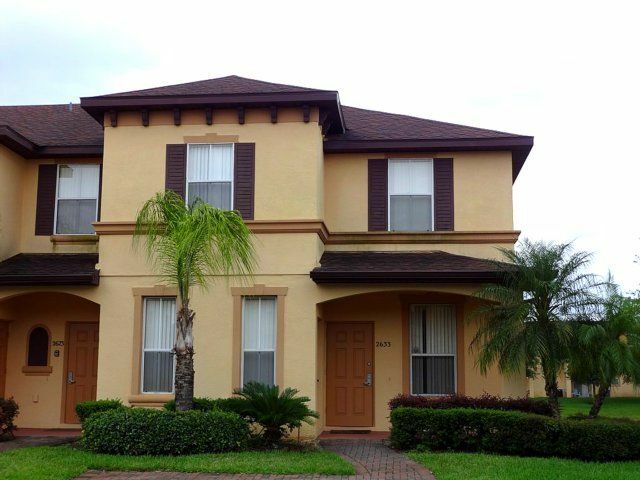 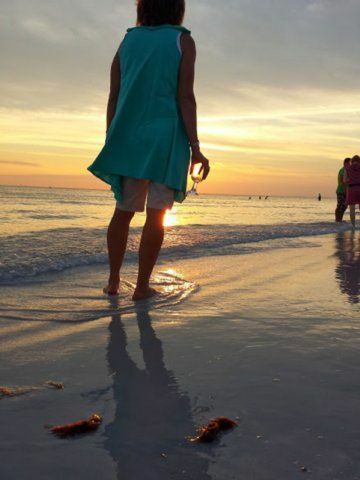 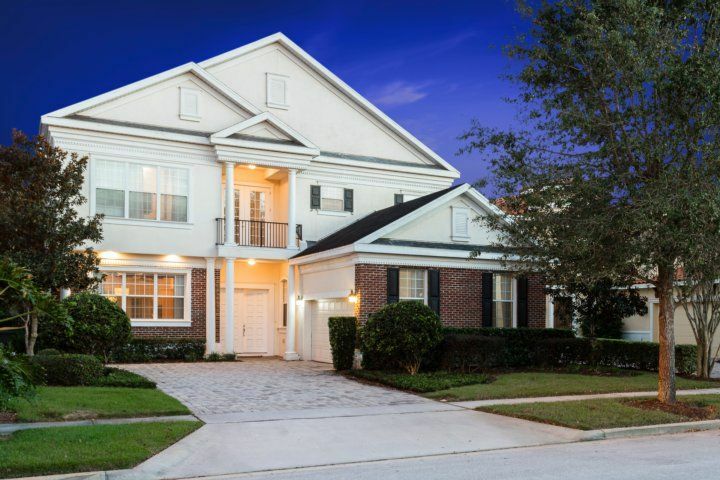 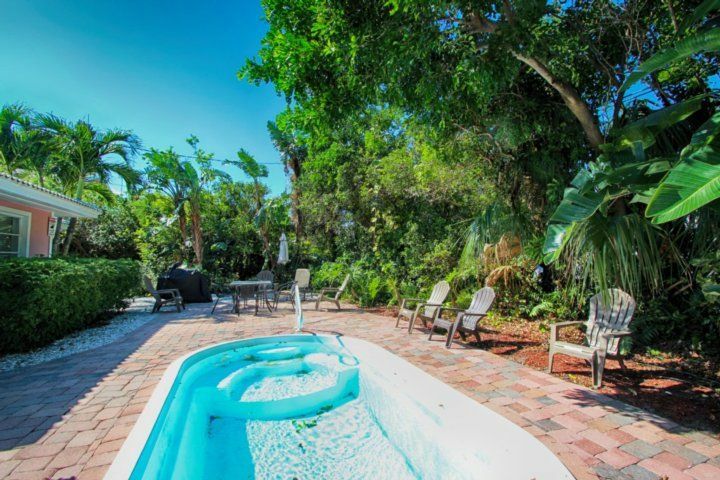 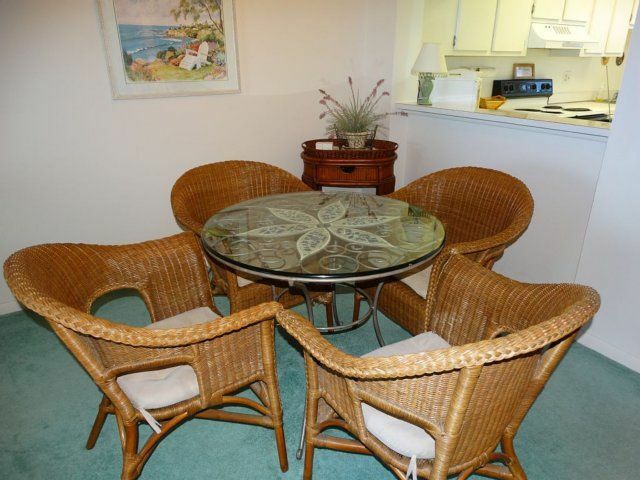 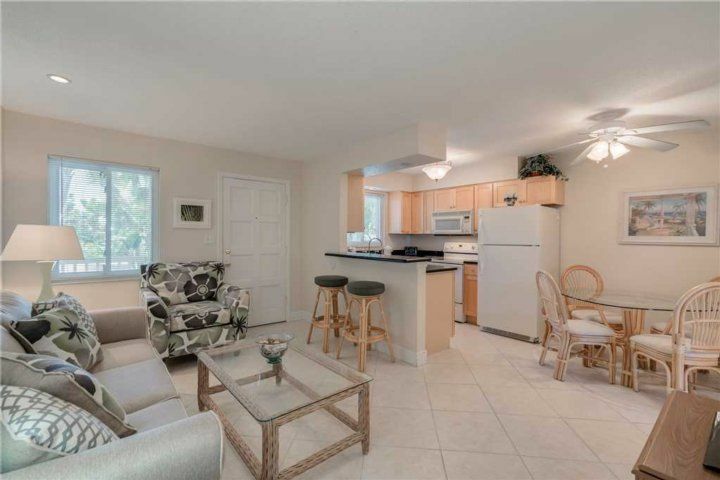 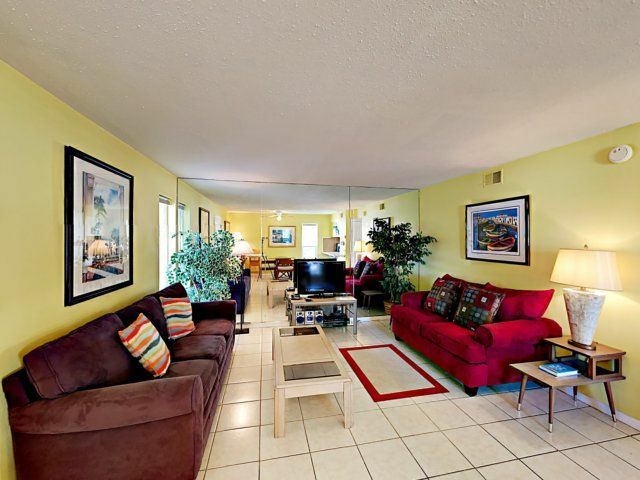 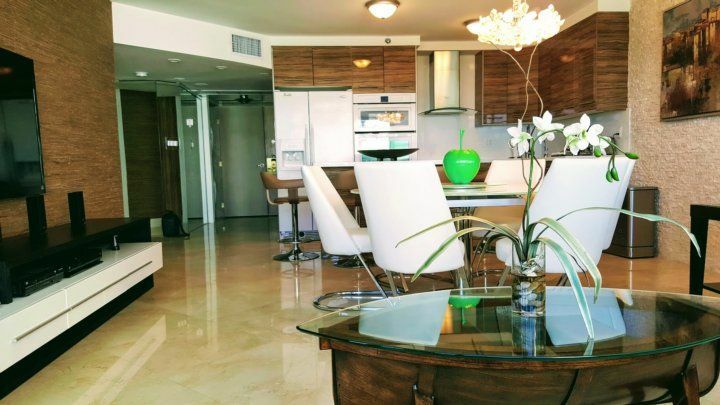 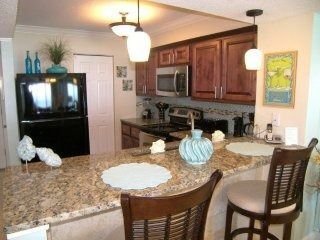 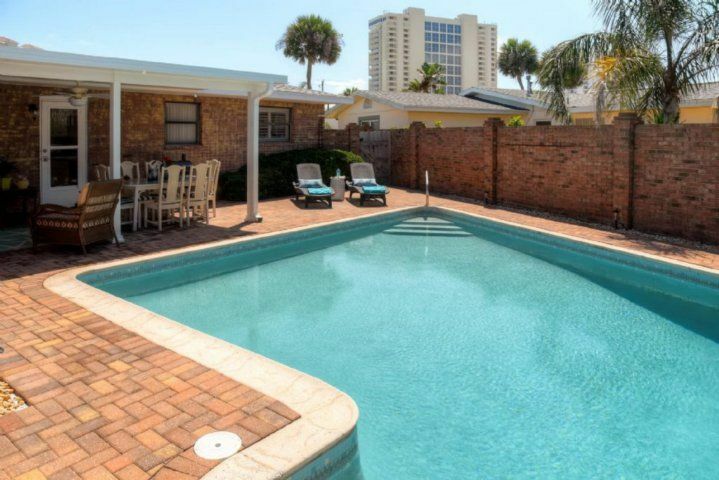 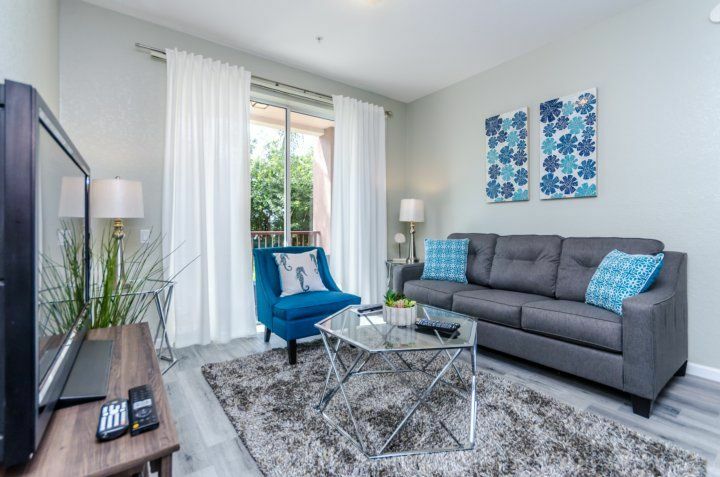 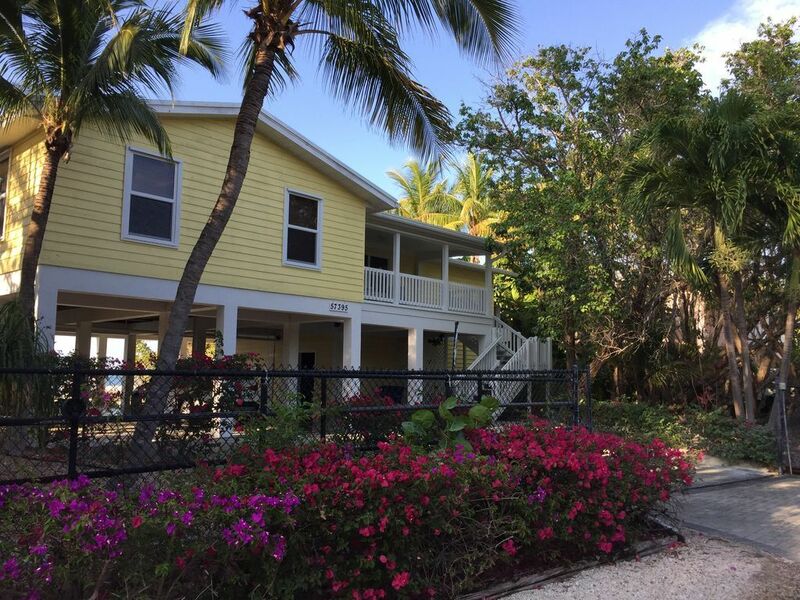 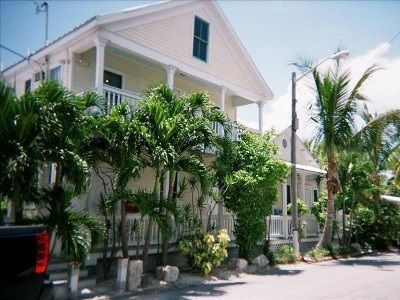 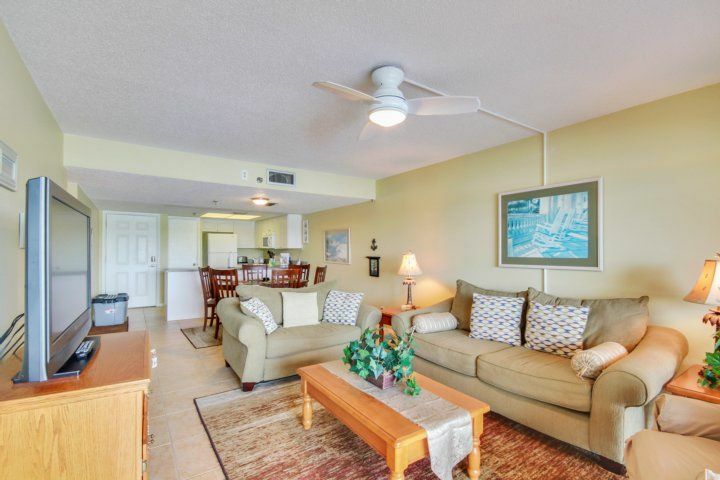 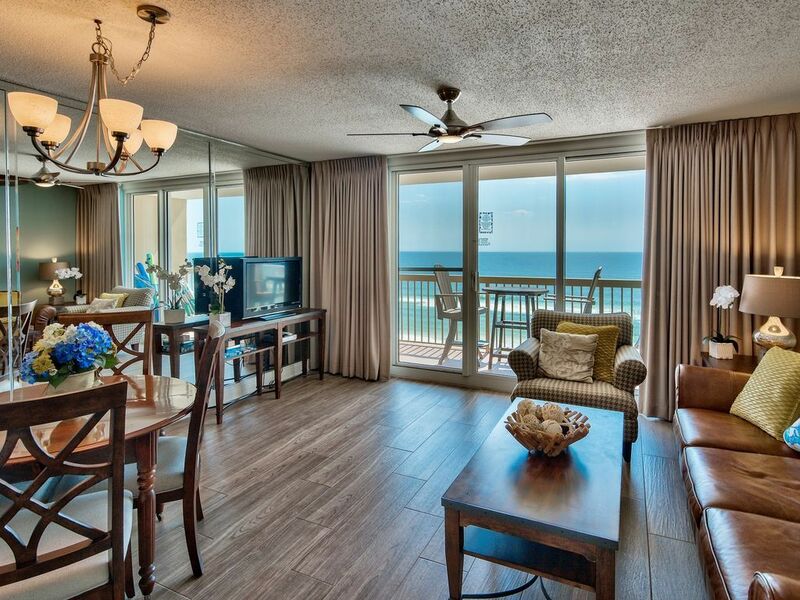 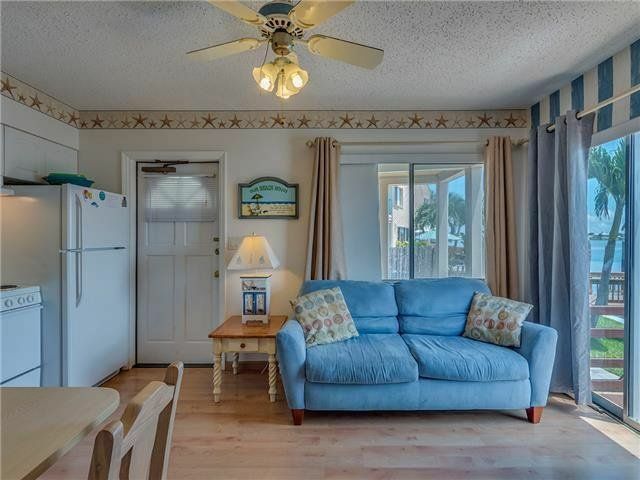 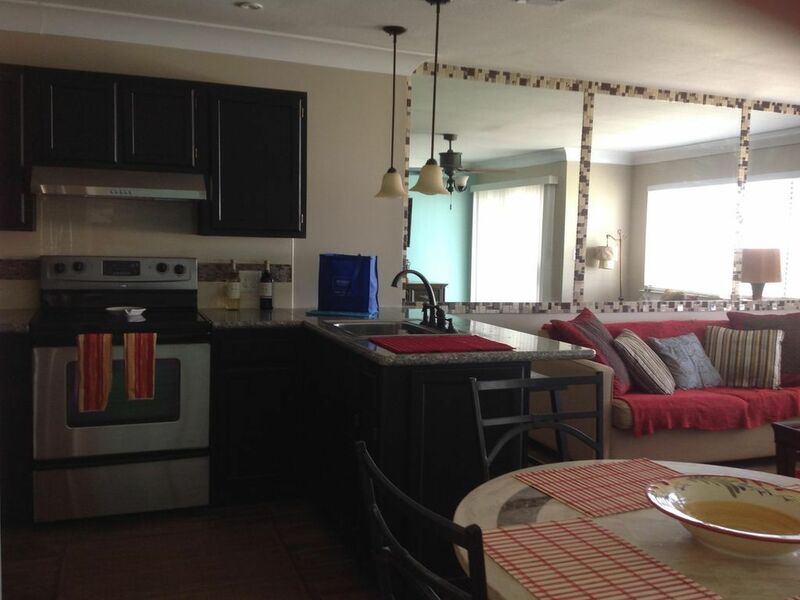 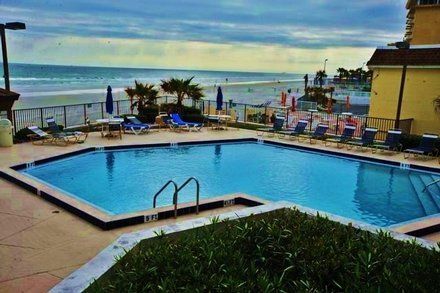 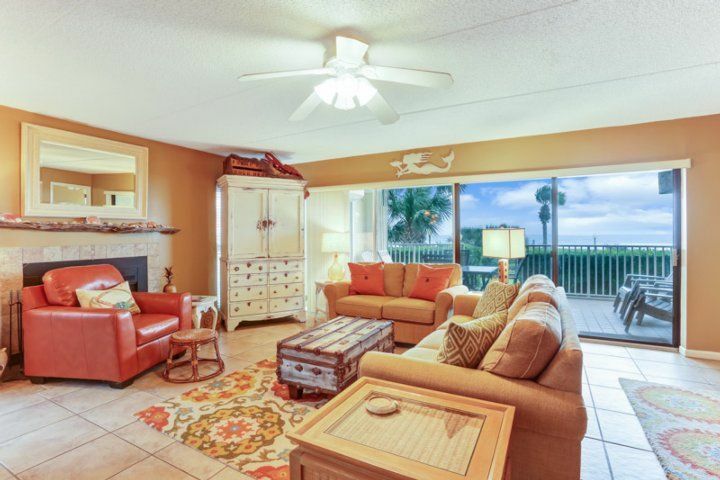 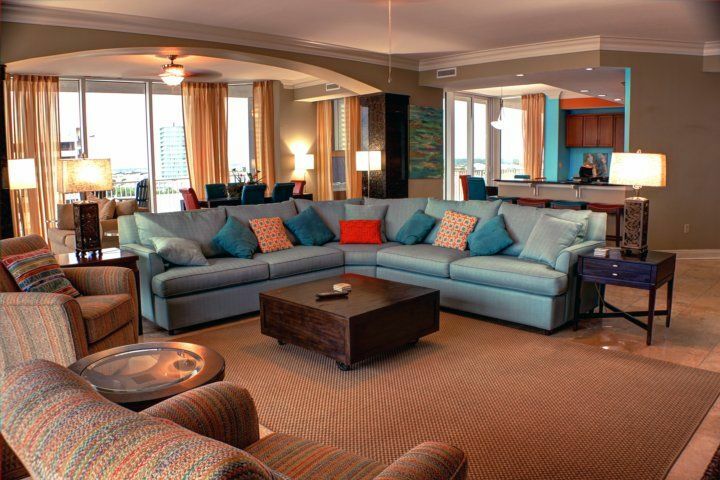 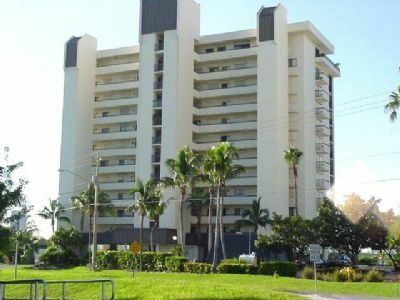 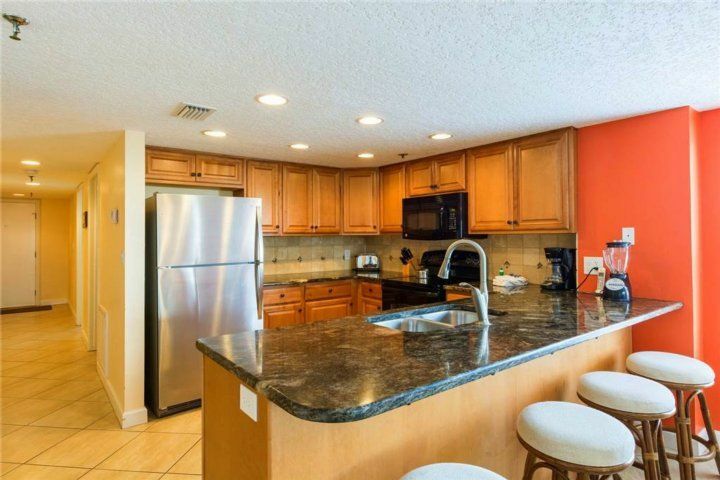 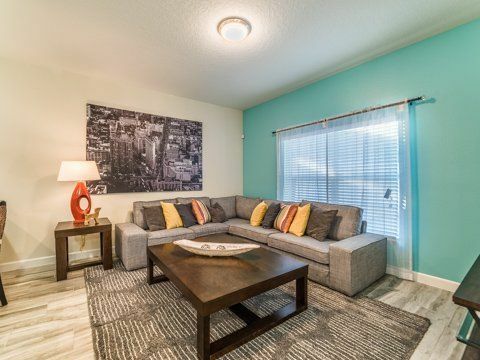 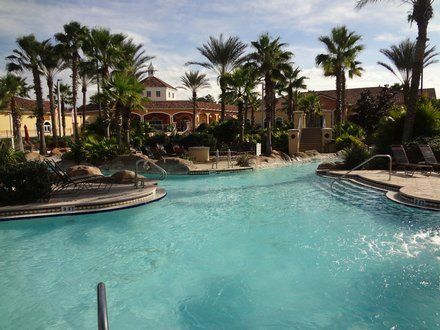 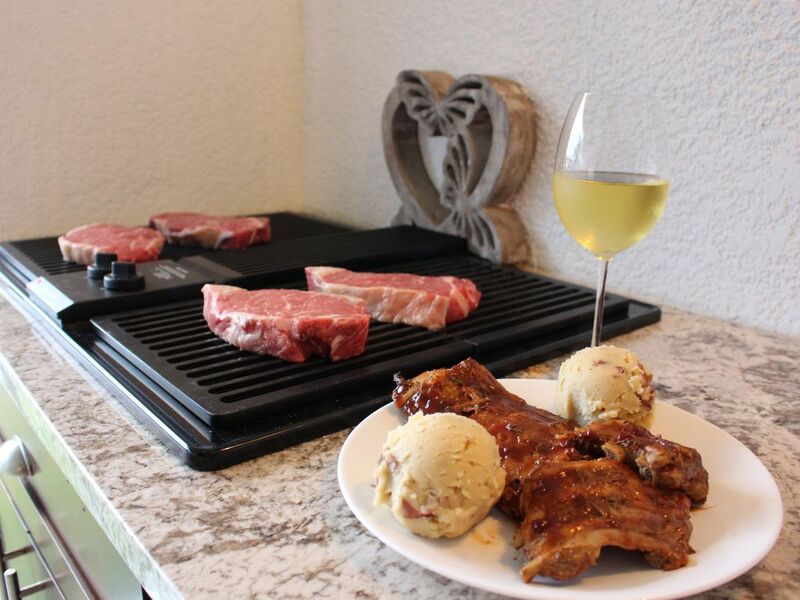 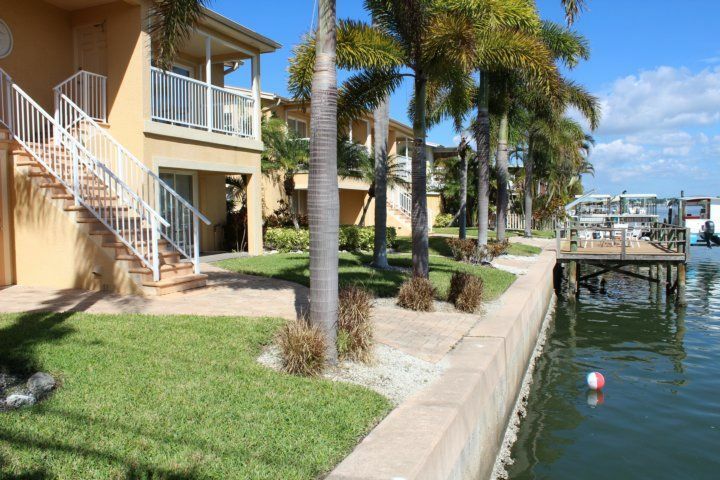 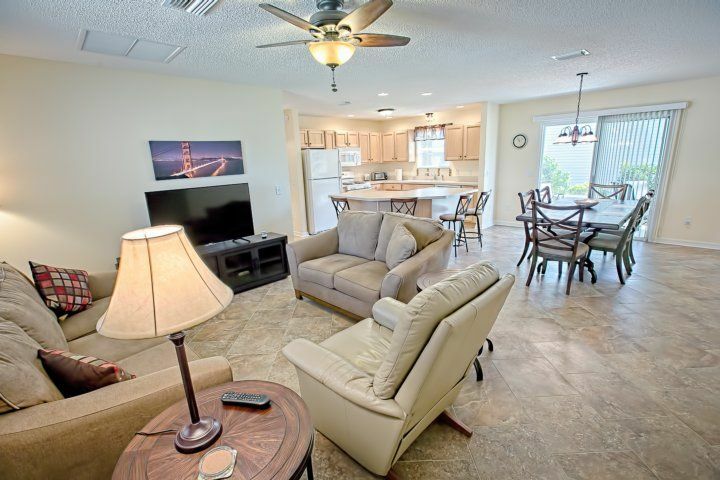 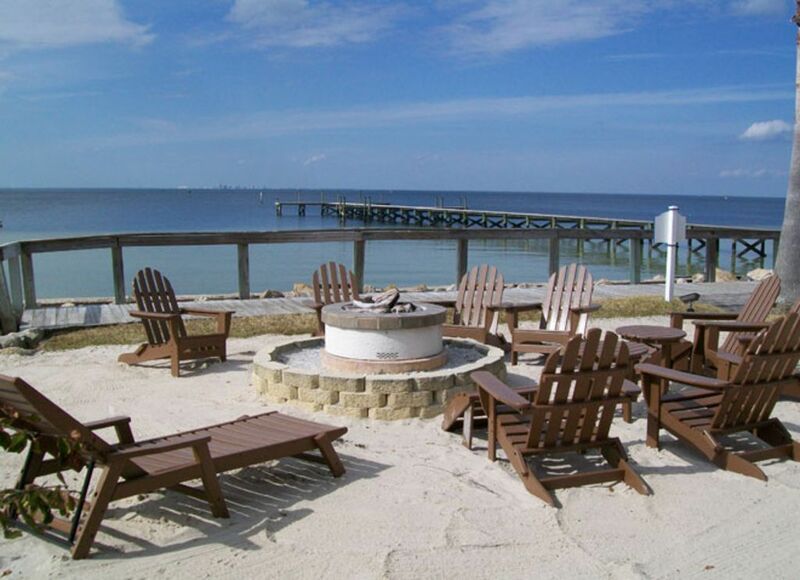 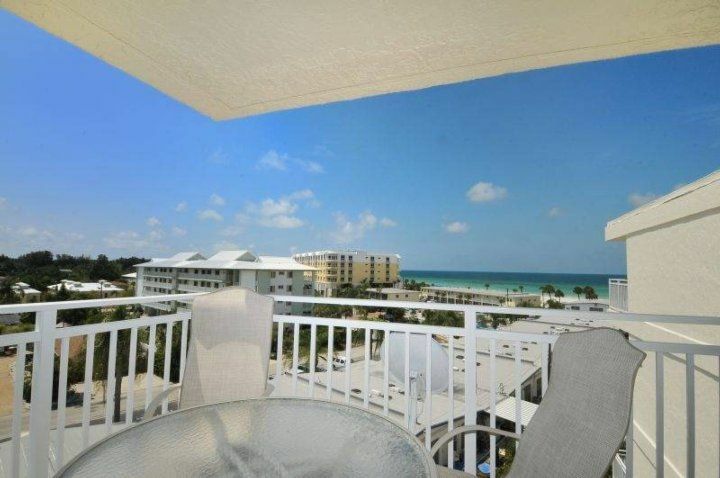 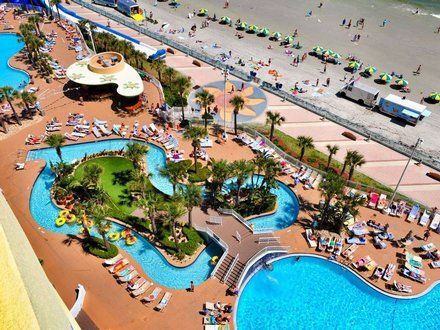 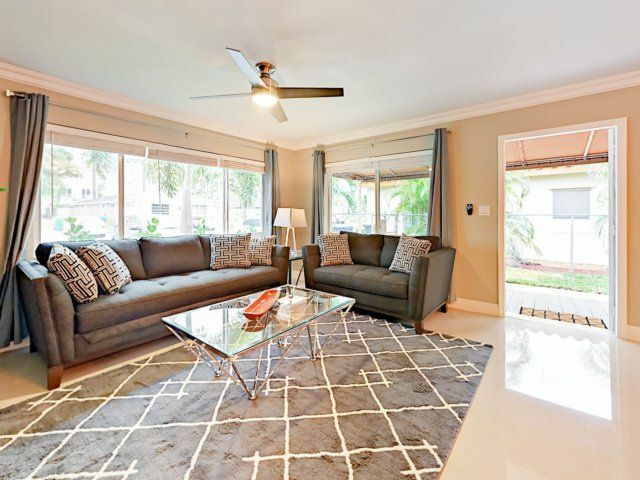 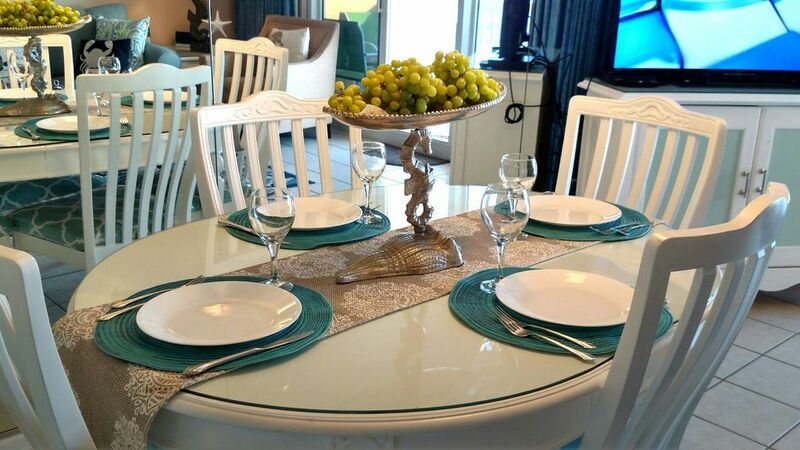 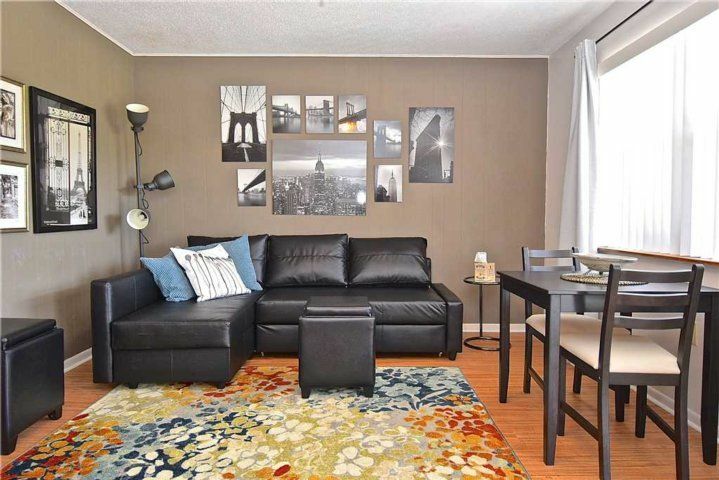 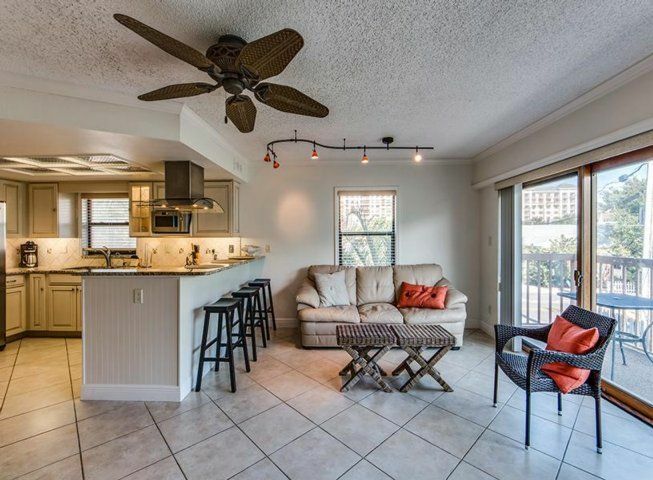 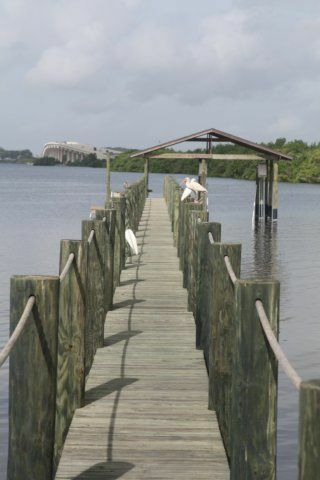 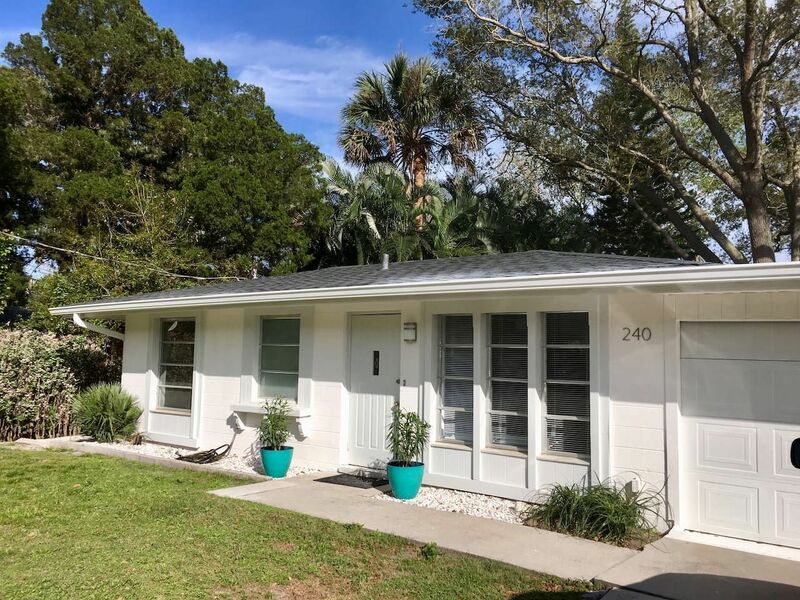 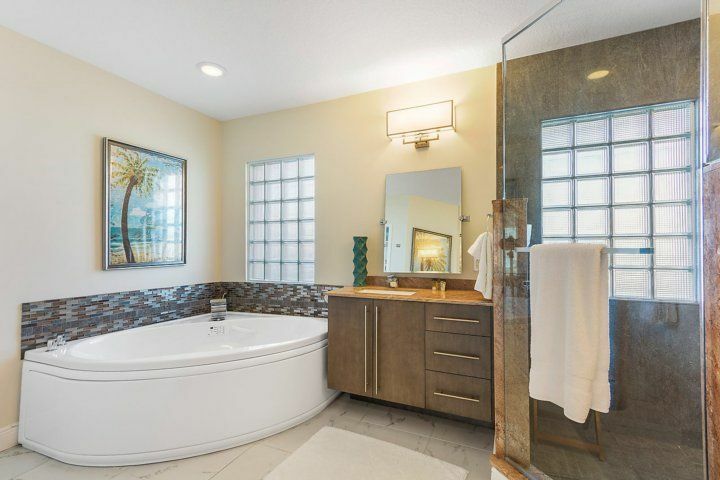 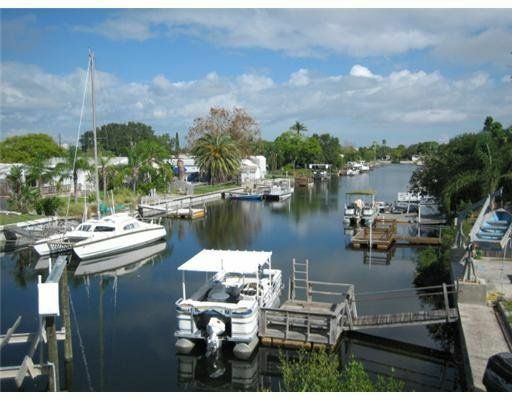 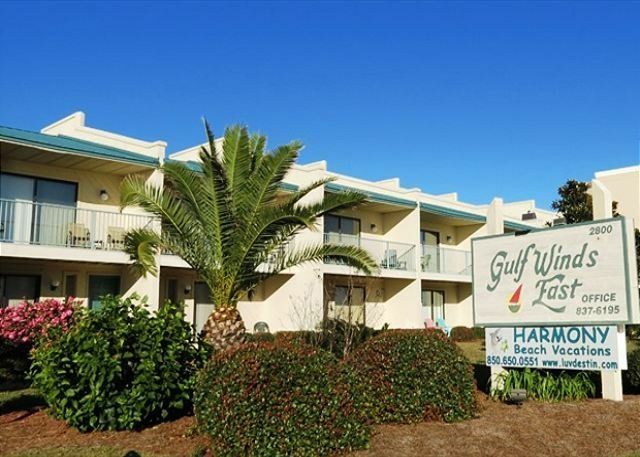 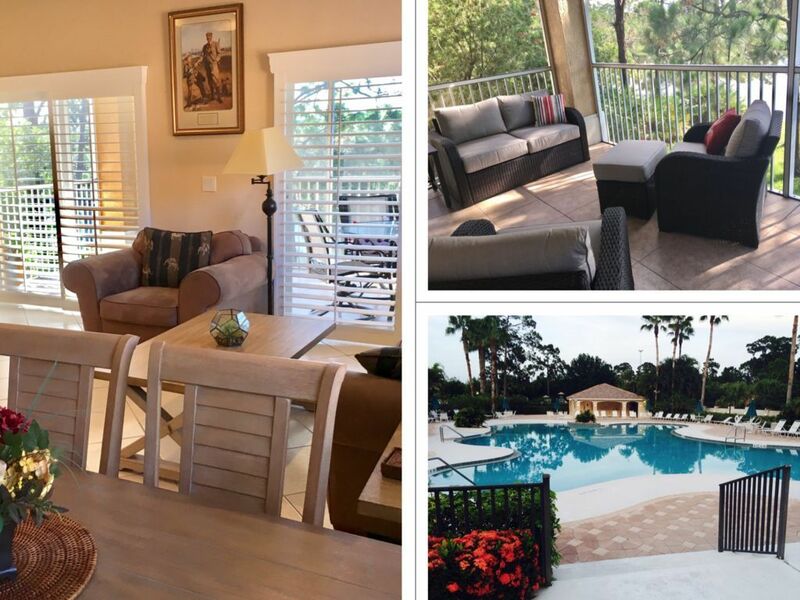 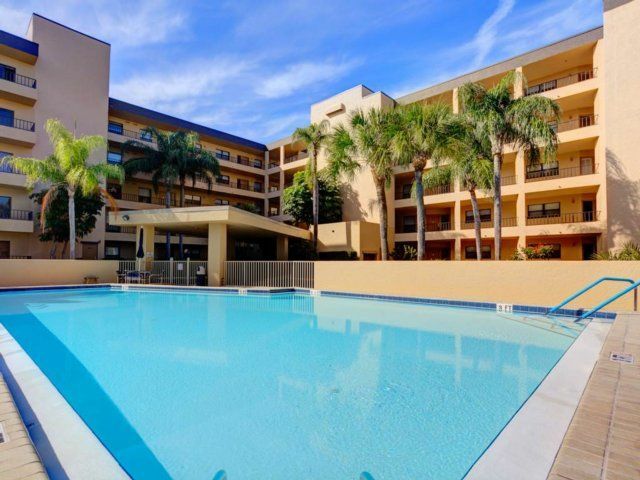 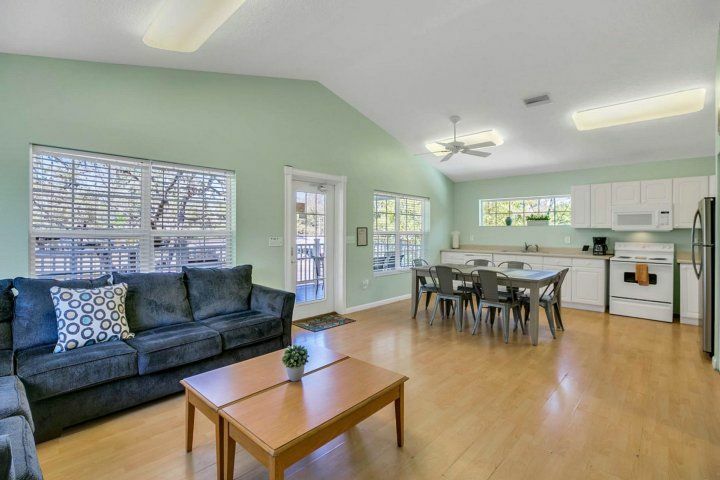 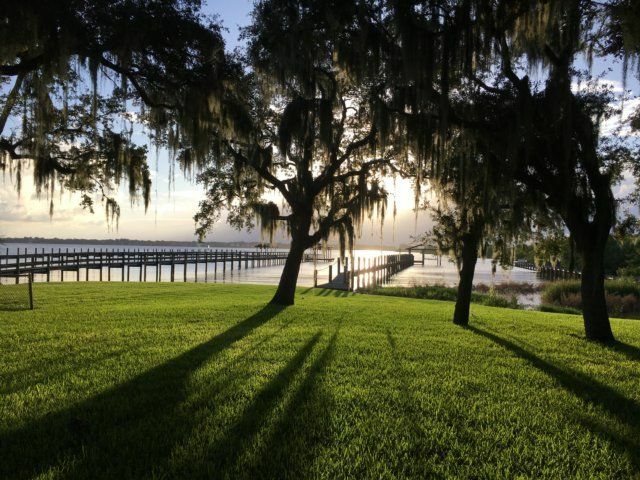 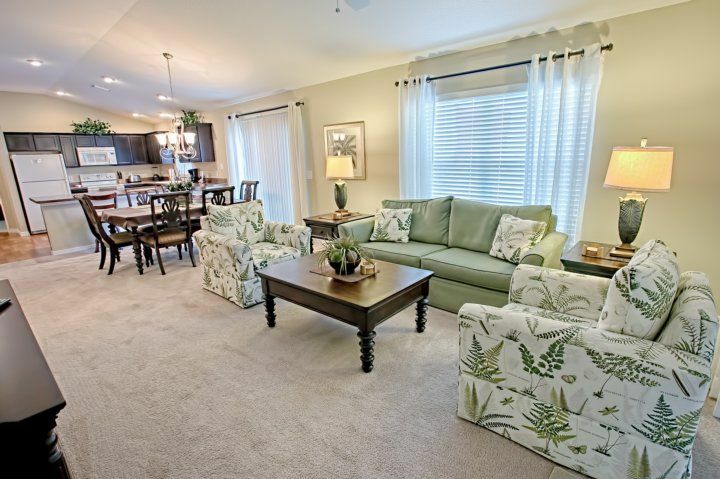 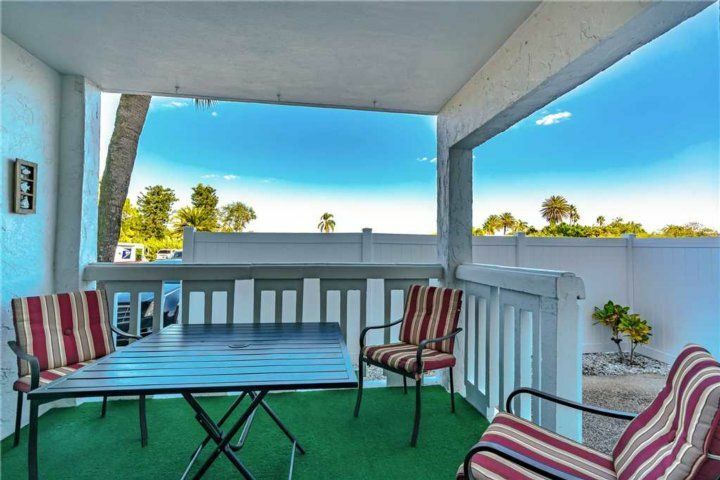 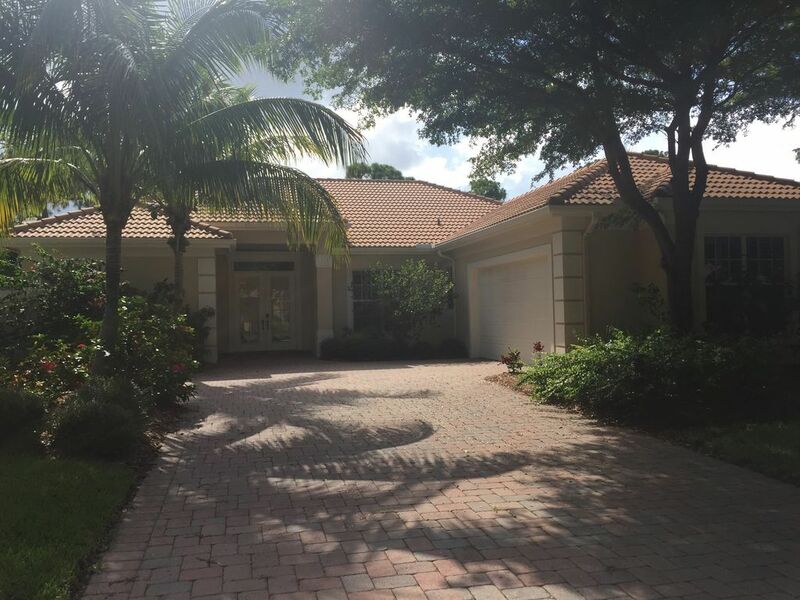 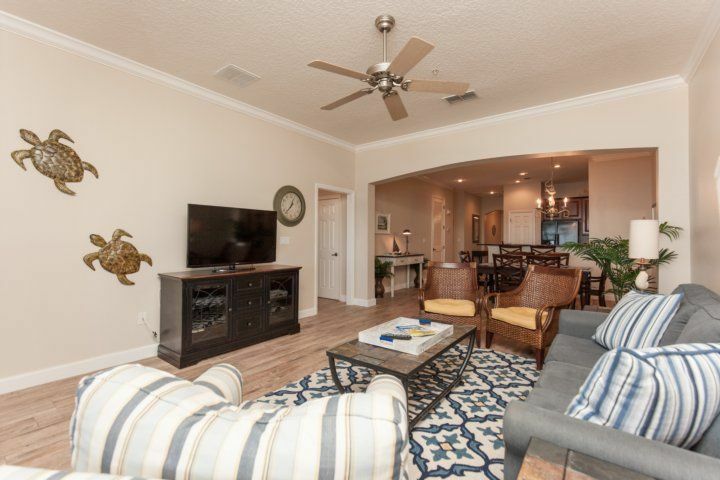 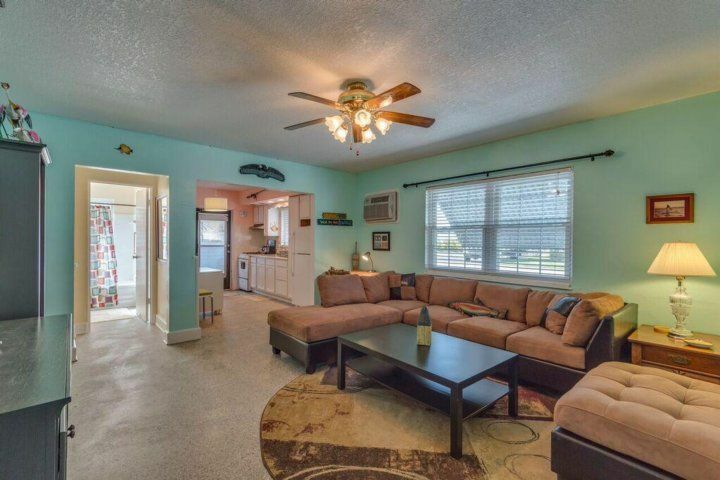 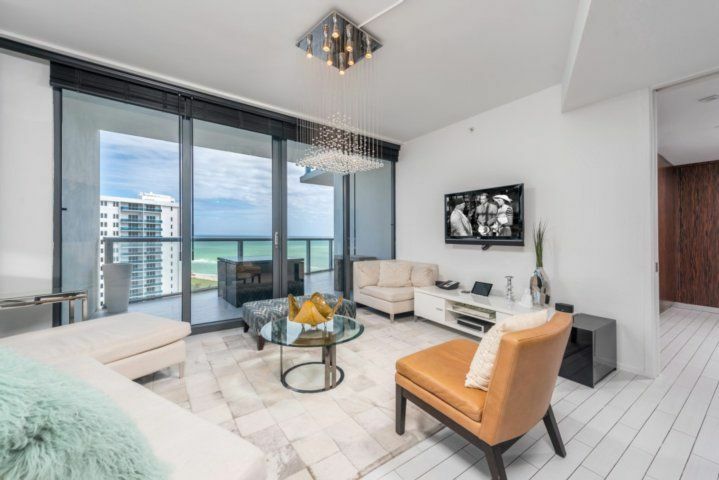 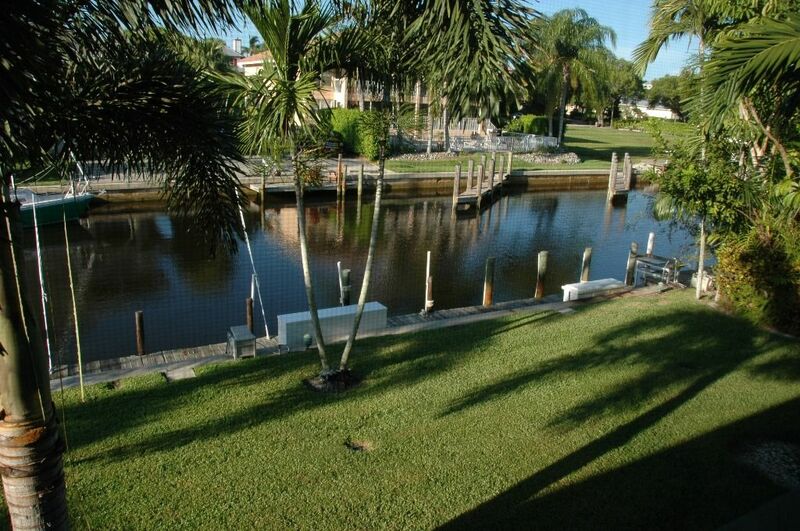 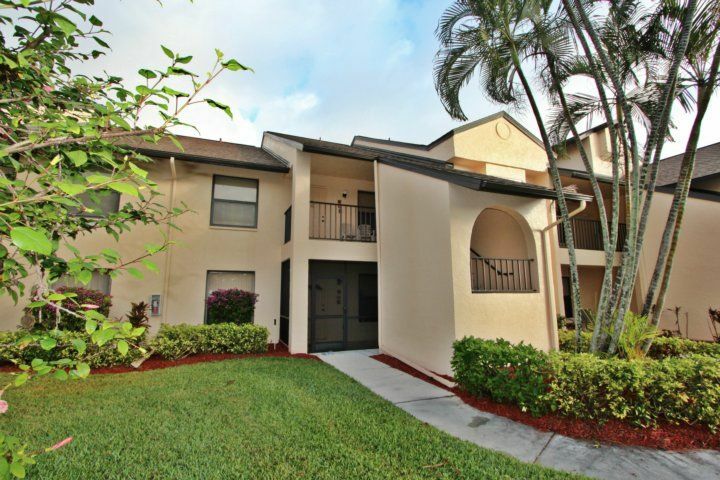 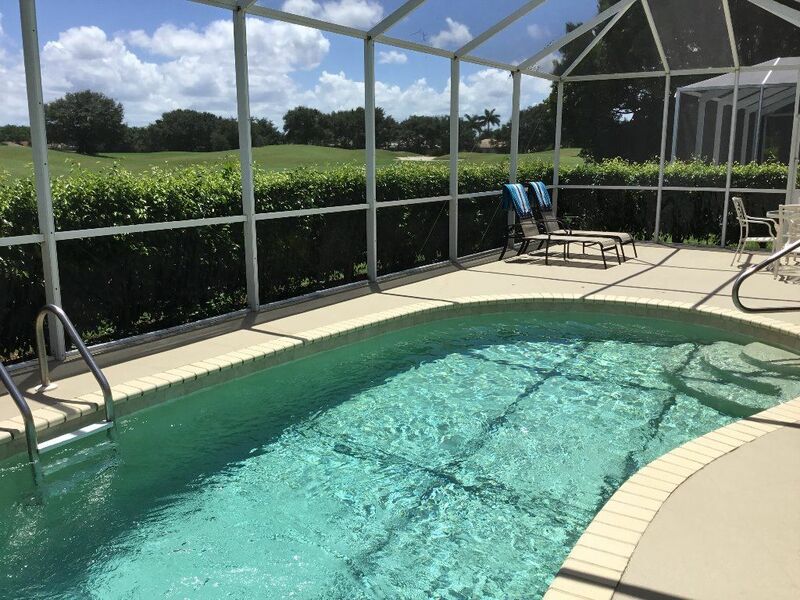 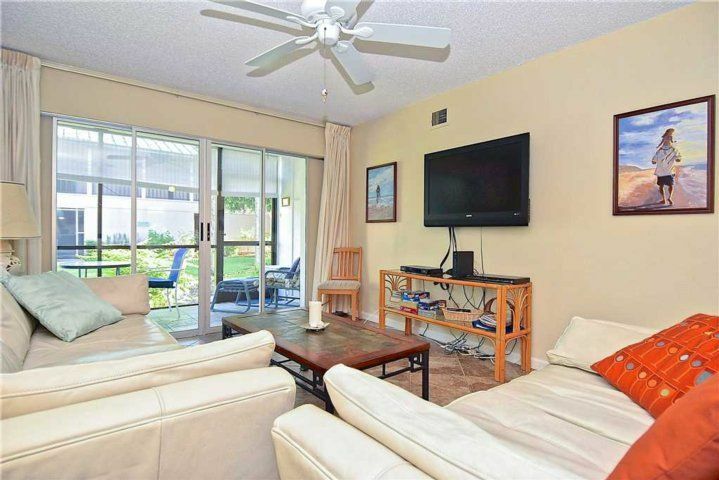 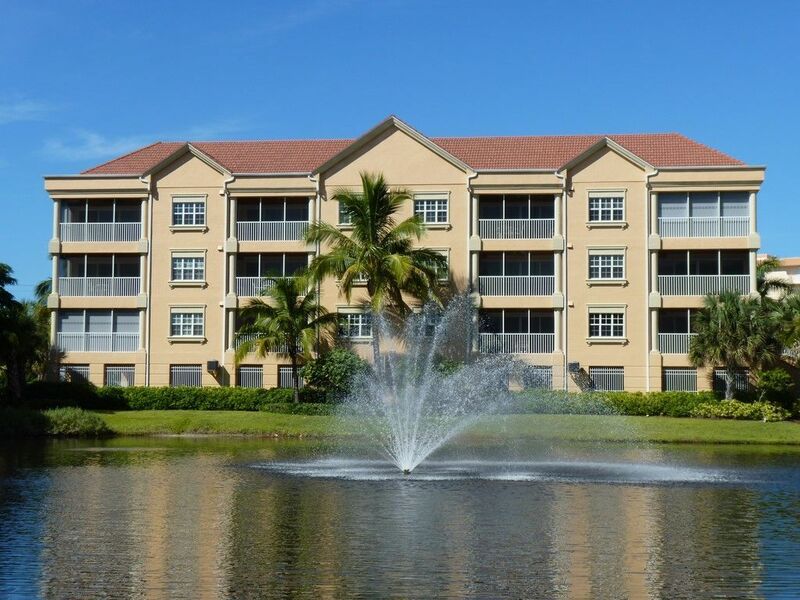 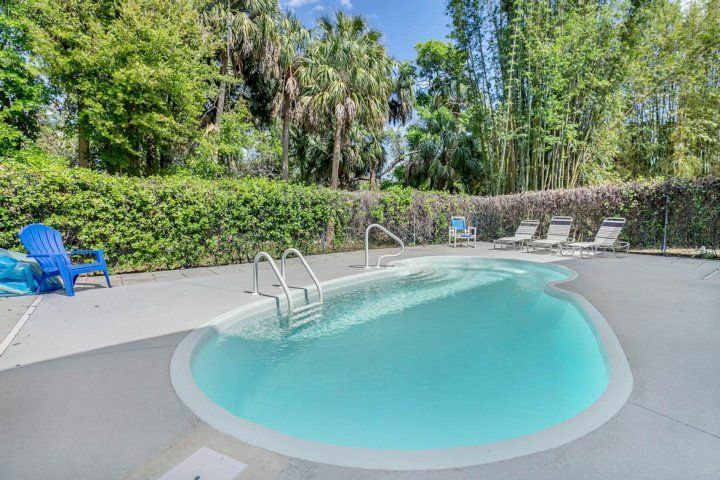 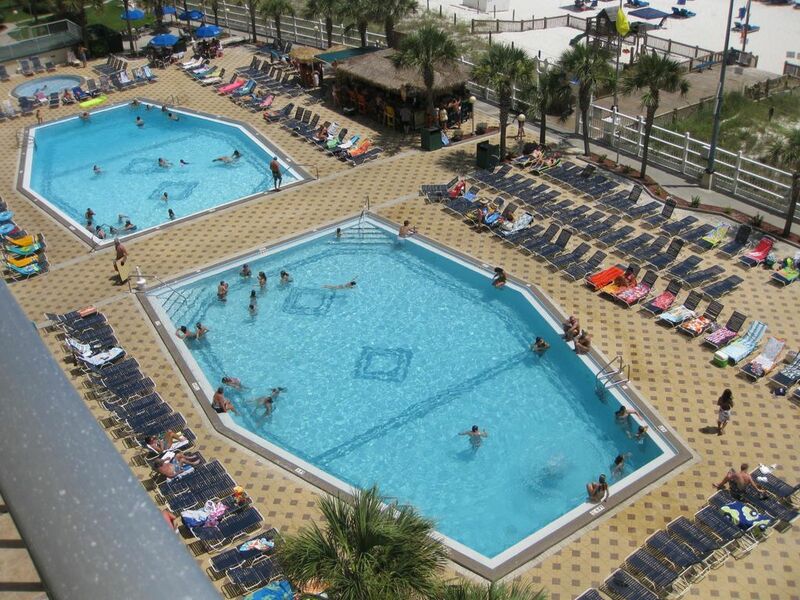 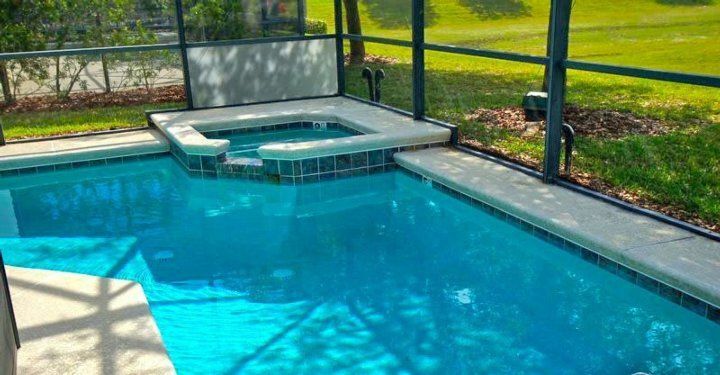 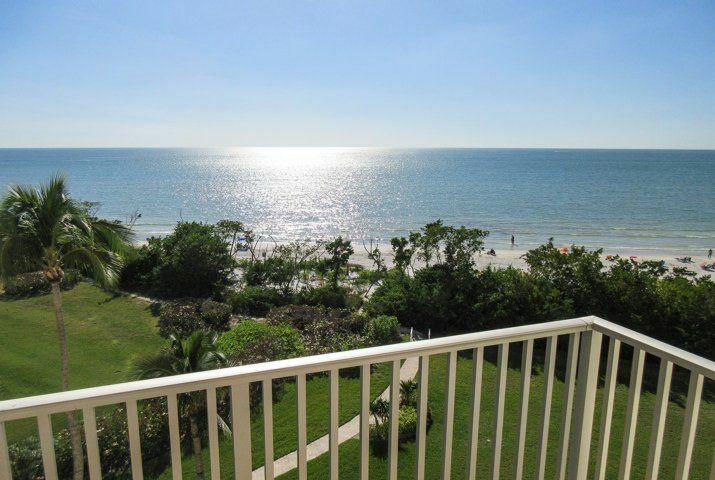 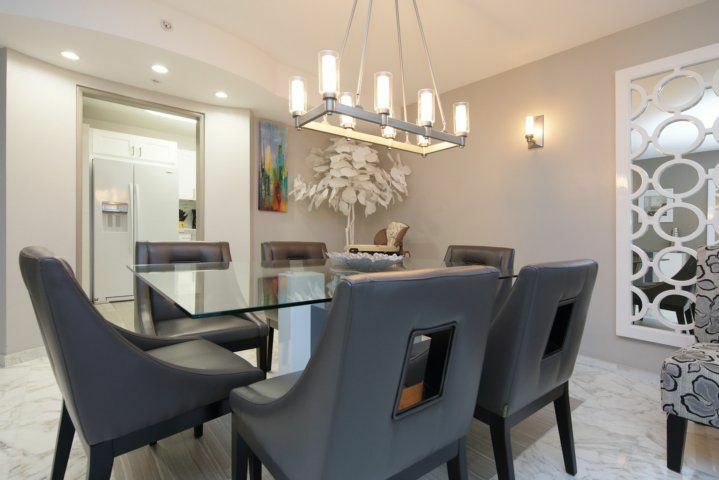 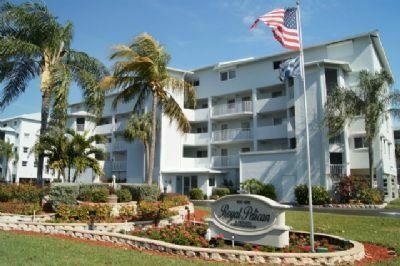 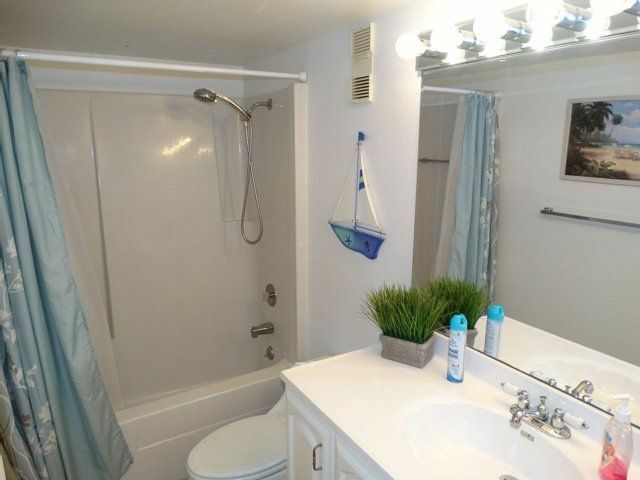 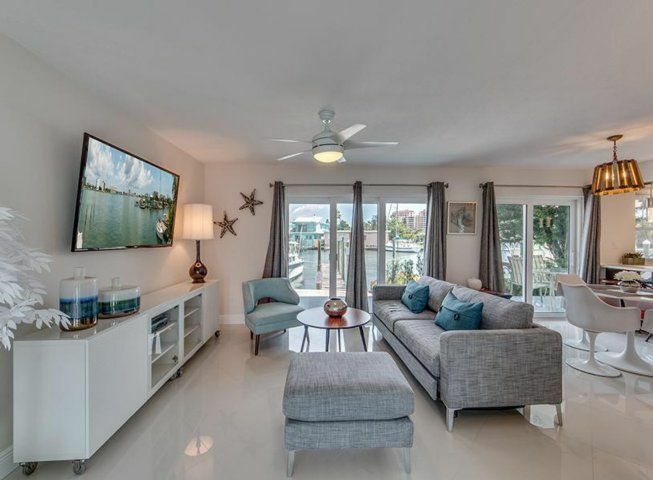 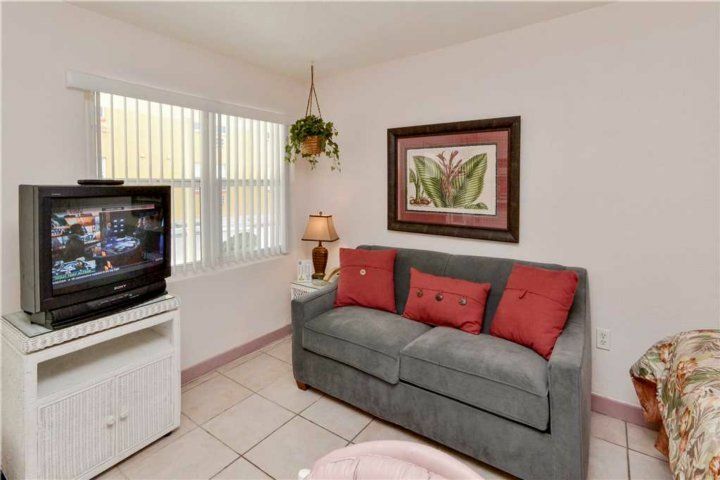 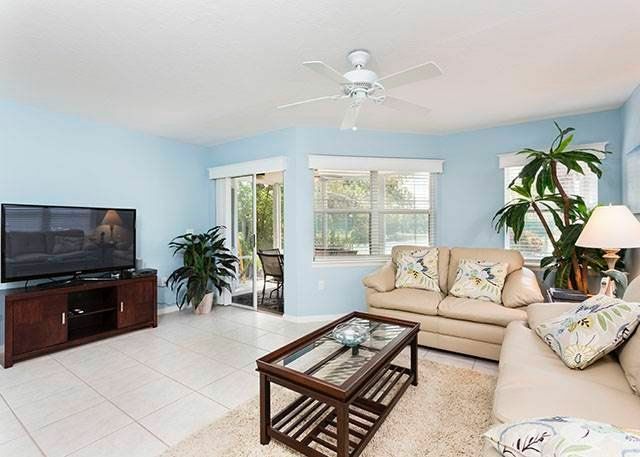 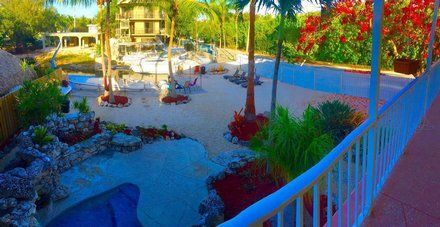 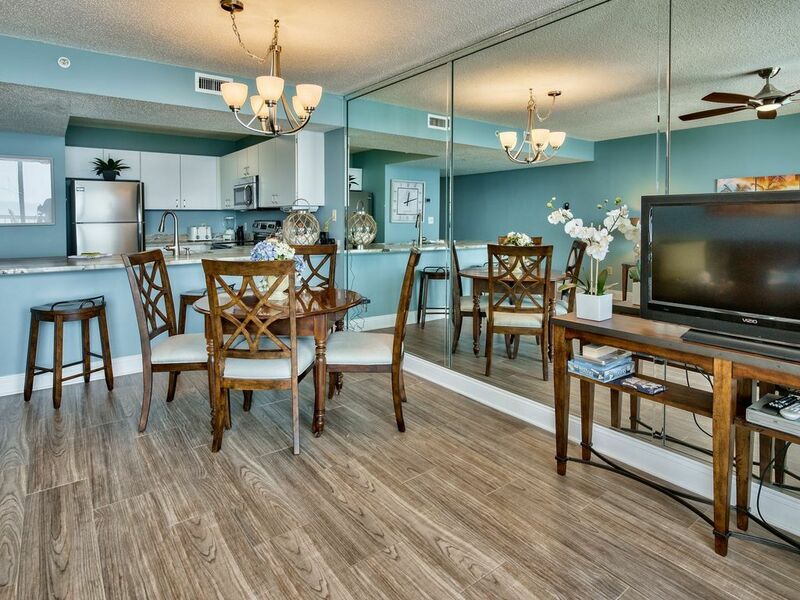 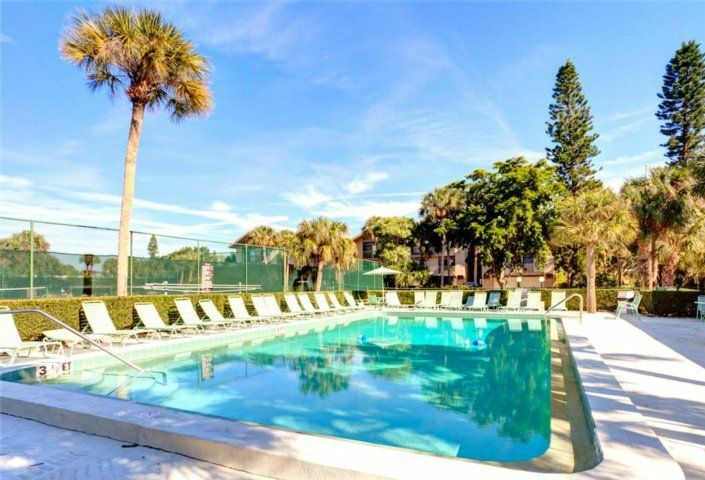 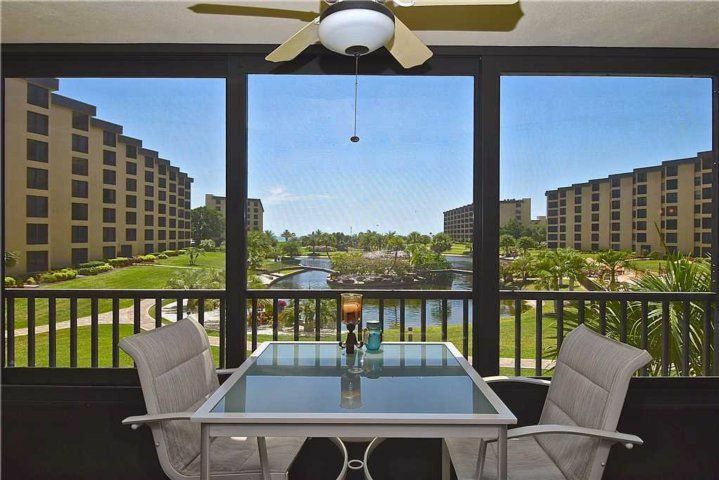 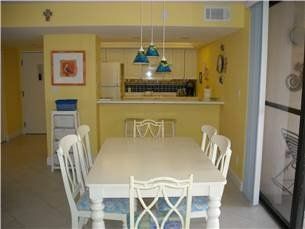 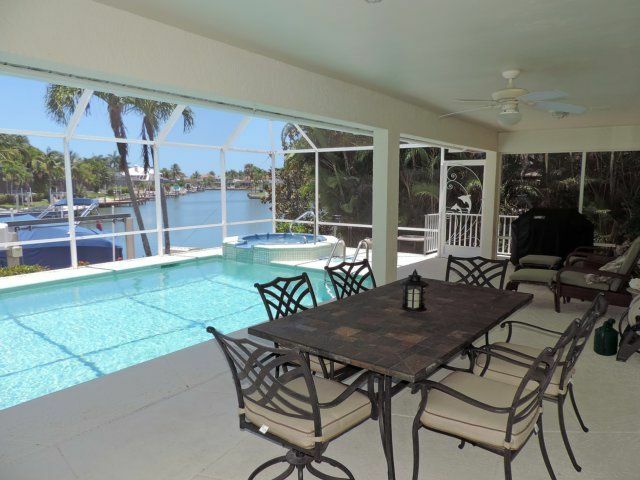 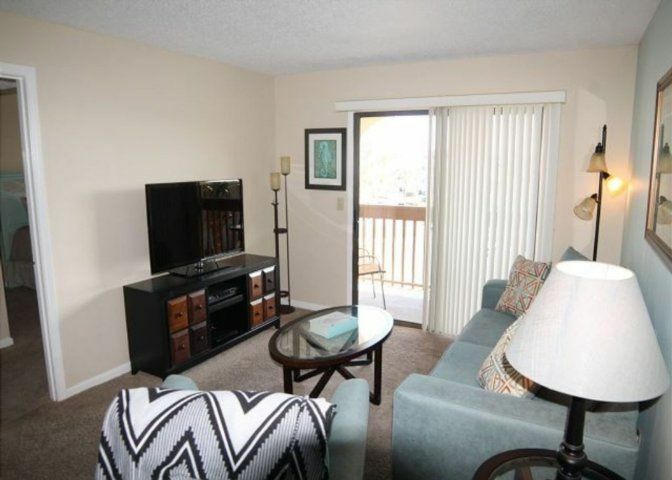 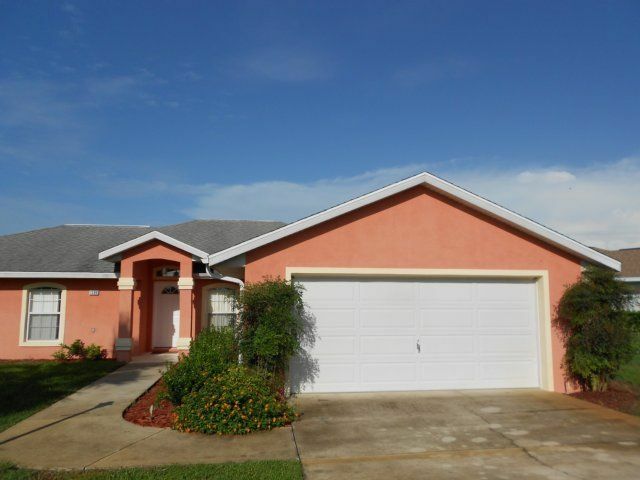 You and your entire crew will love this condo - your best condo for the vacation dollar! 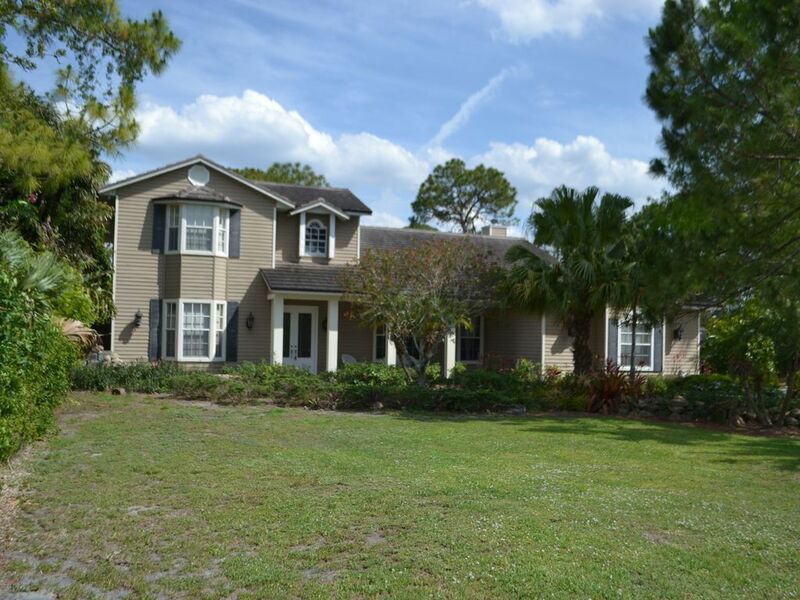 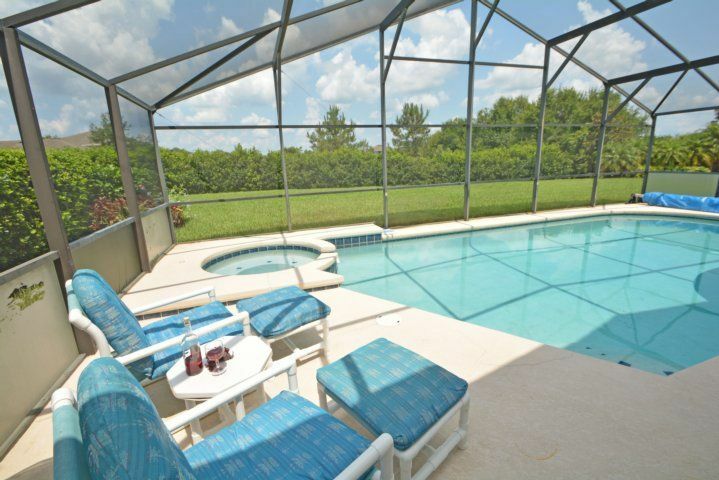 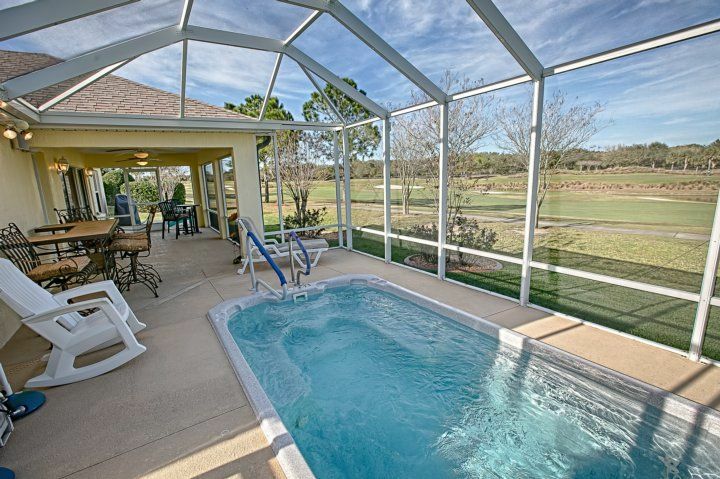 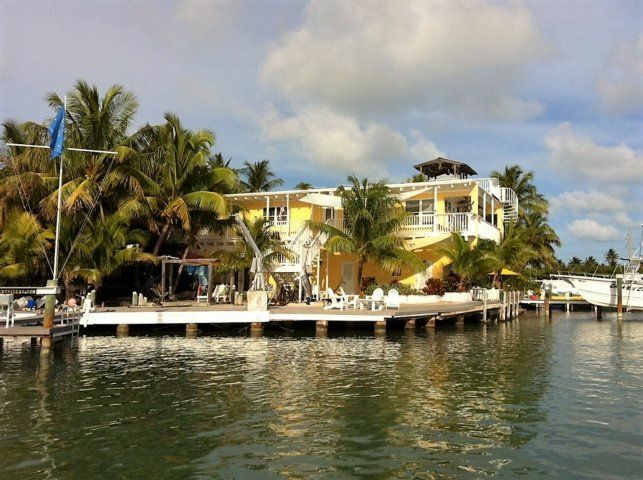 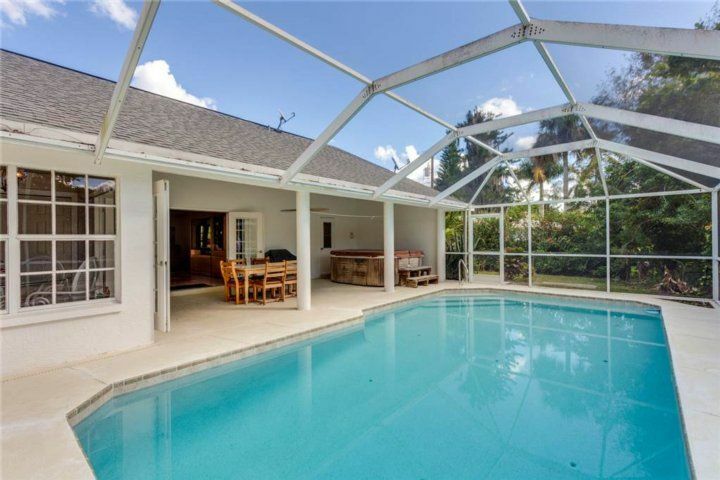 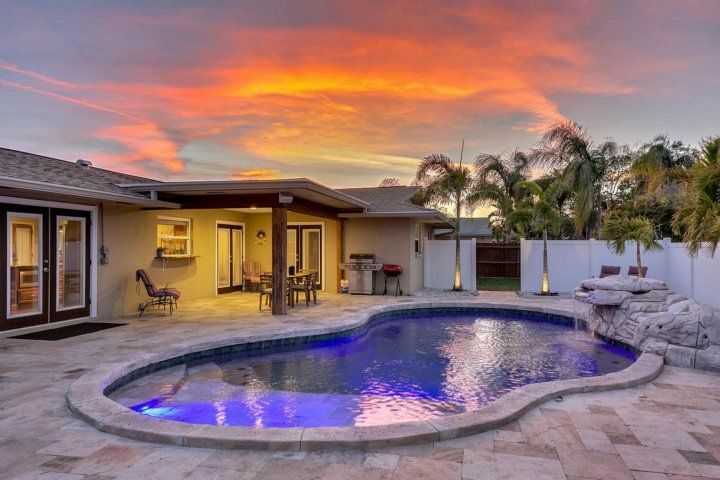 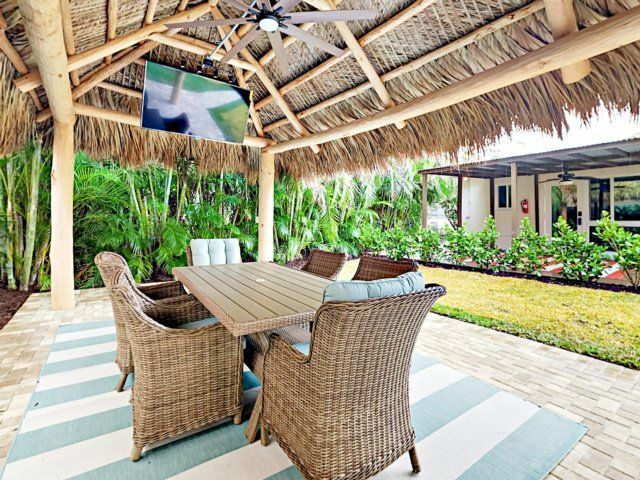 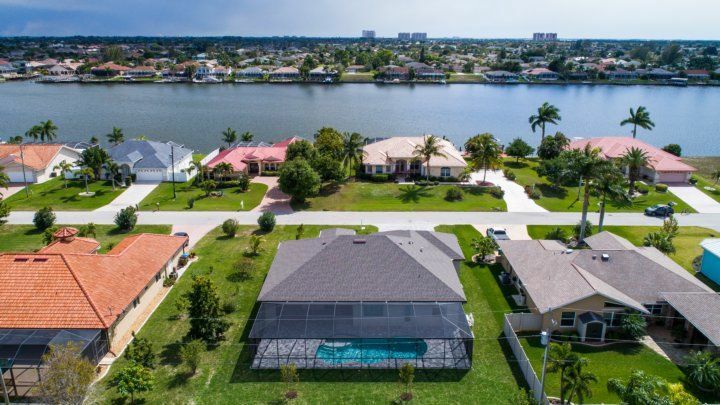 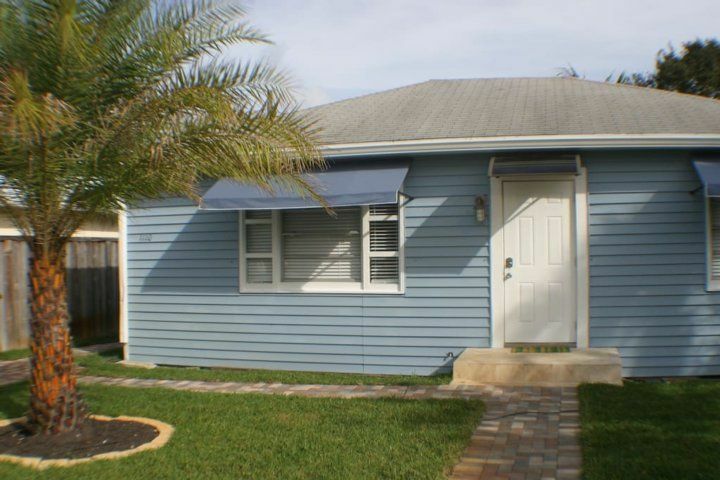 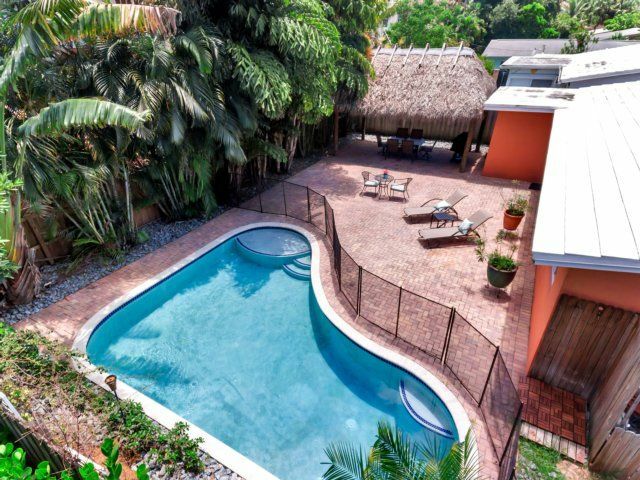 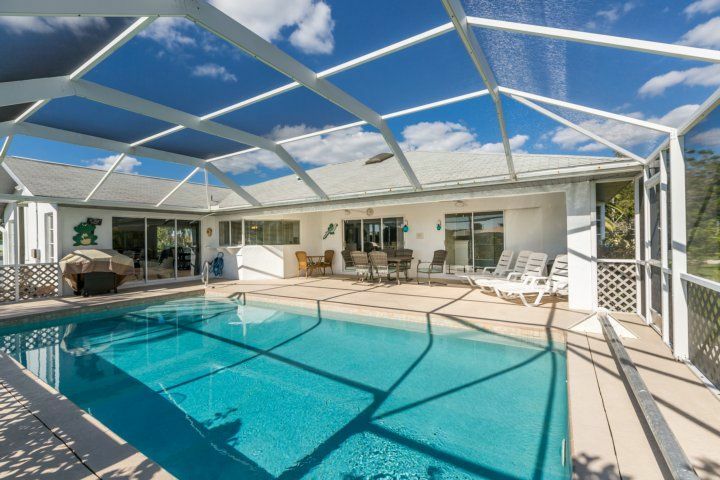 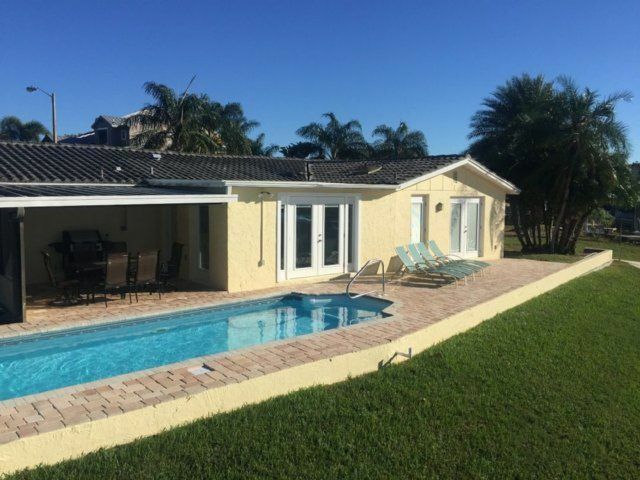 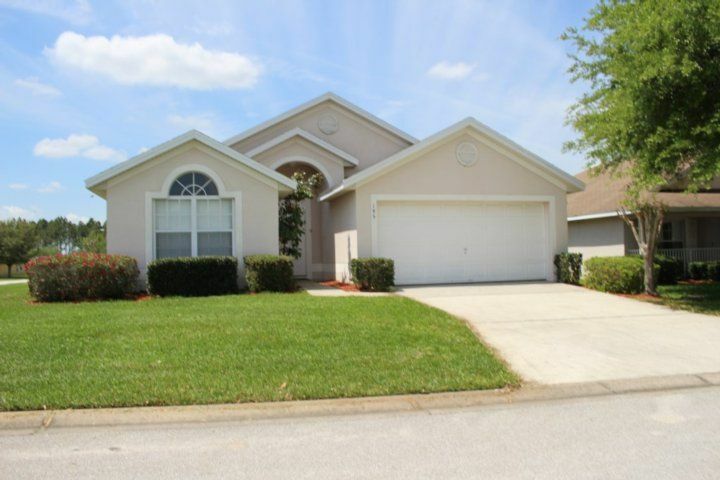 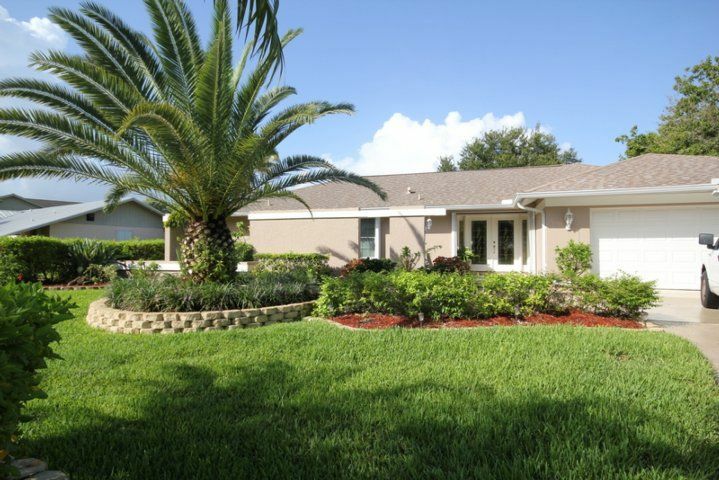 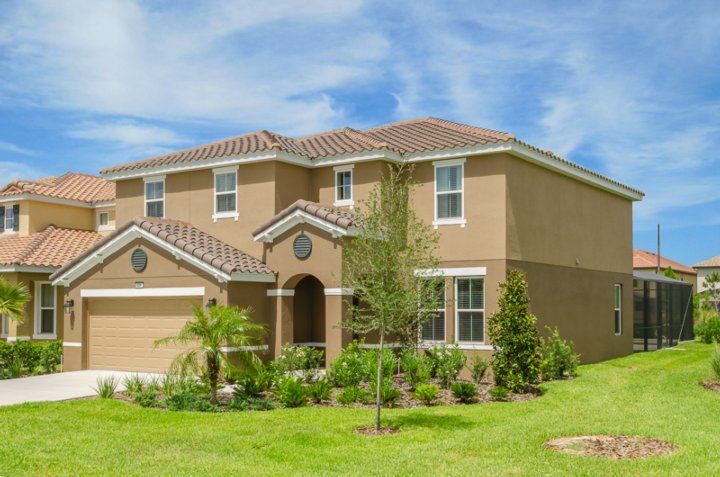 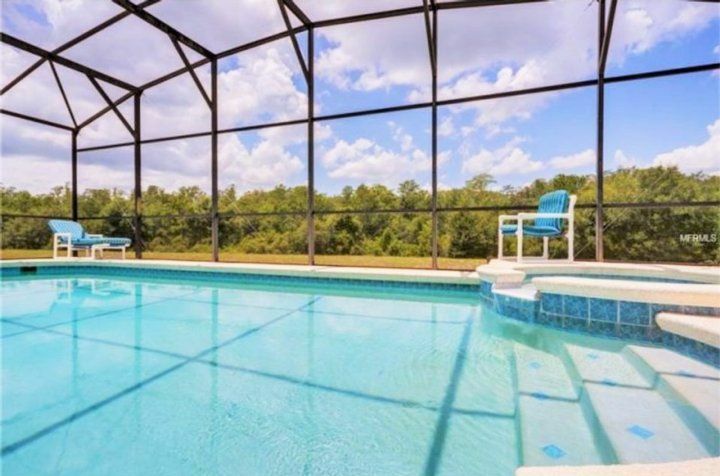 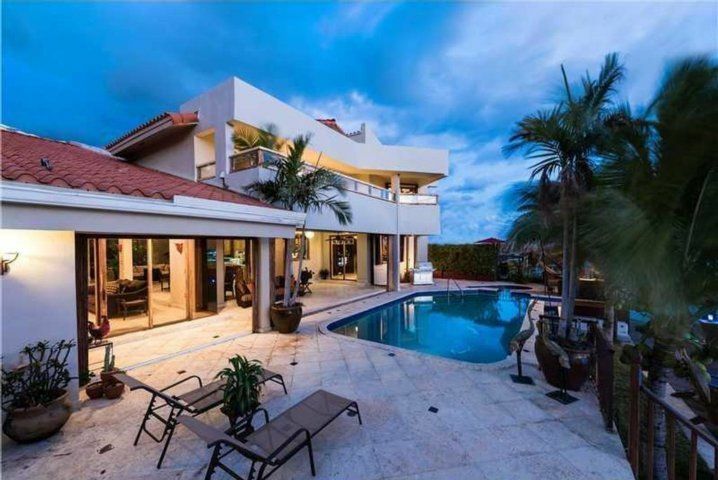 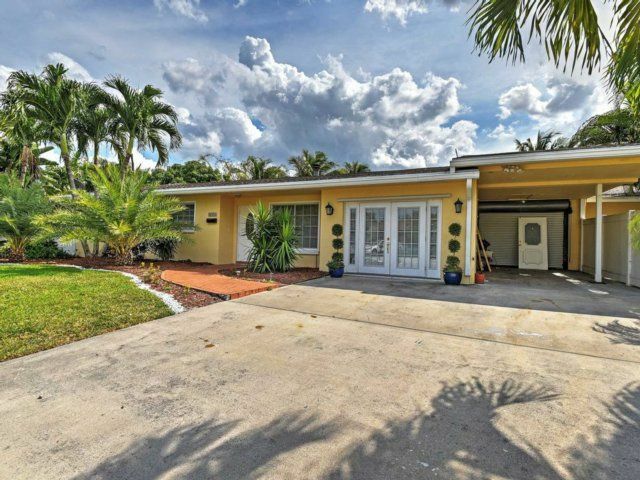 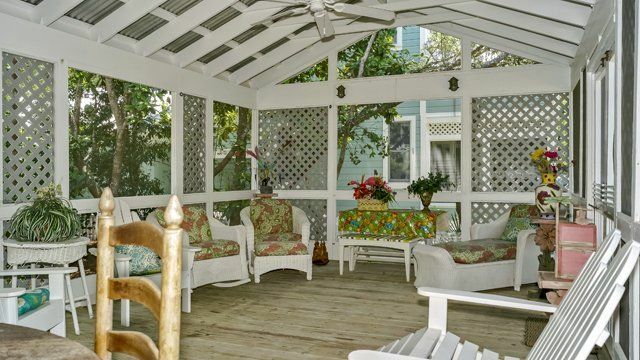 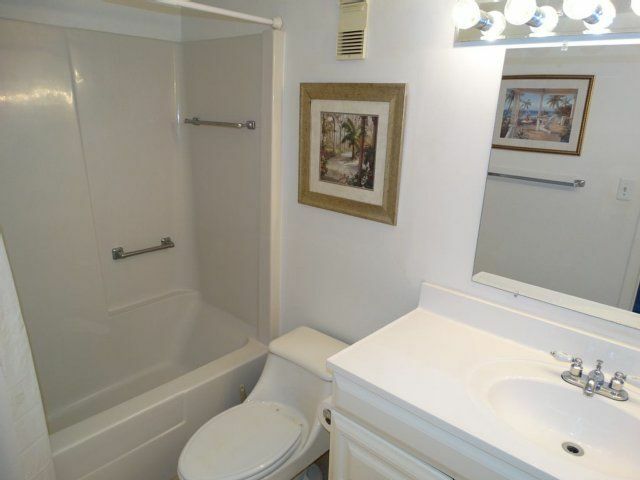 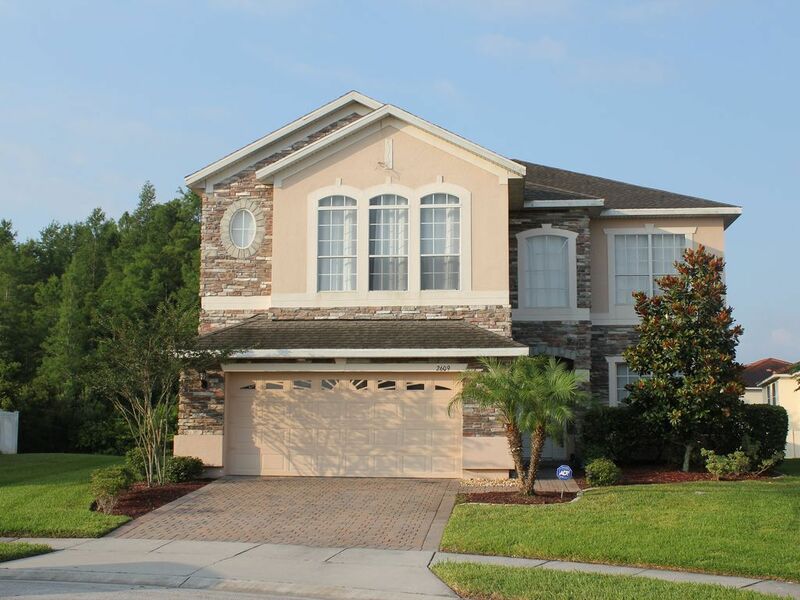 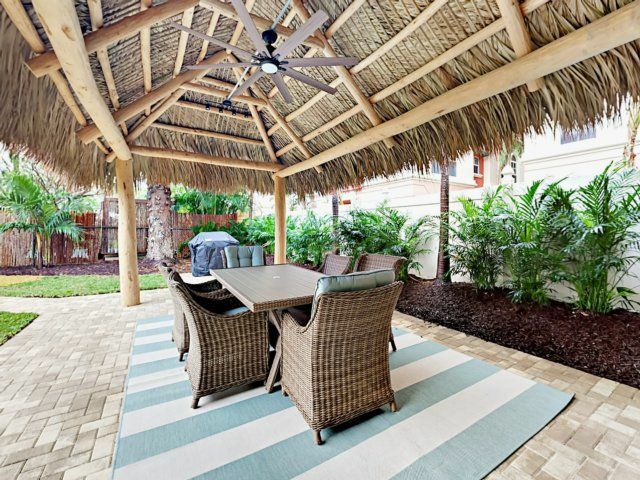 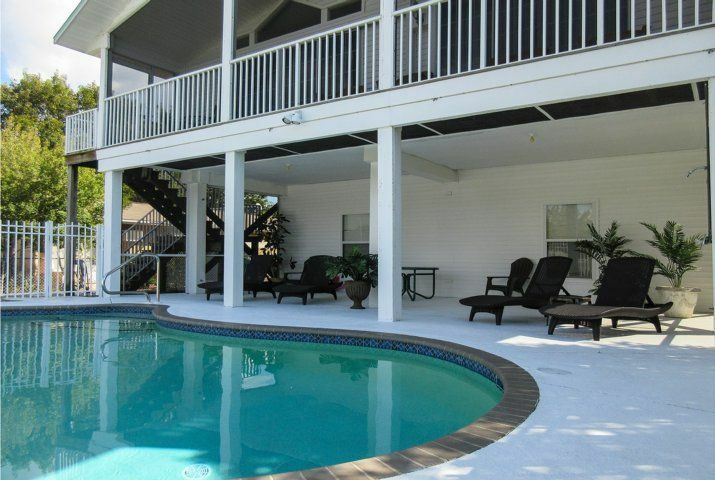 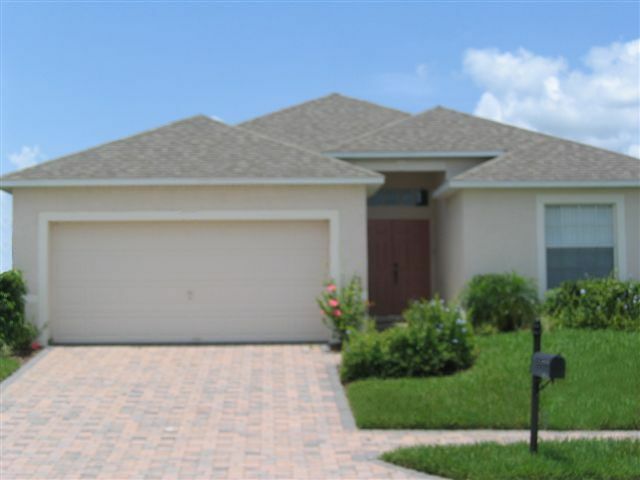 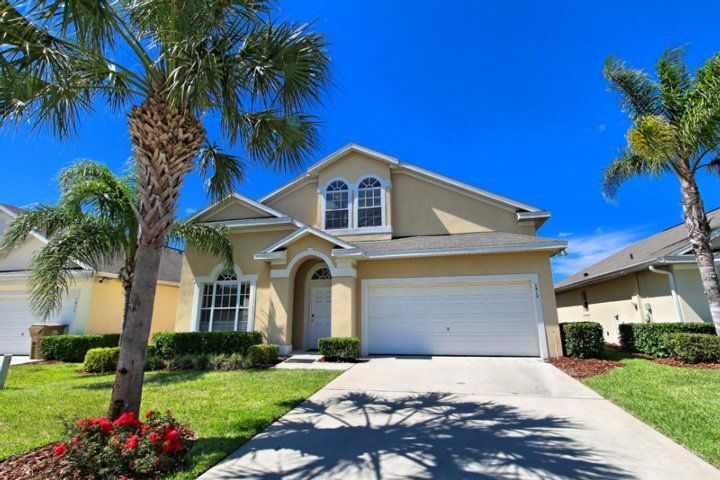 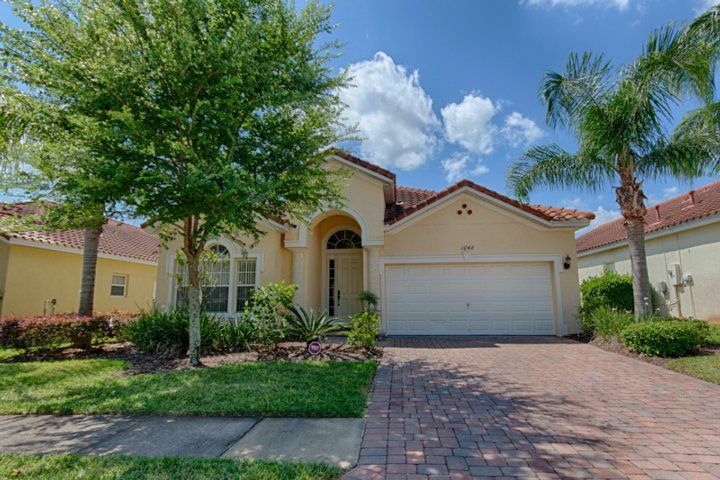 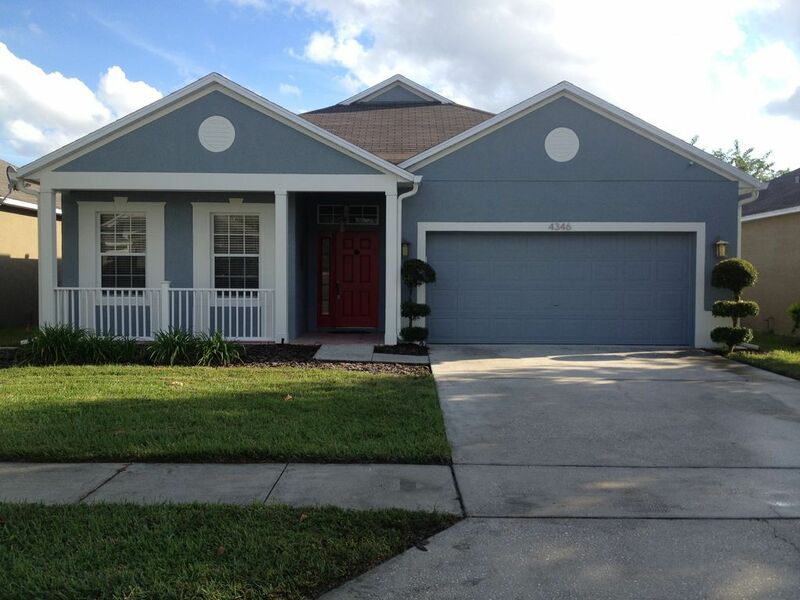 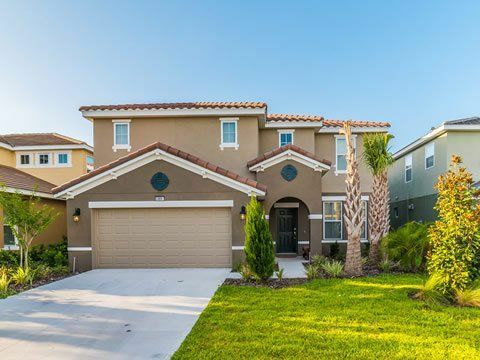 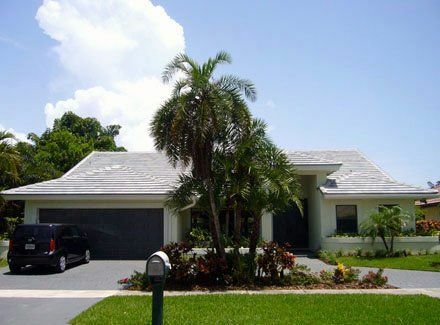 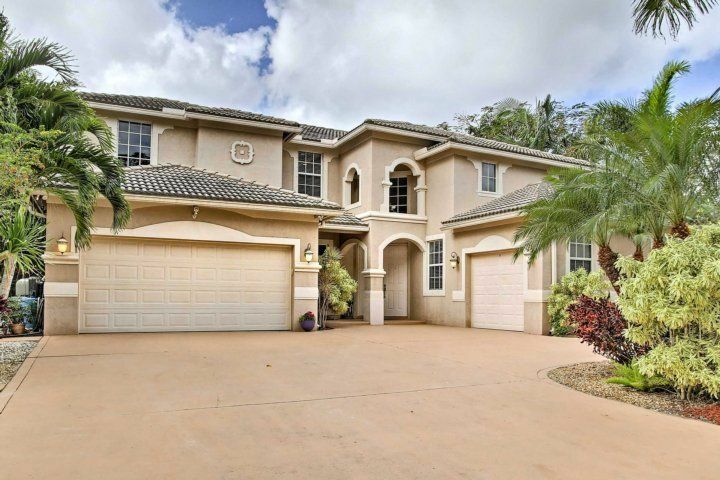 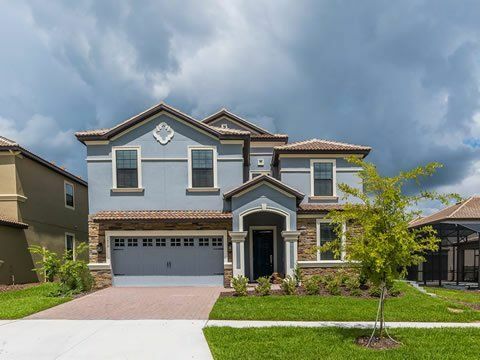 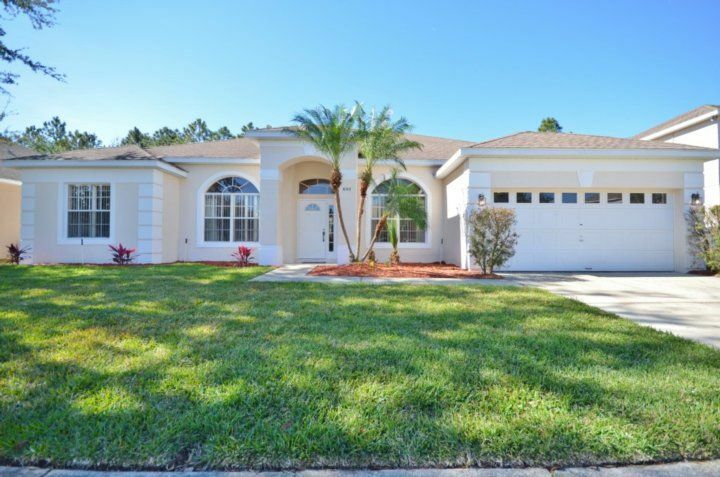 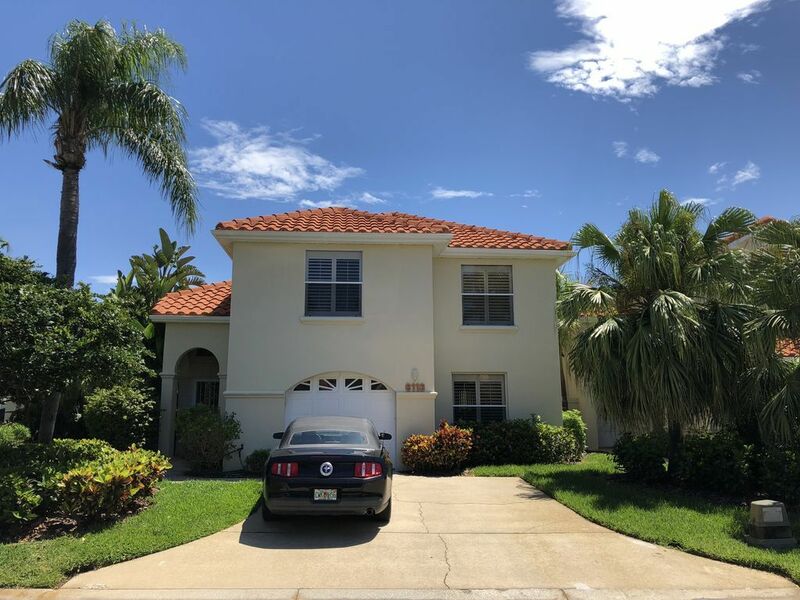 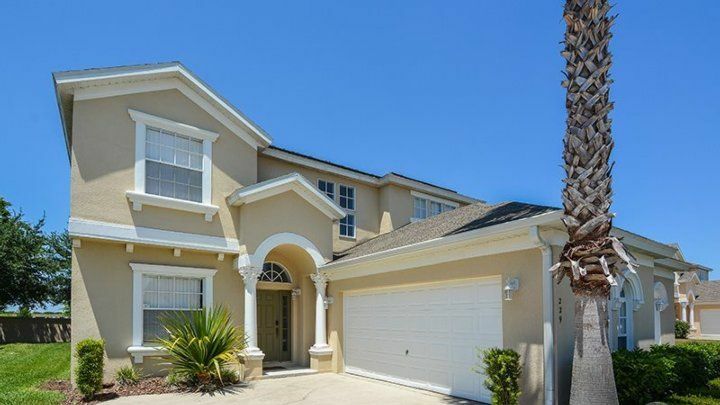 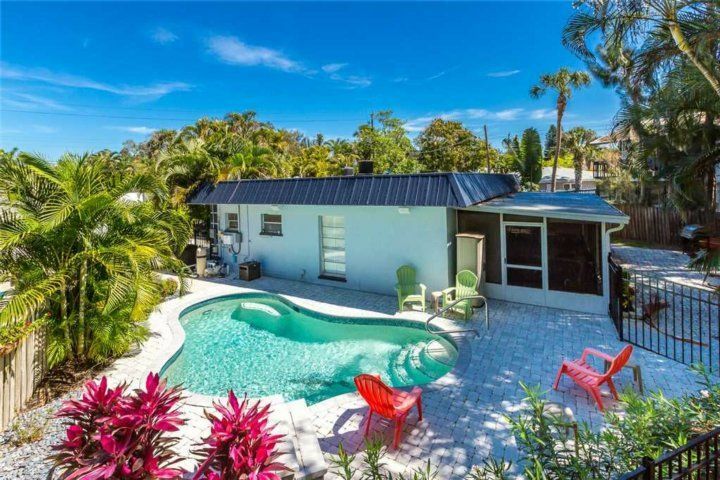 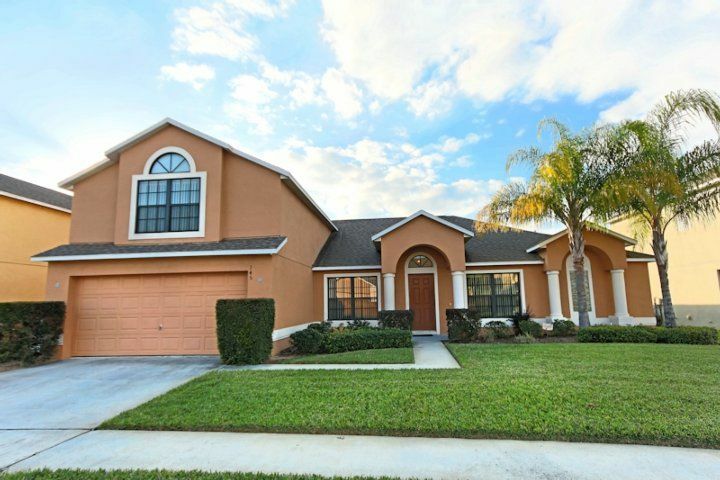 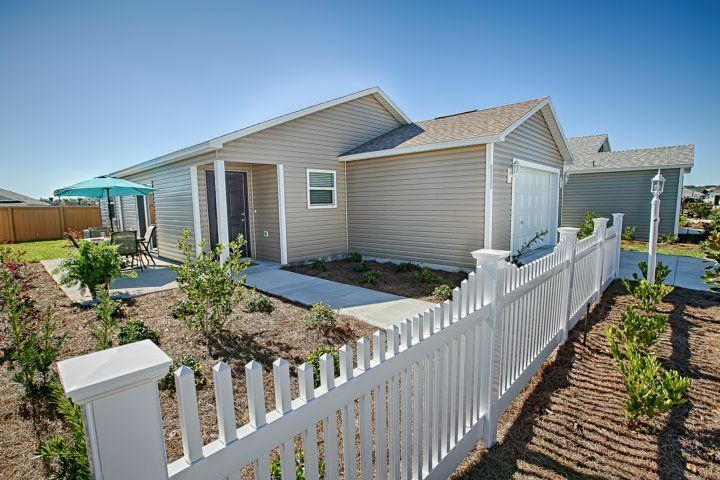 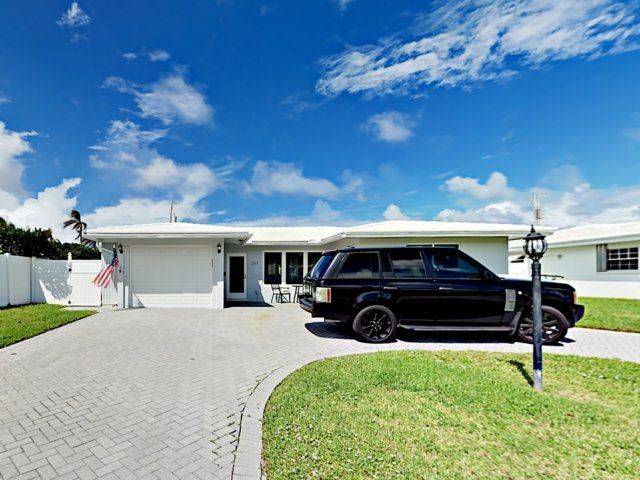 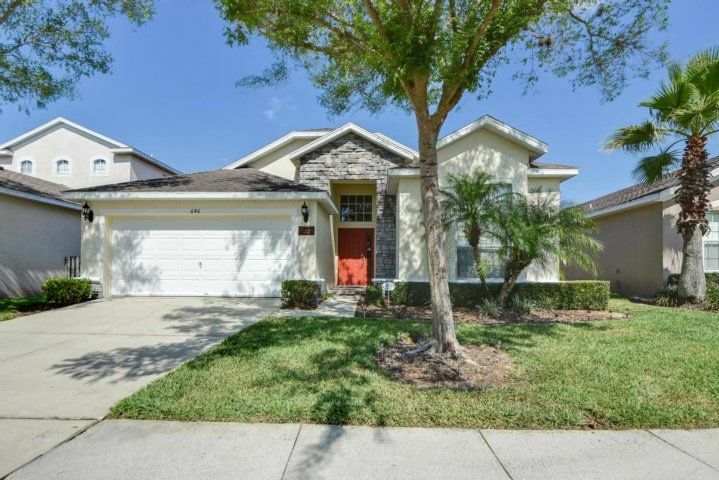 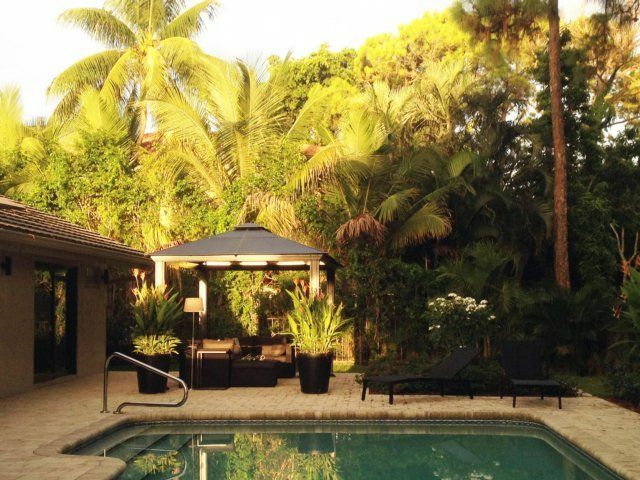 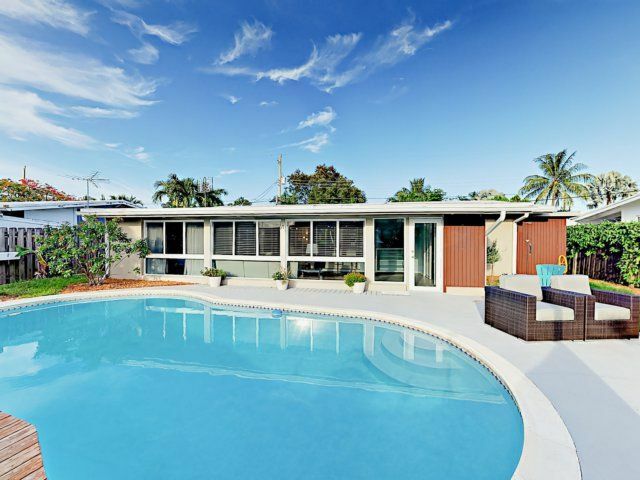 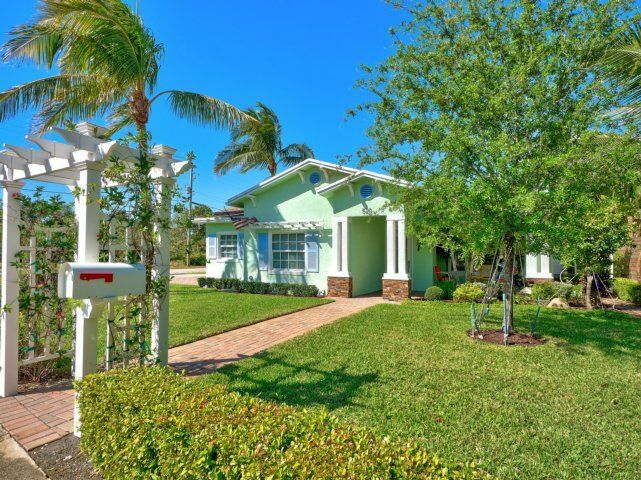 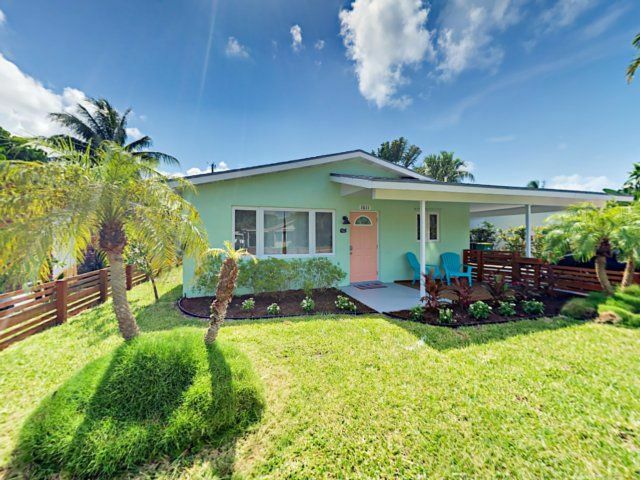 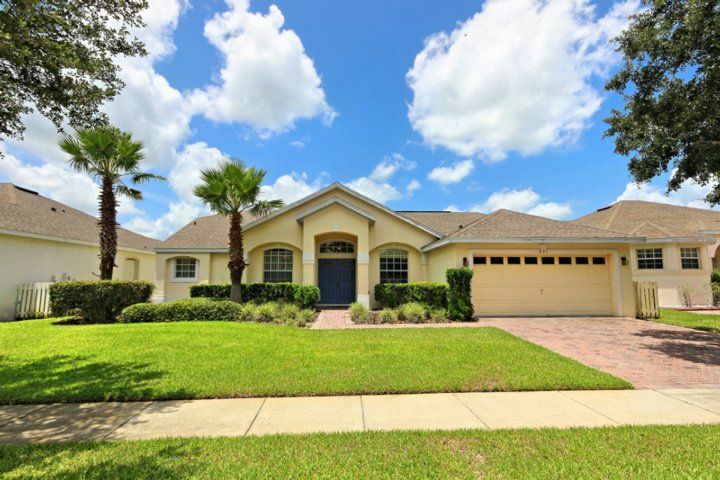 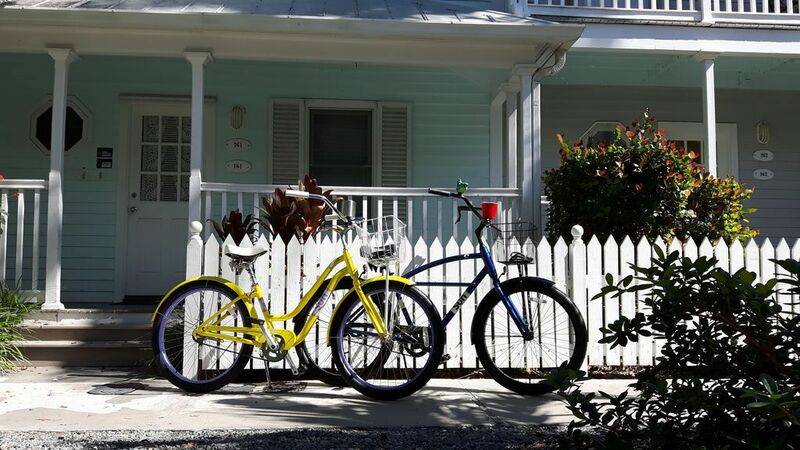 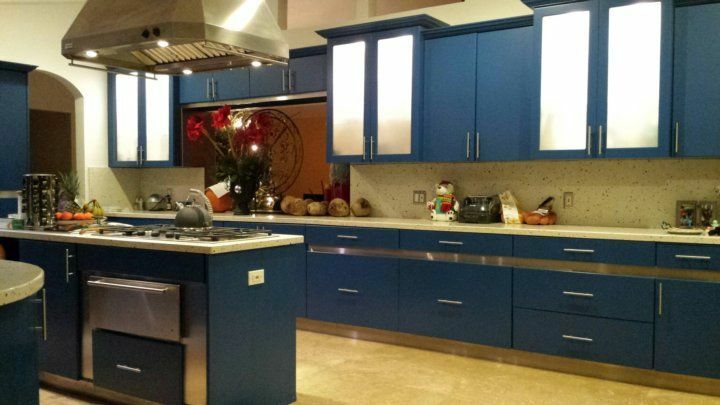 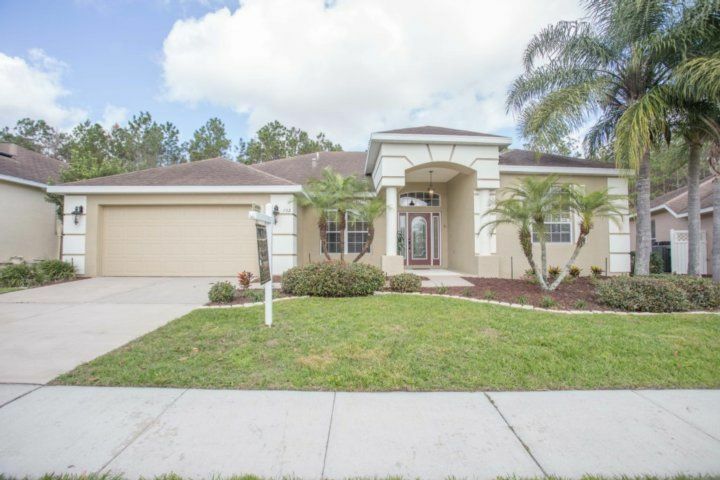 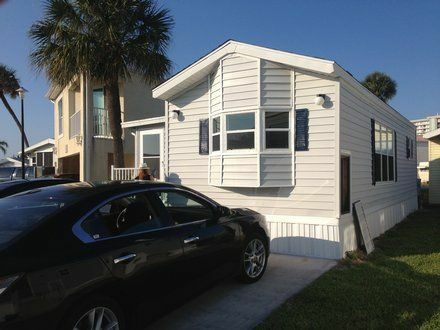 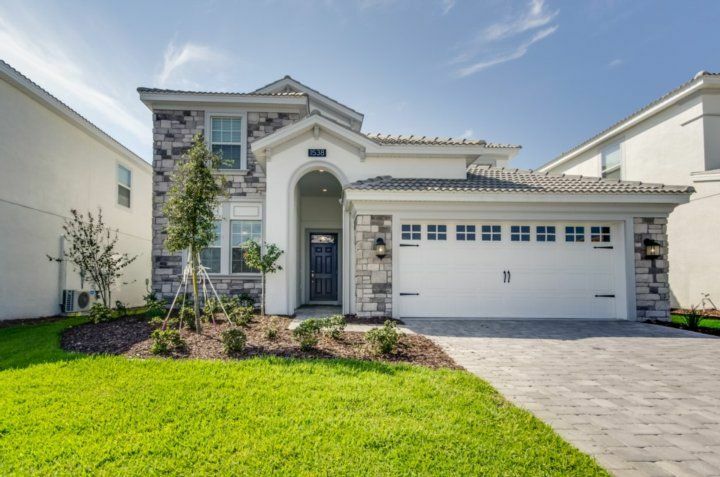 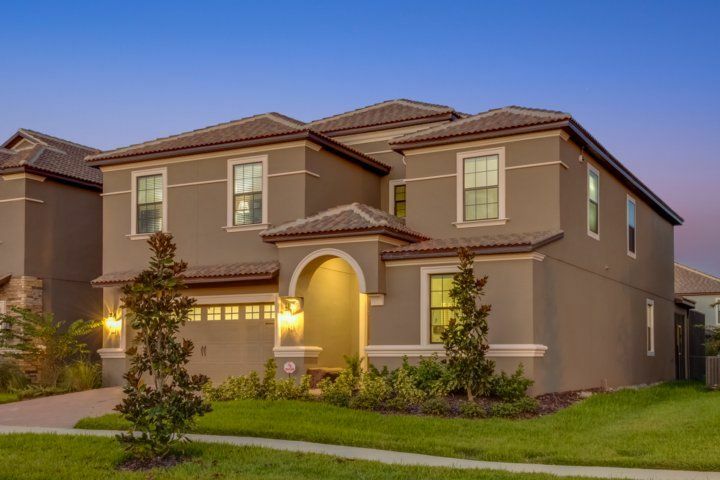 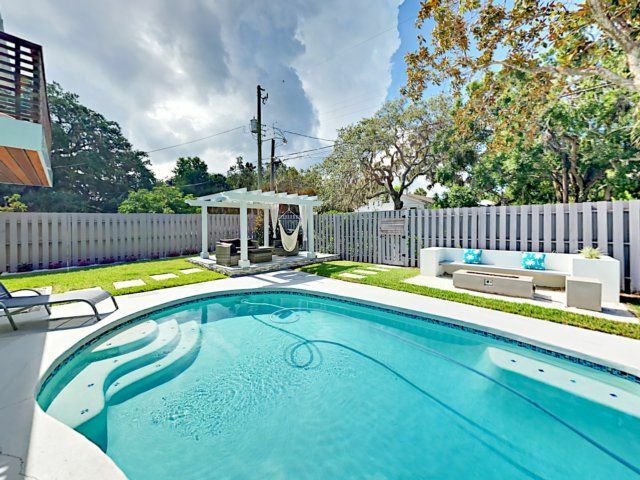 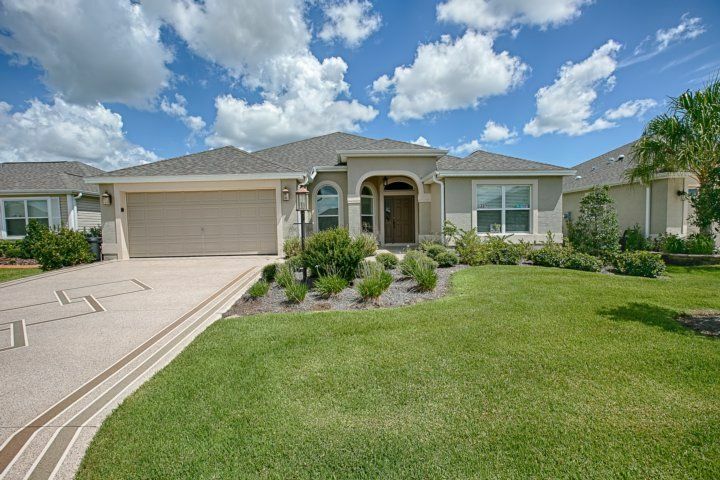 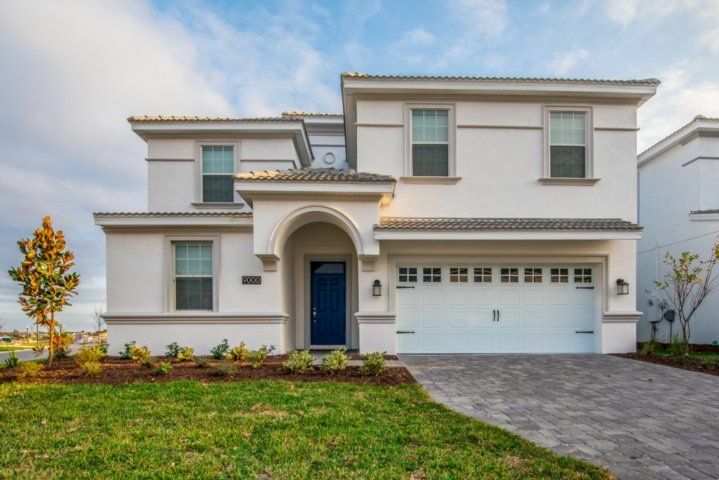 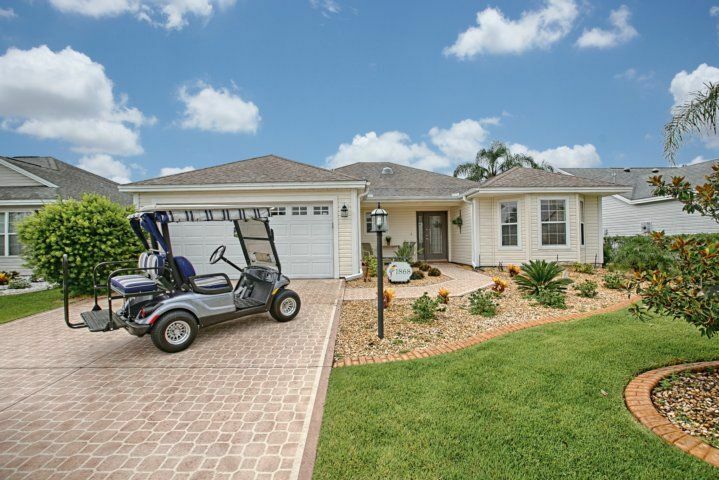 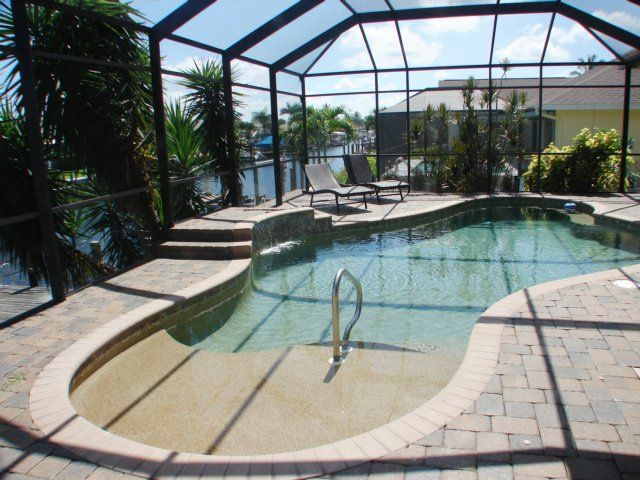 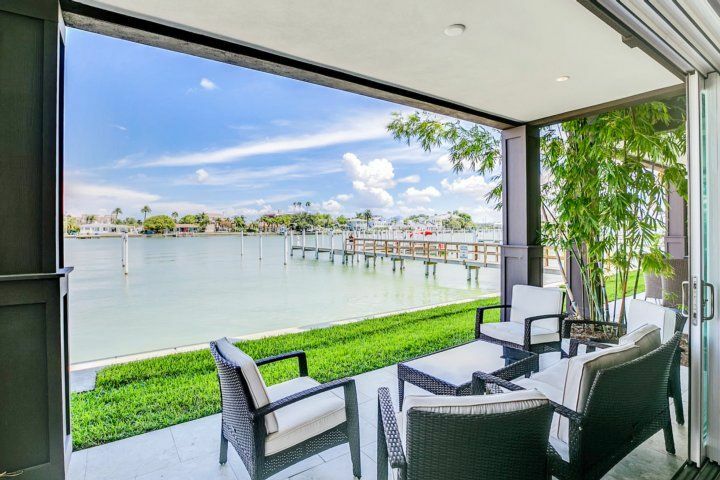 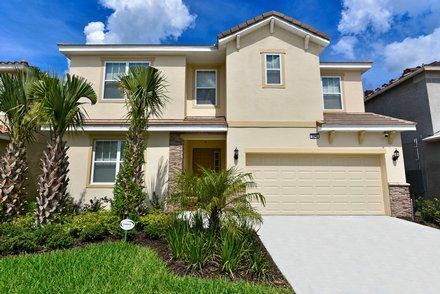 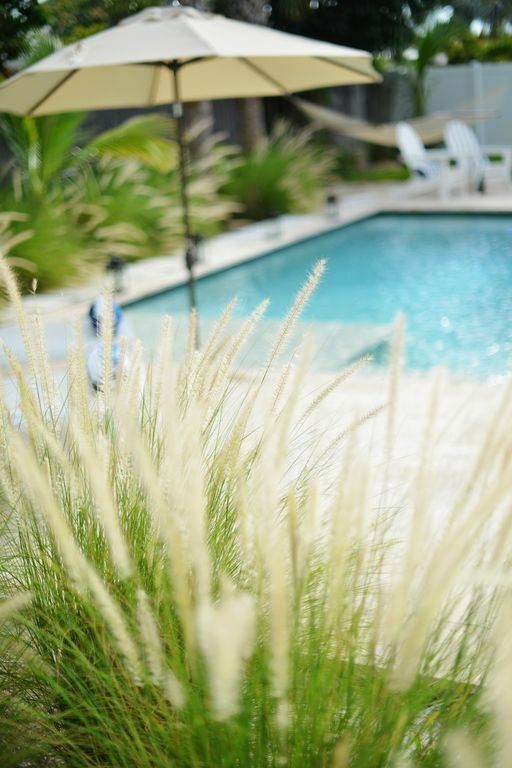 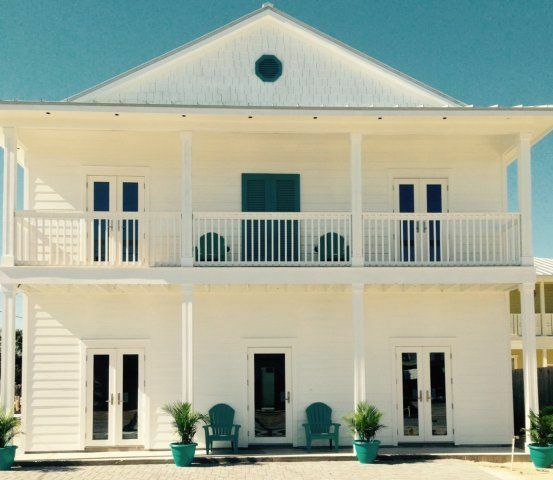 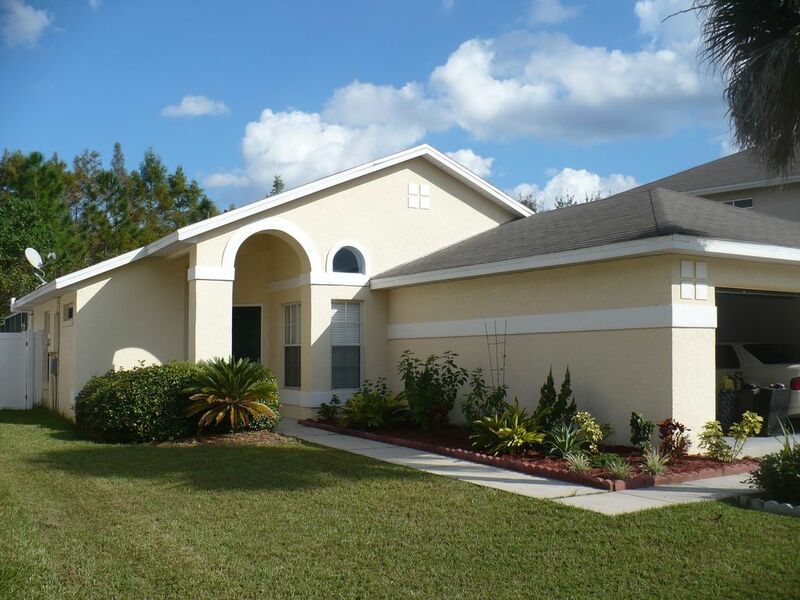 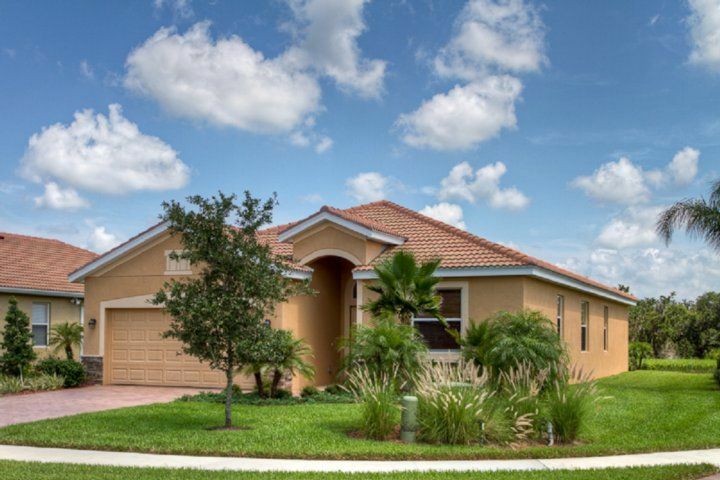 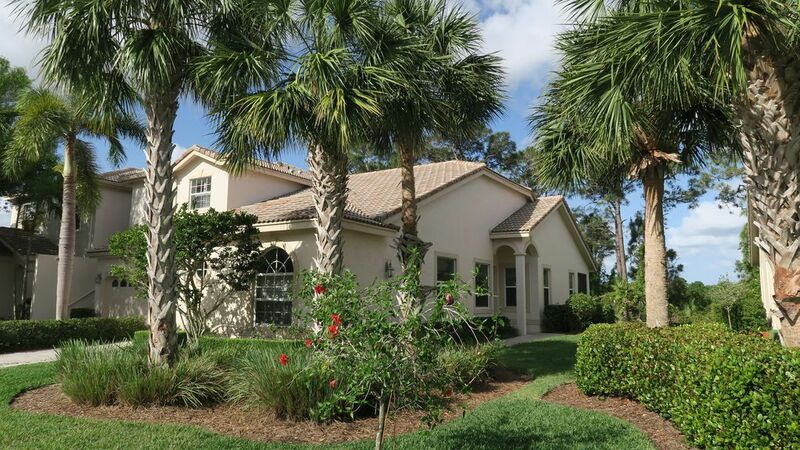 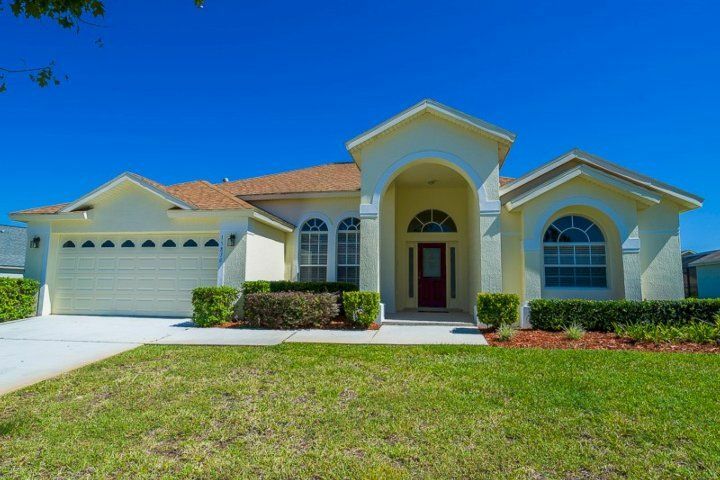 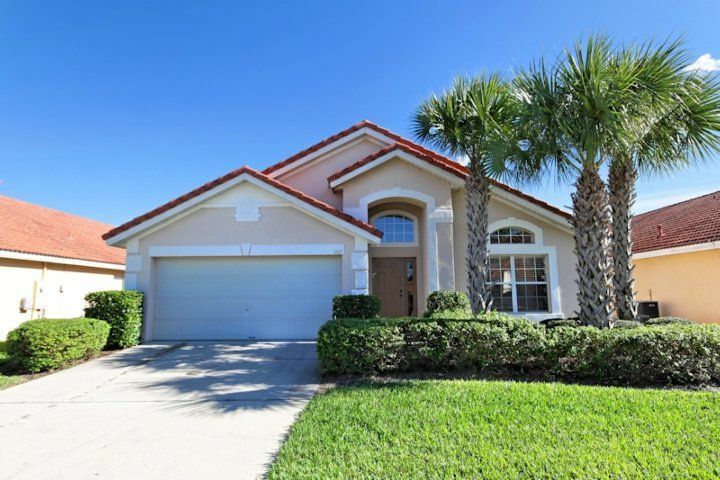 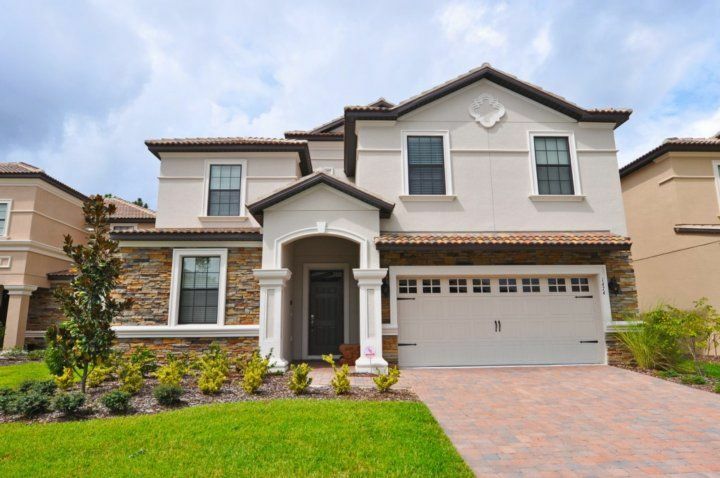 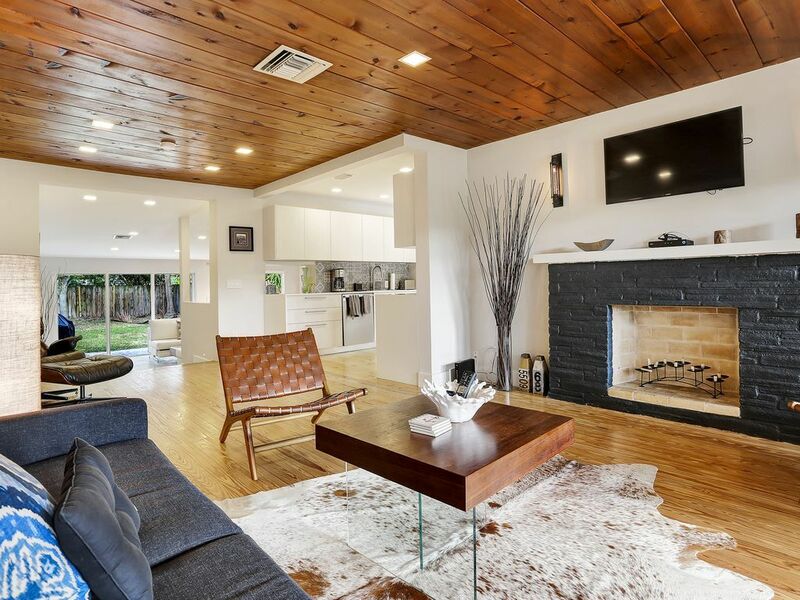 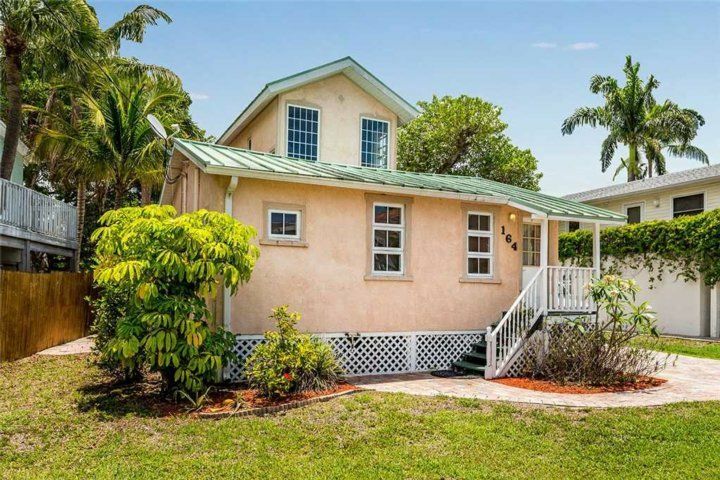 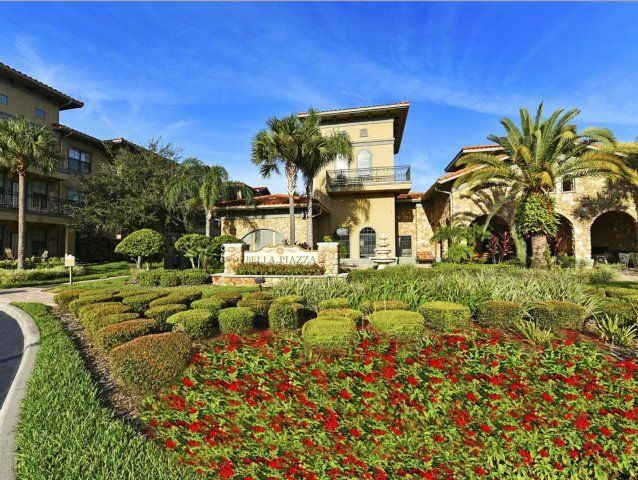 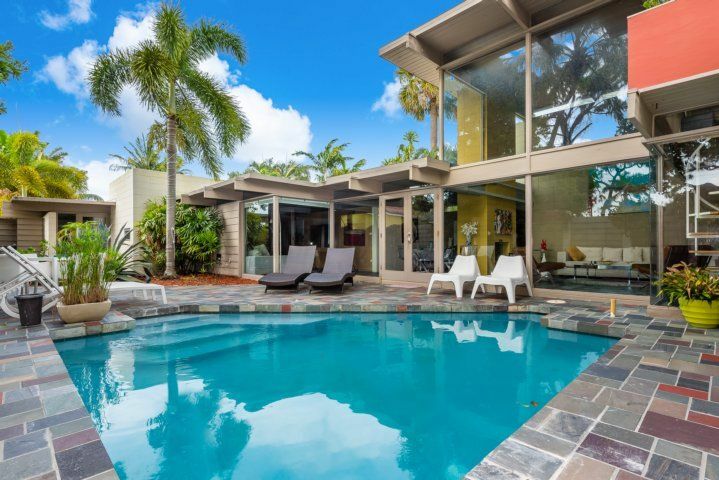 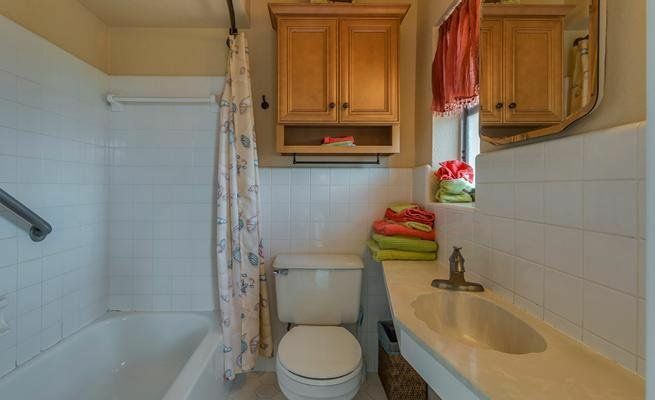 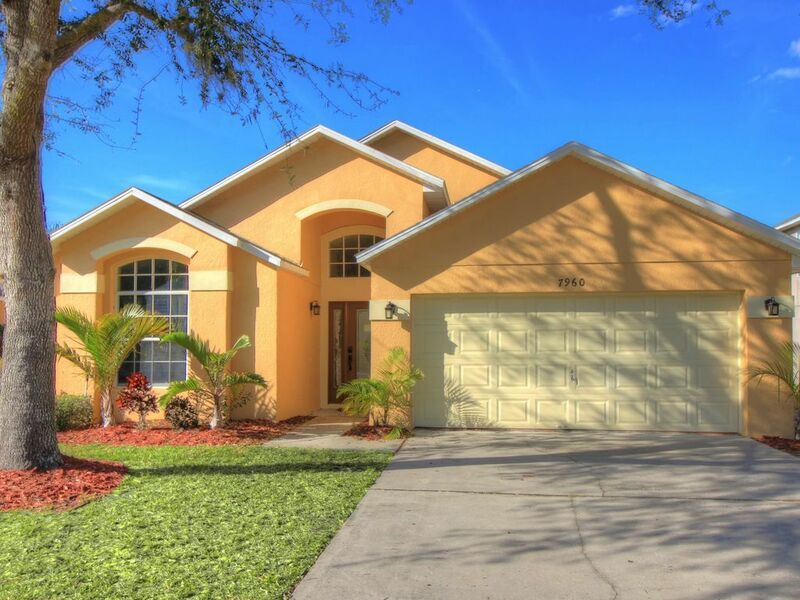 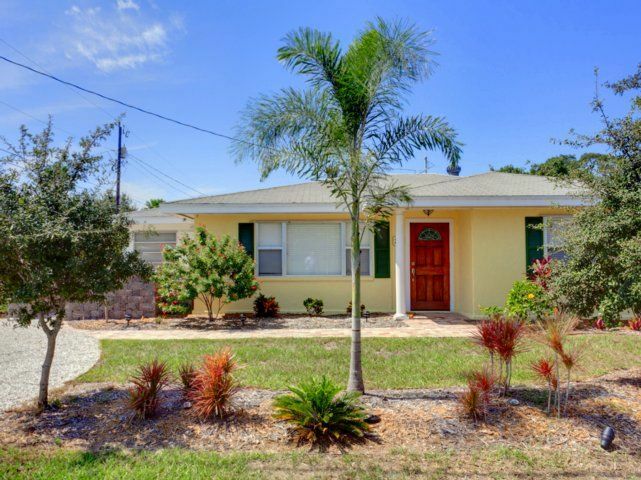 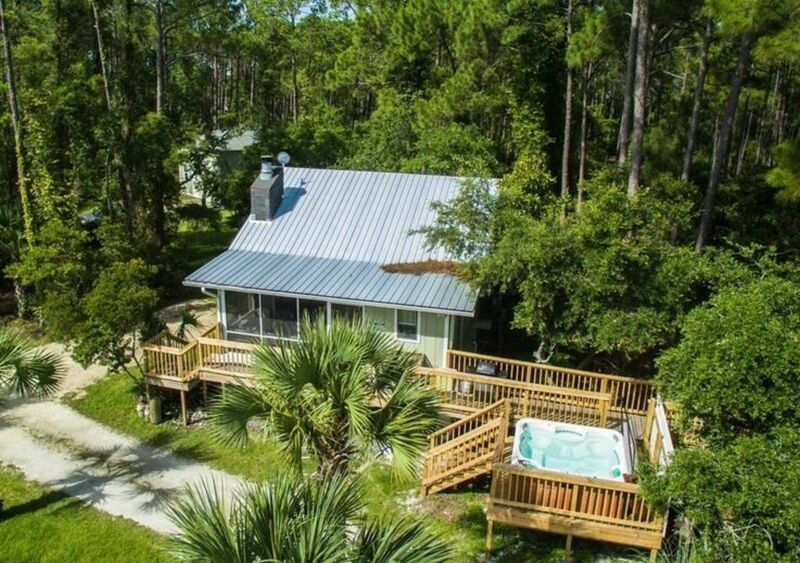 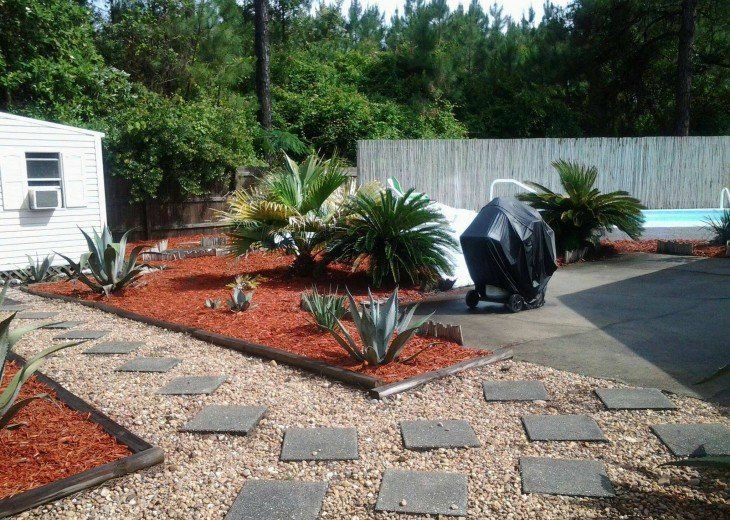 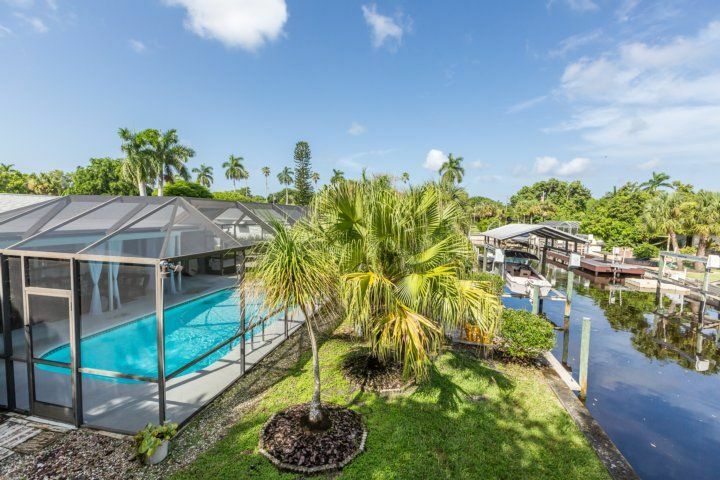 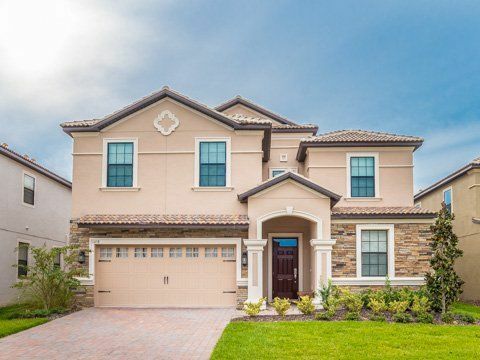 Rent by the week or by the month, either way, you can't beat this vacation home! 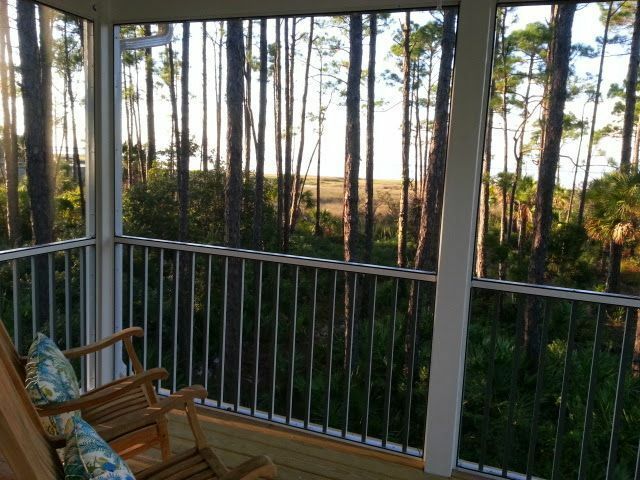 The gorgeous balcony allows you to see for miles!Book early as all weeks sell out! 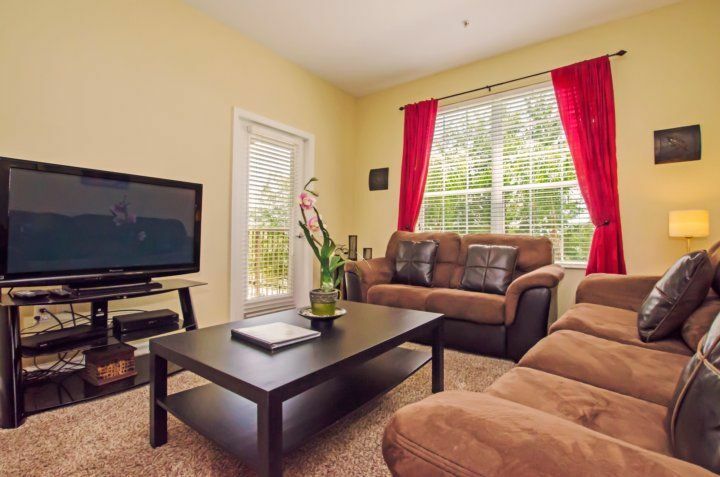 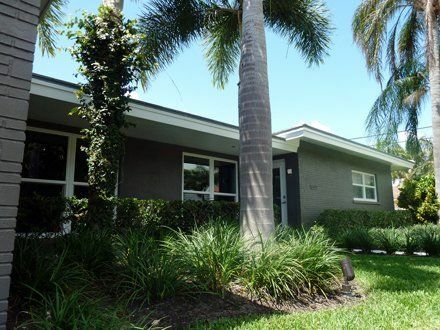 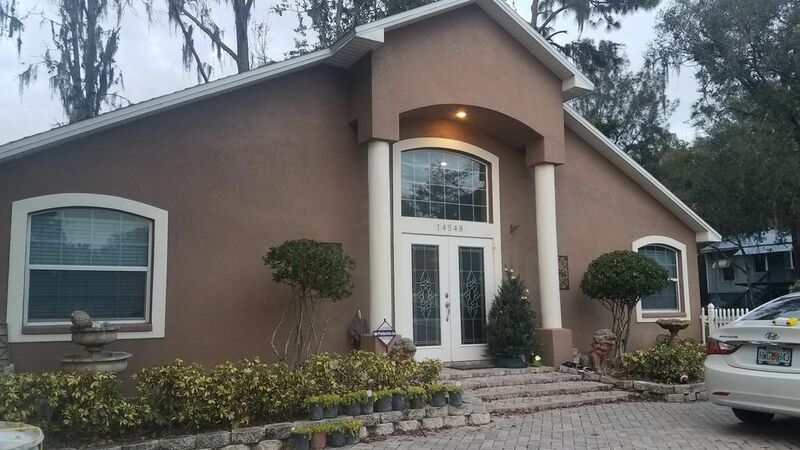 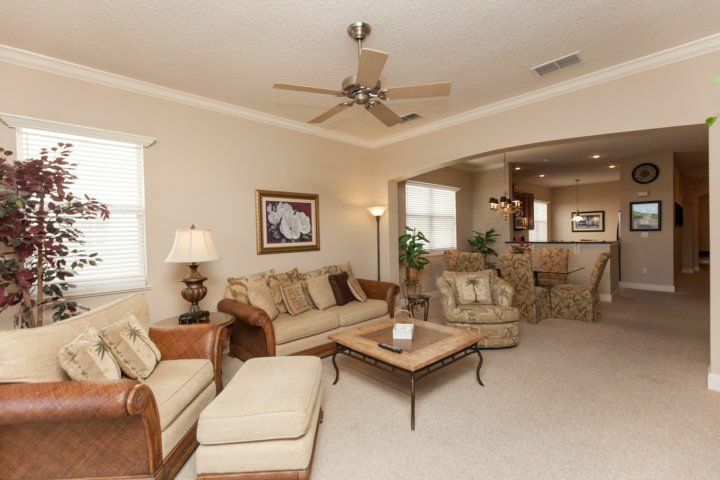 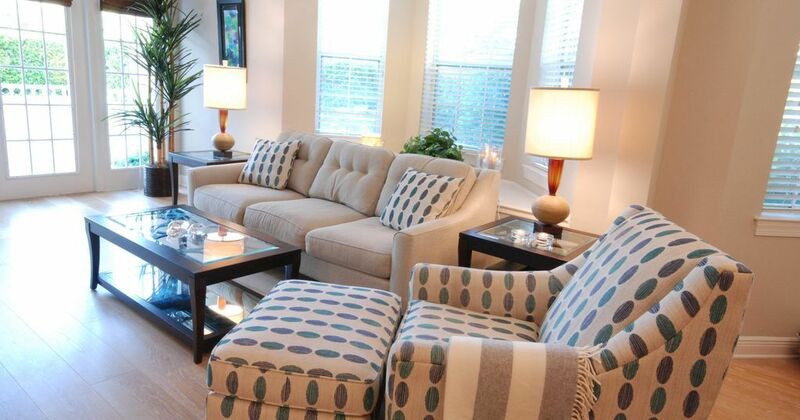 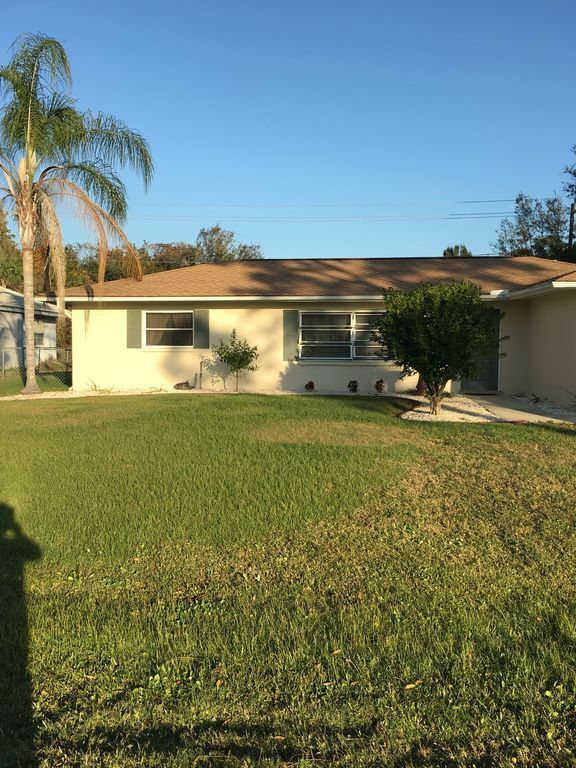 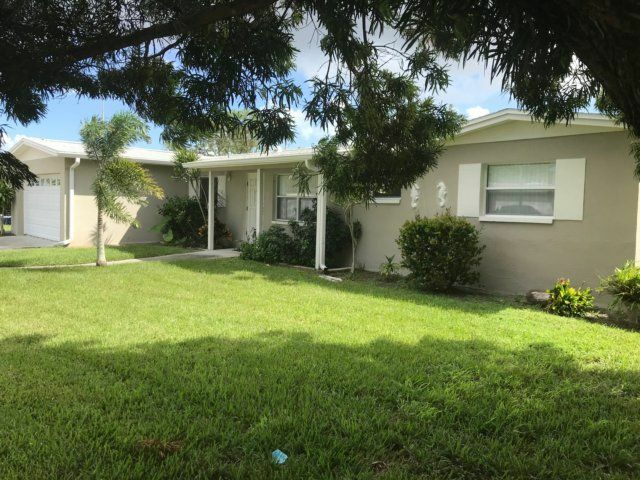 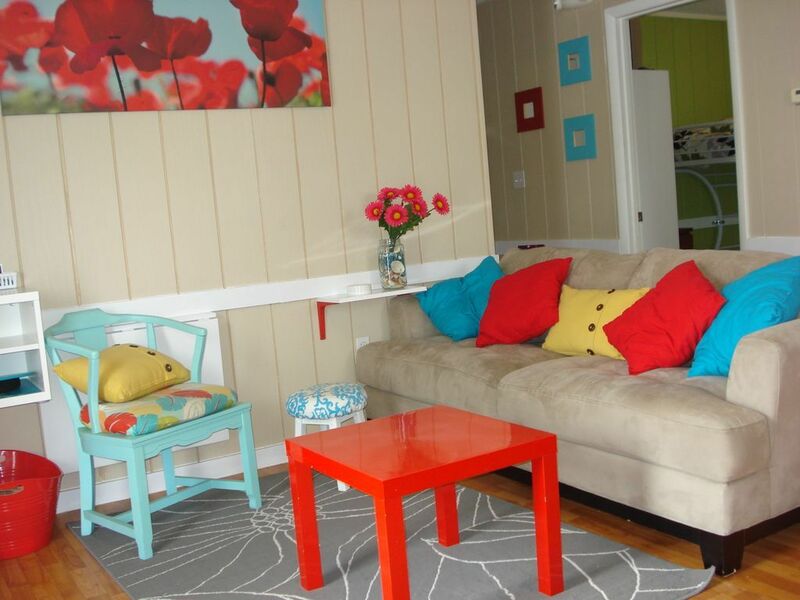 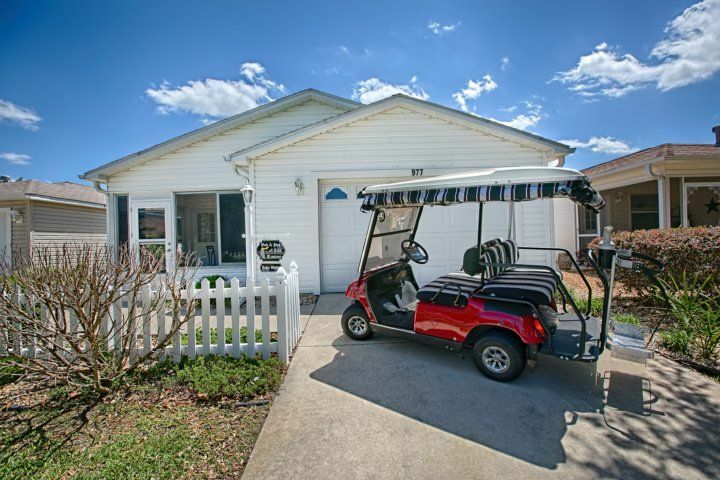 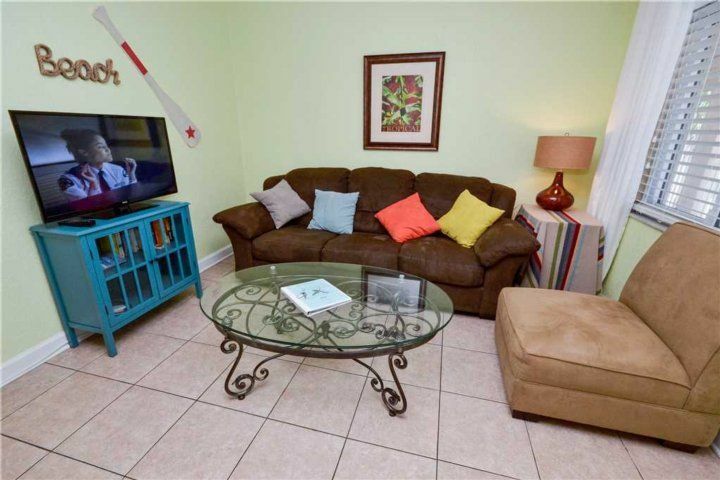 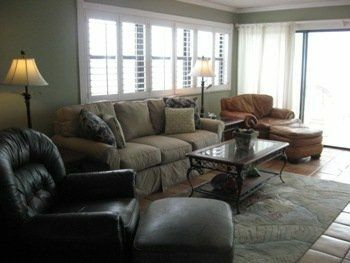 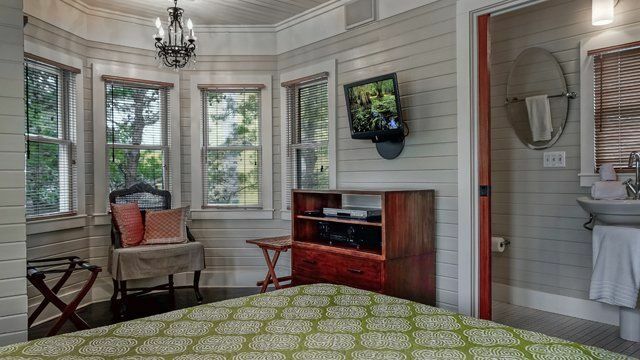 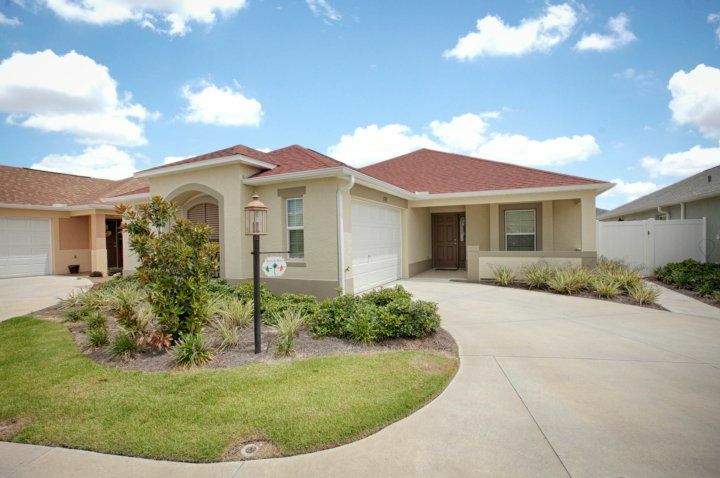 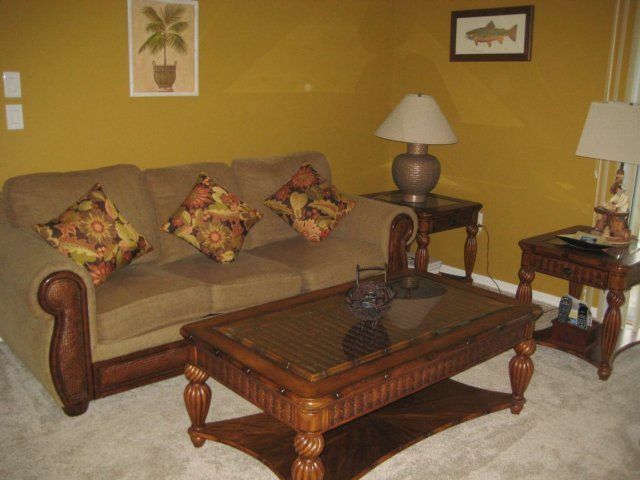 Sleeps 4 in beds and an additional 2 on couch and recliner in the living room.